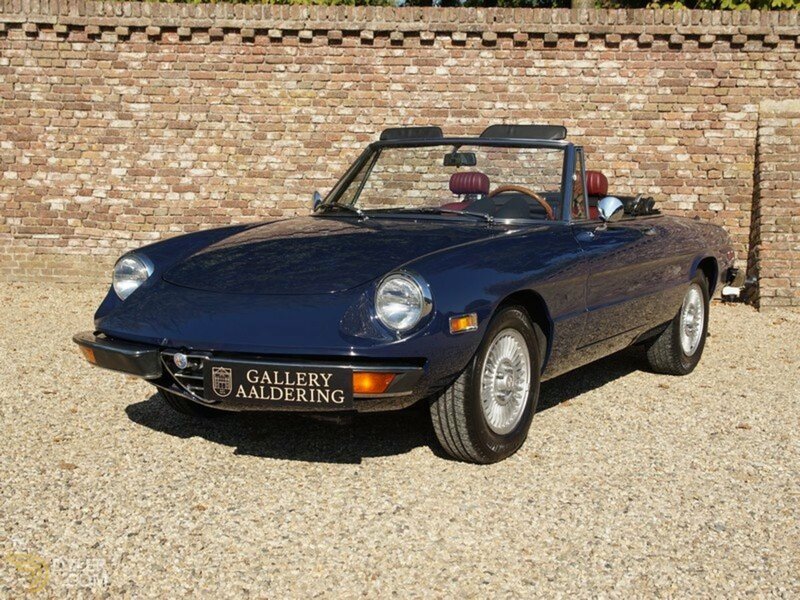 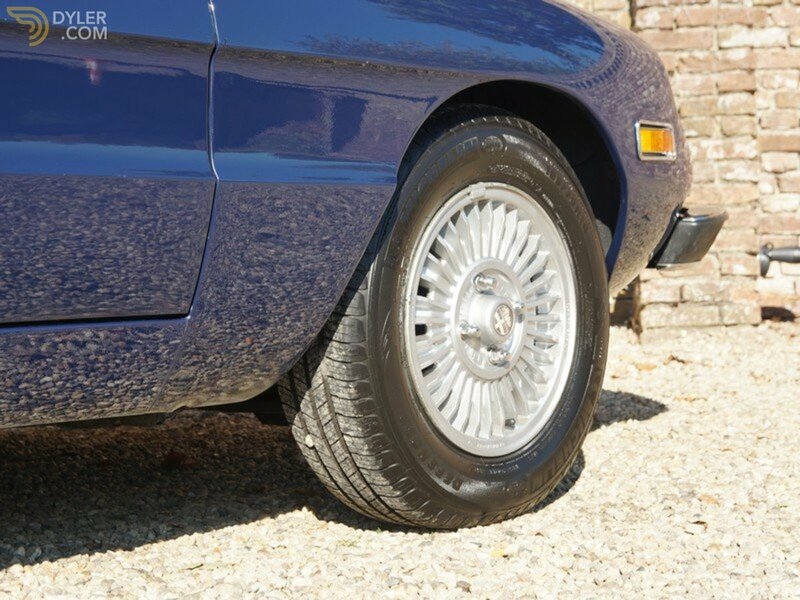 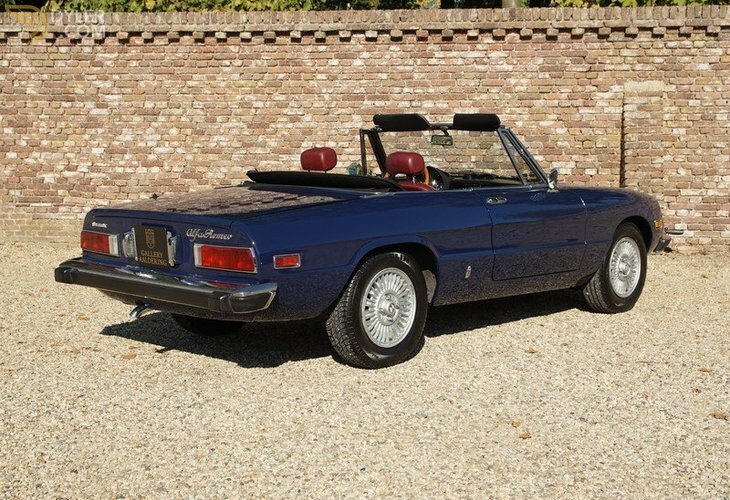 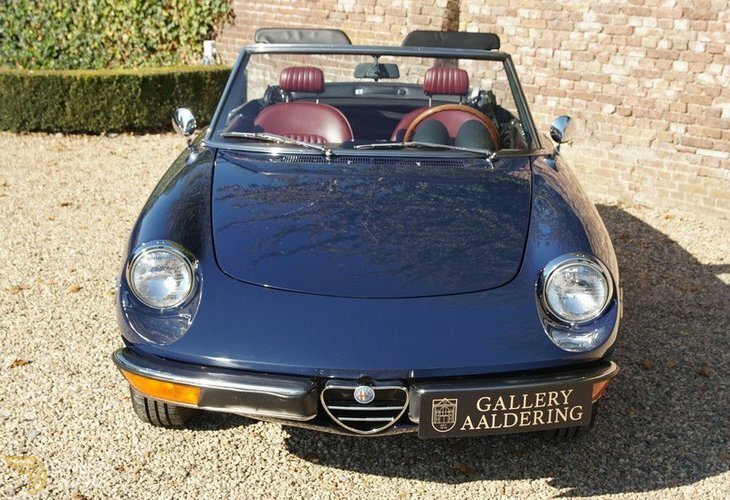 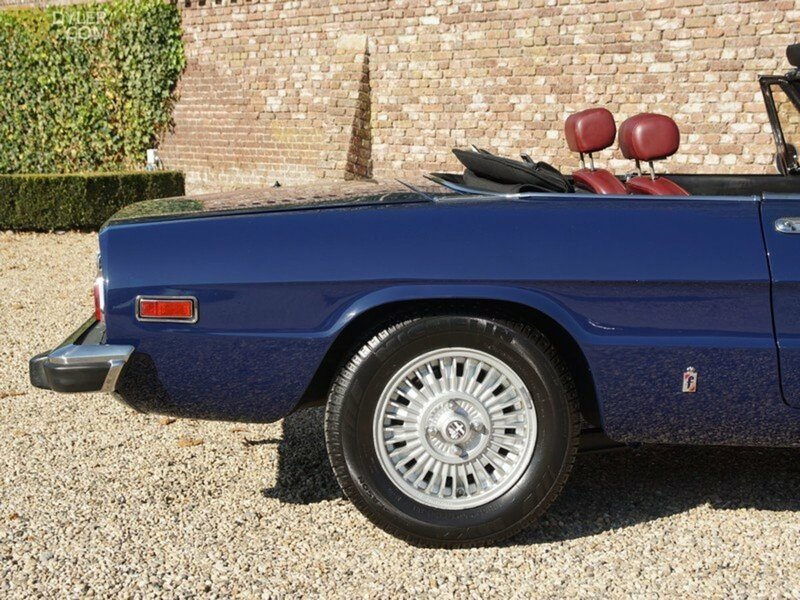 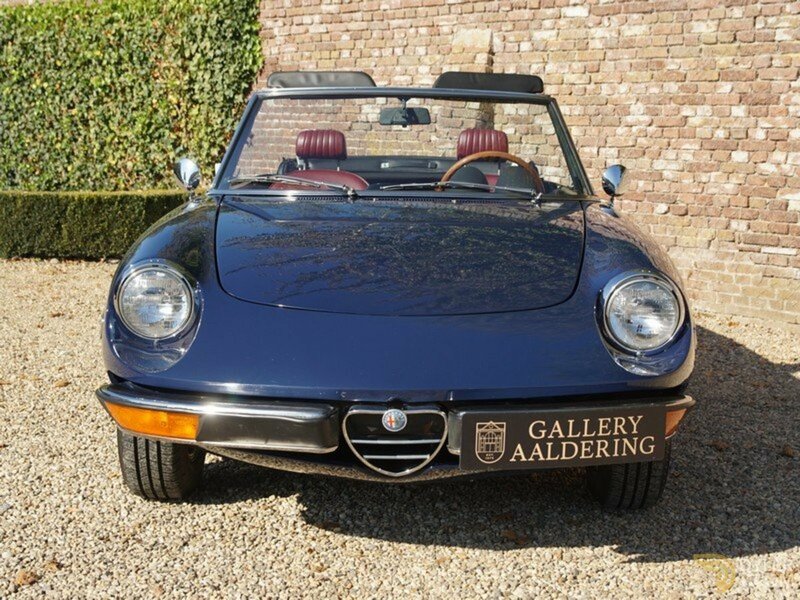 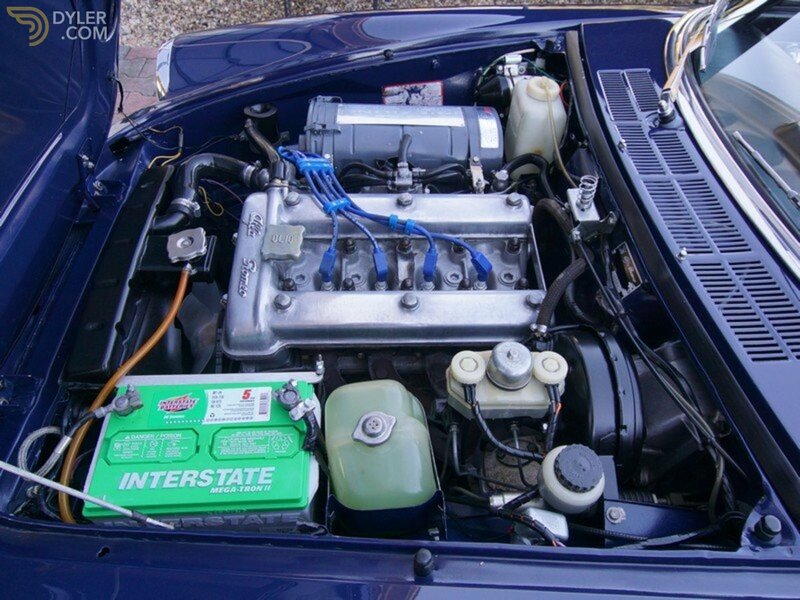 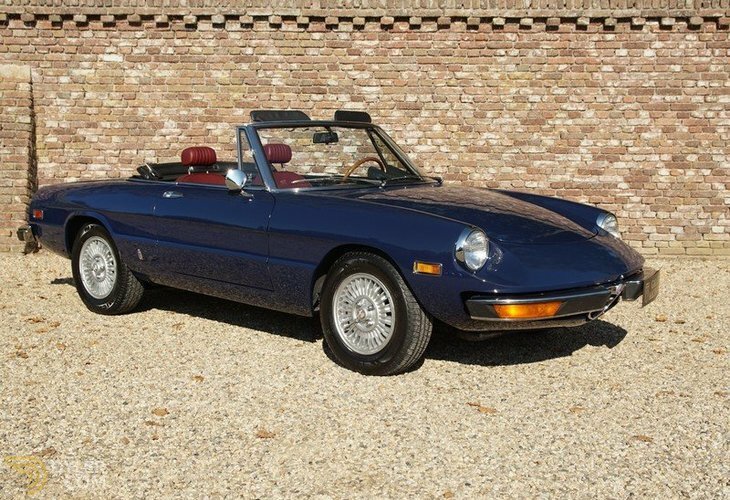 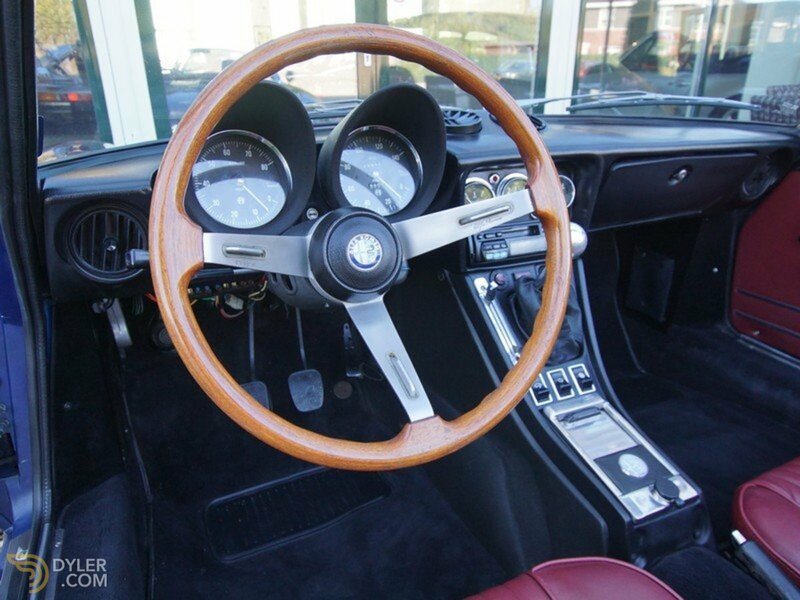 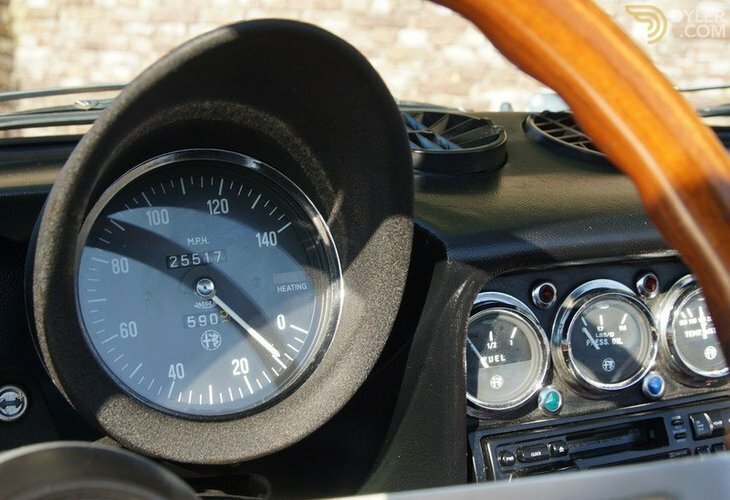 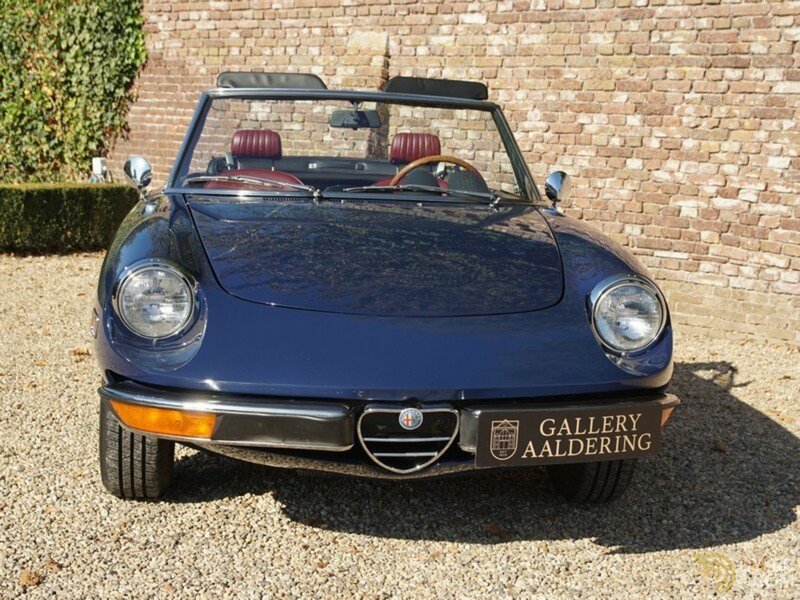 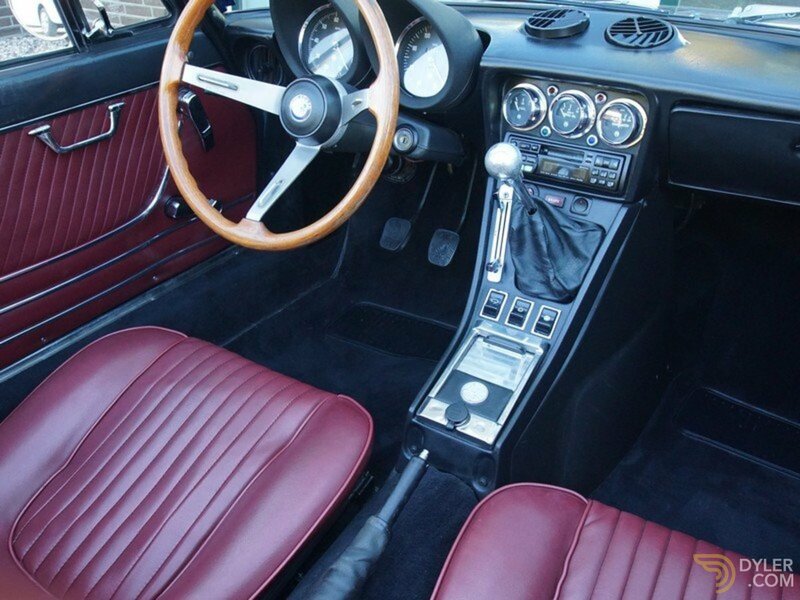 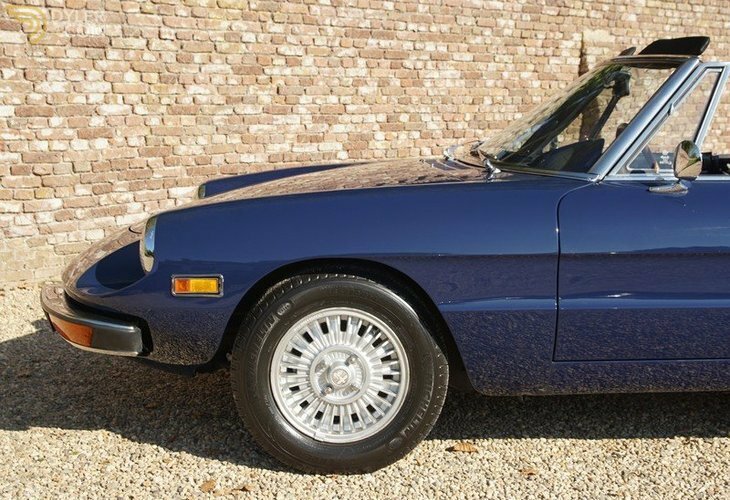 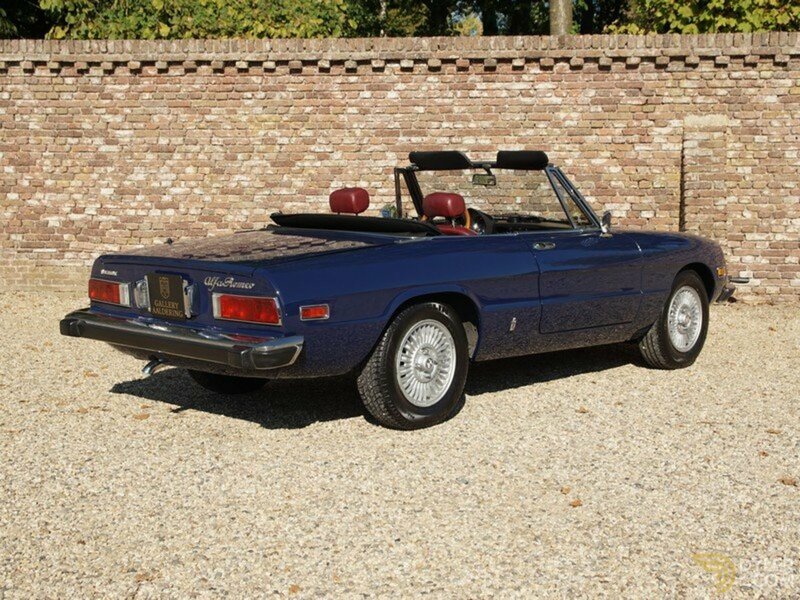 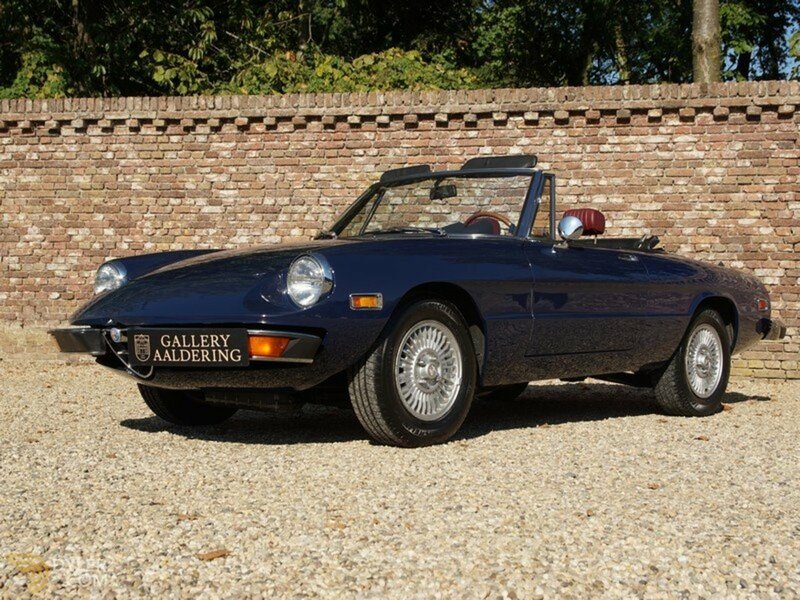 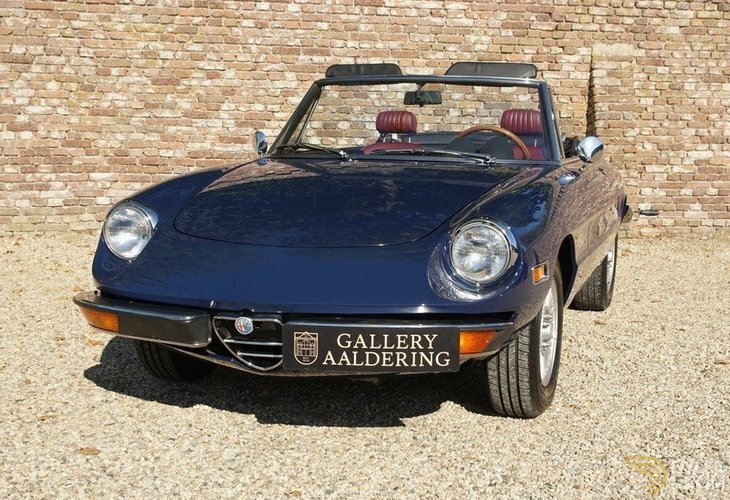 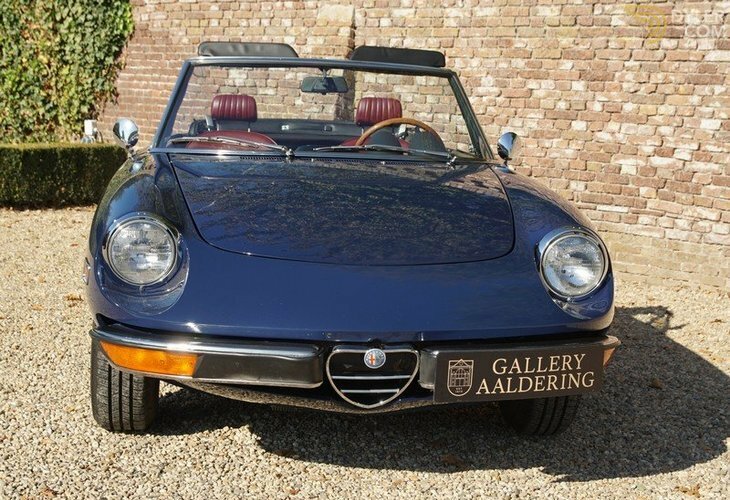 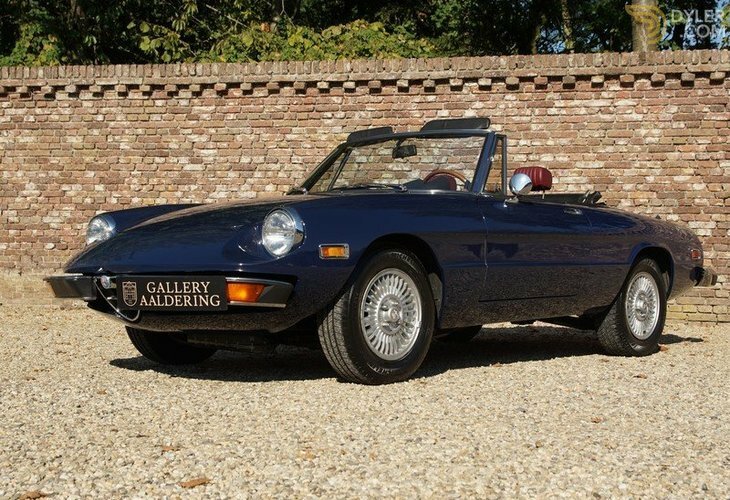 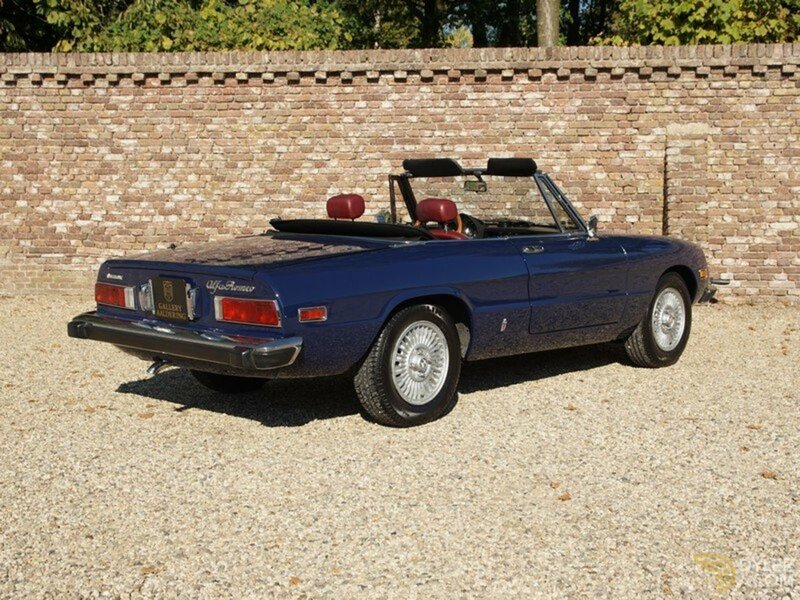 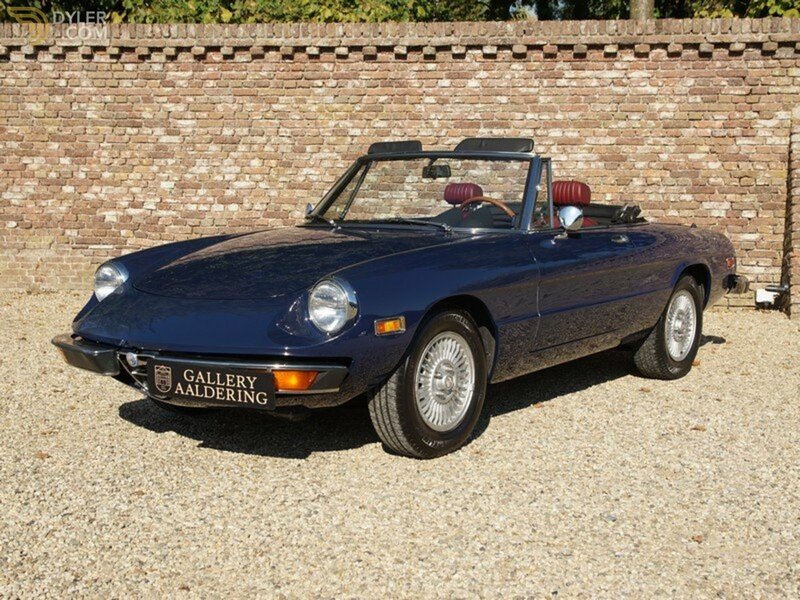 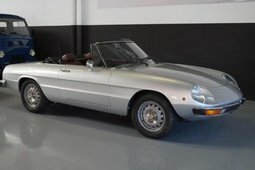 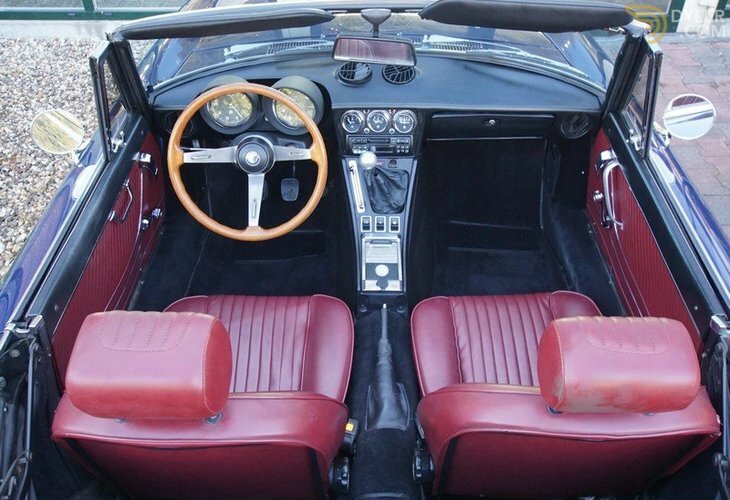 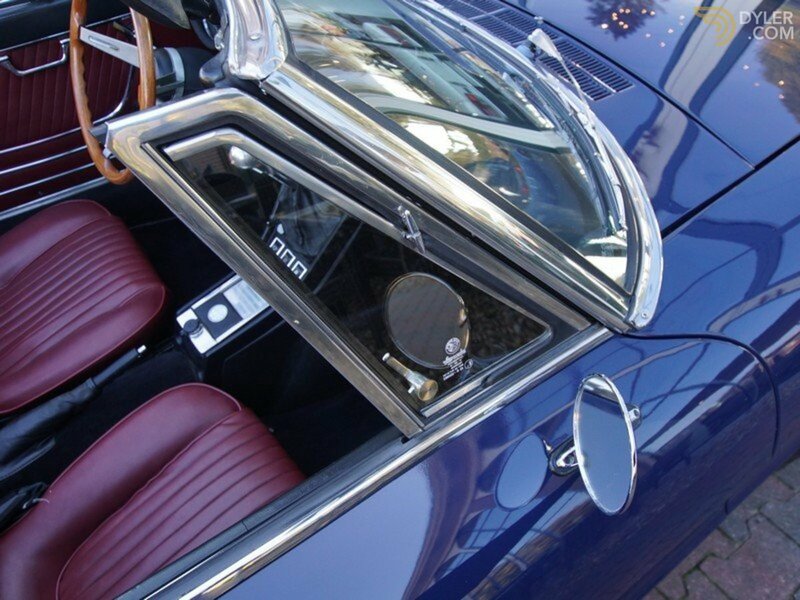 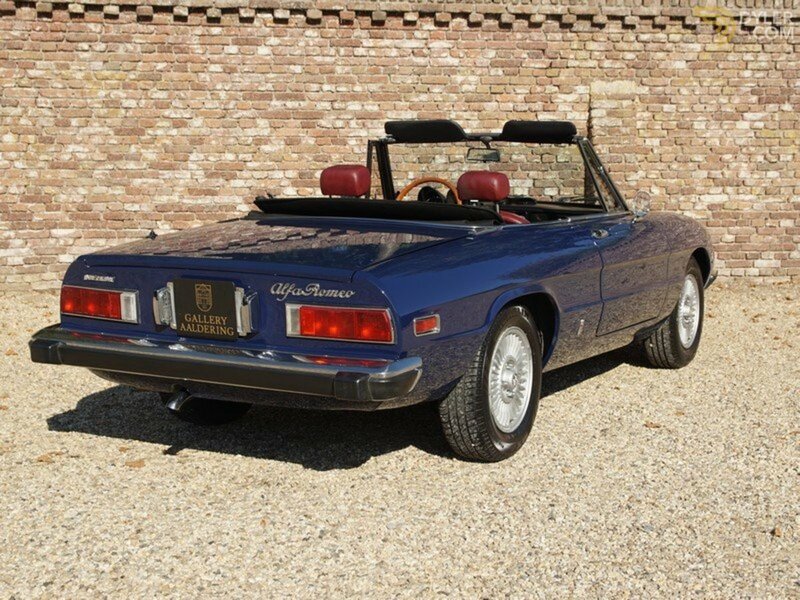 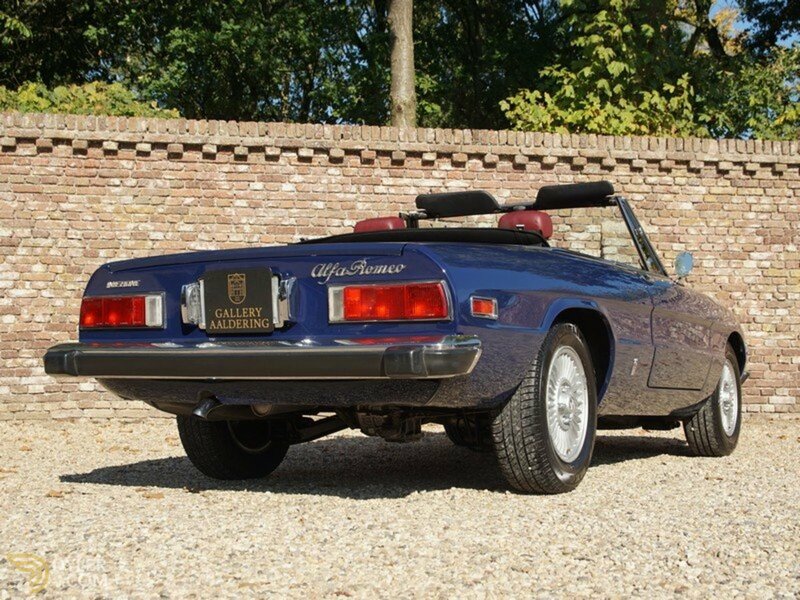 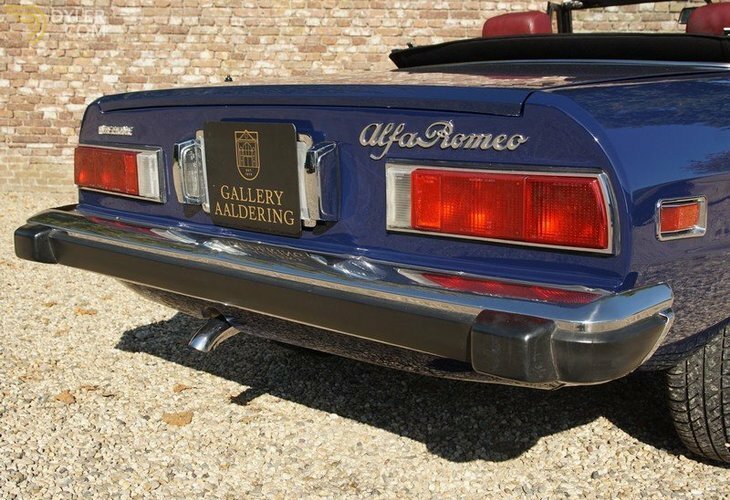 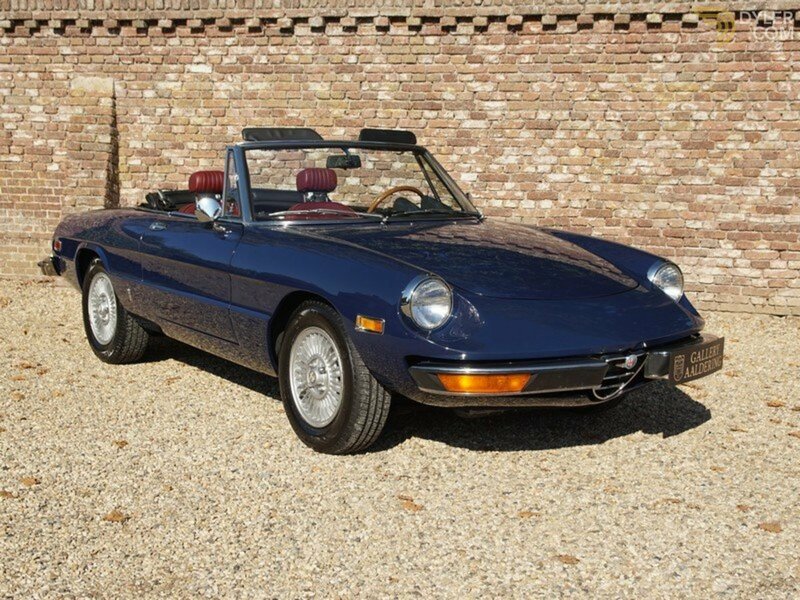 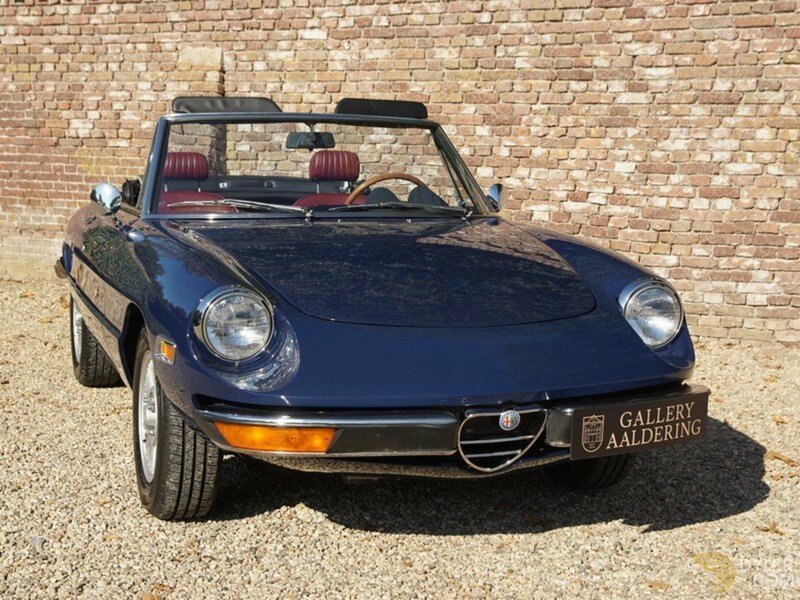 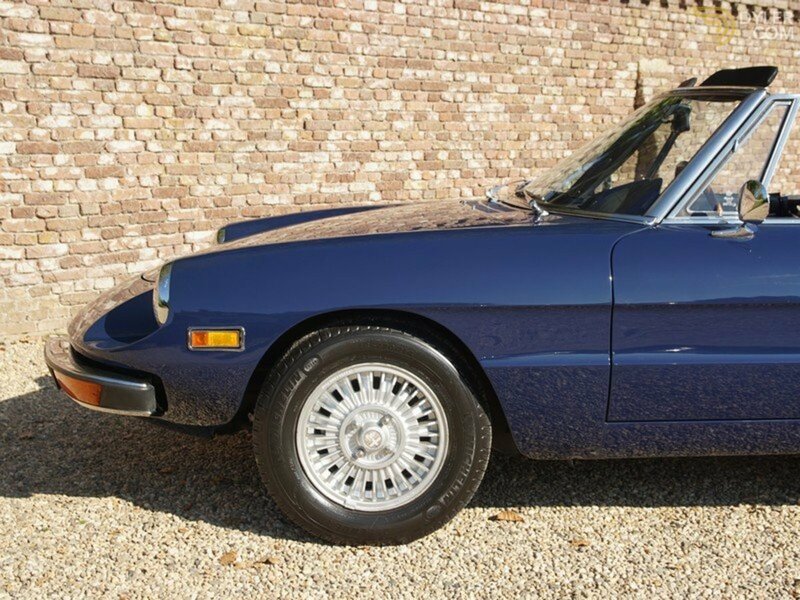 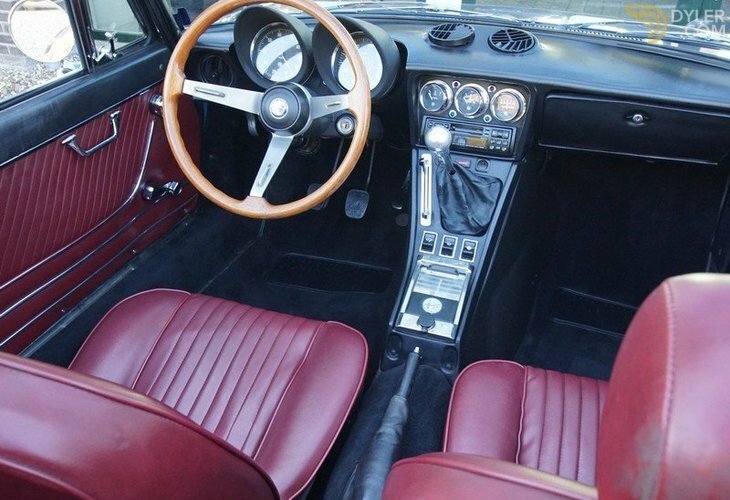 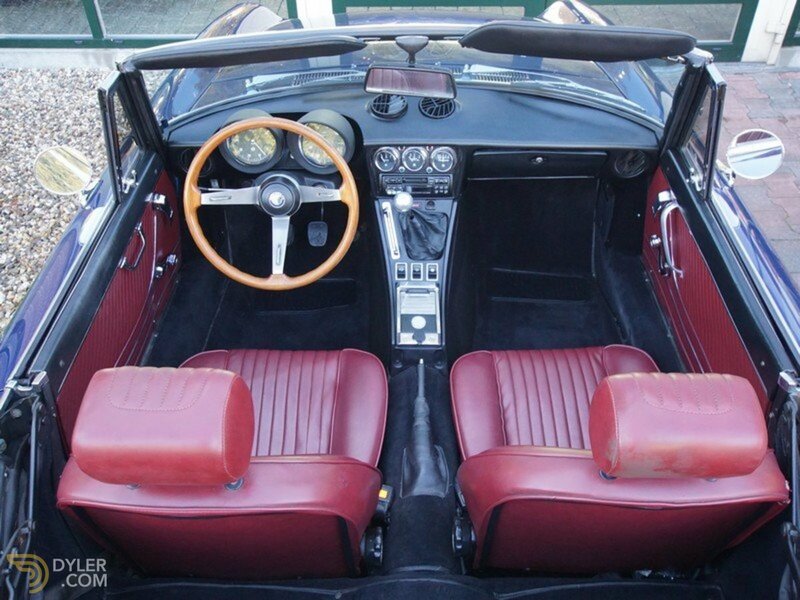 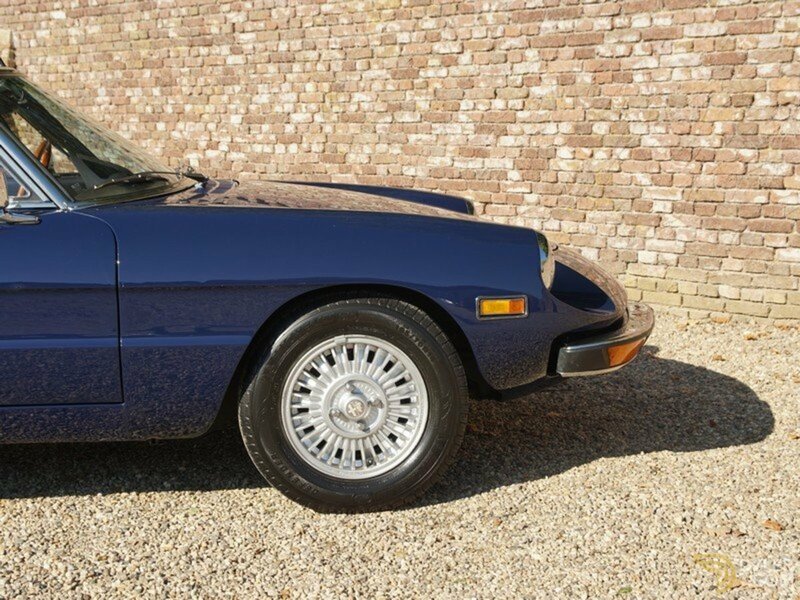 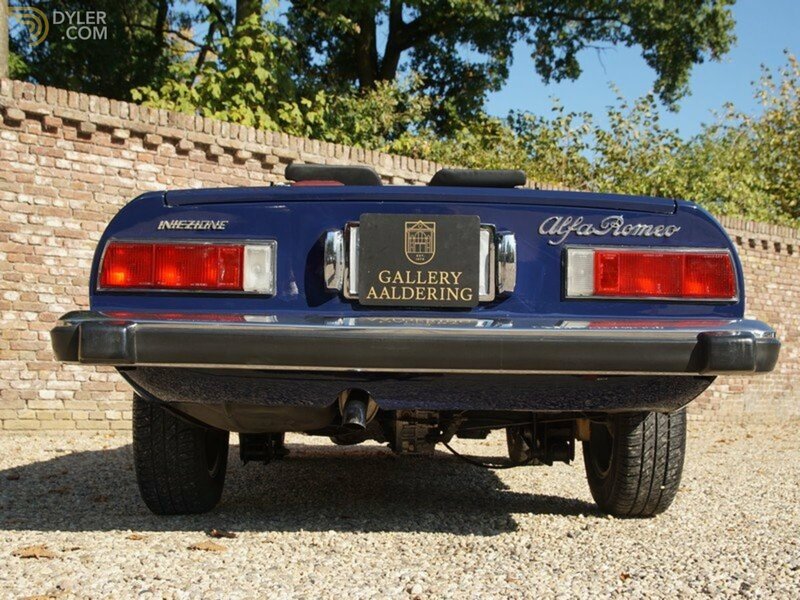 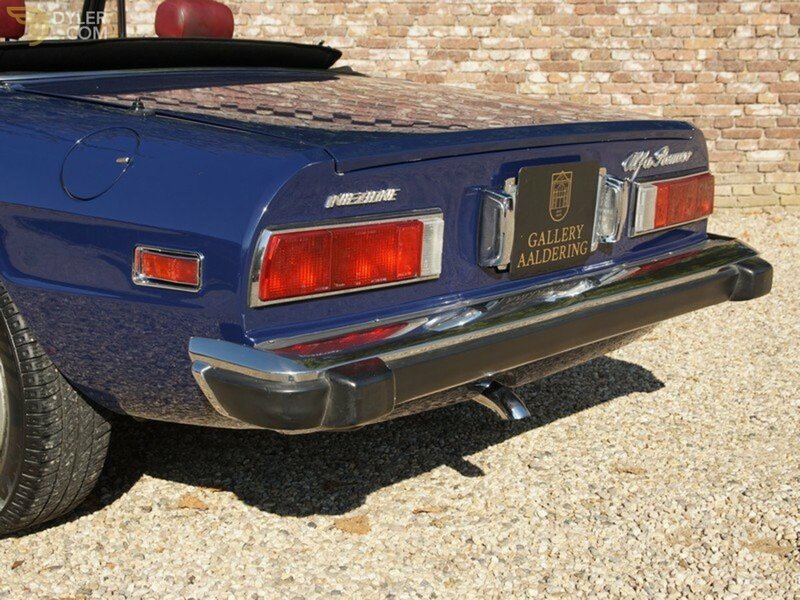 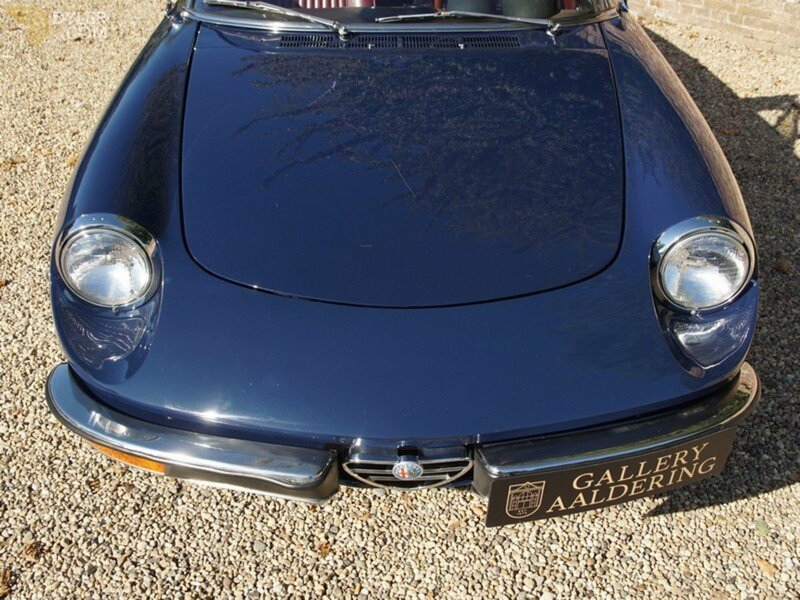 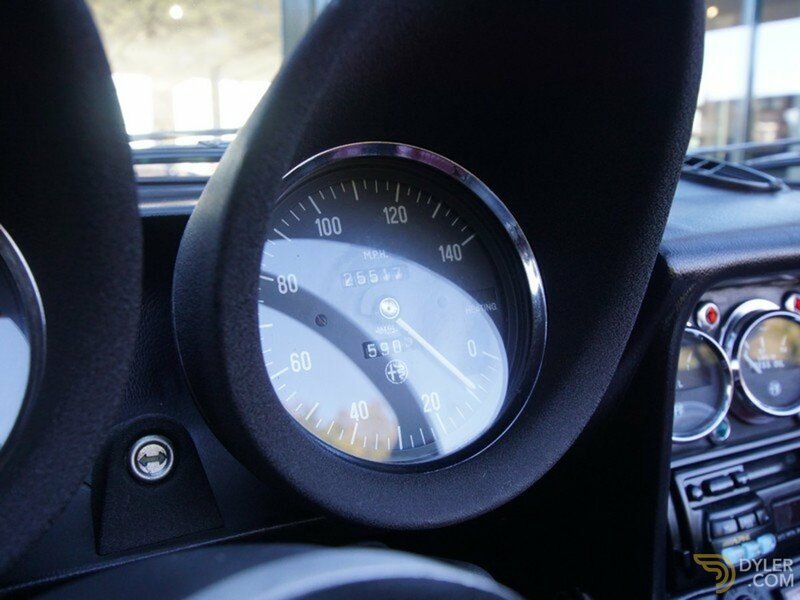 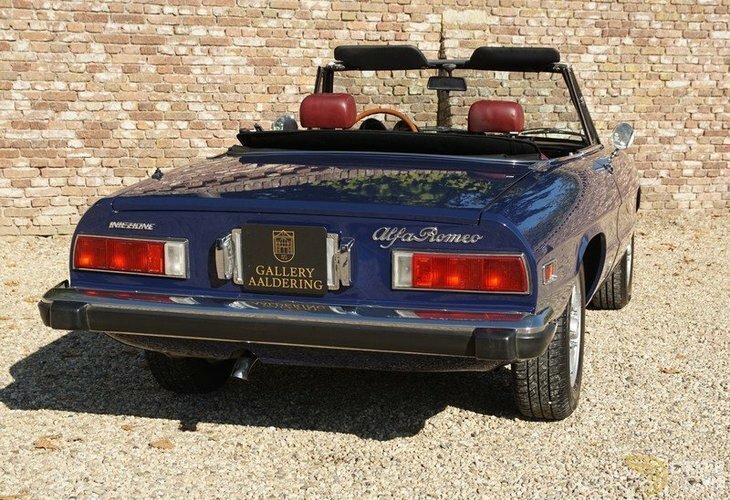 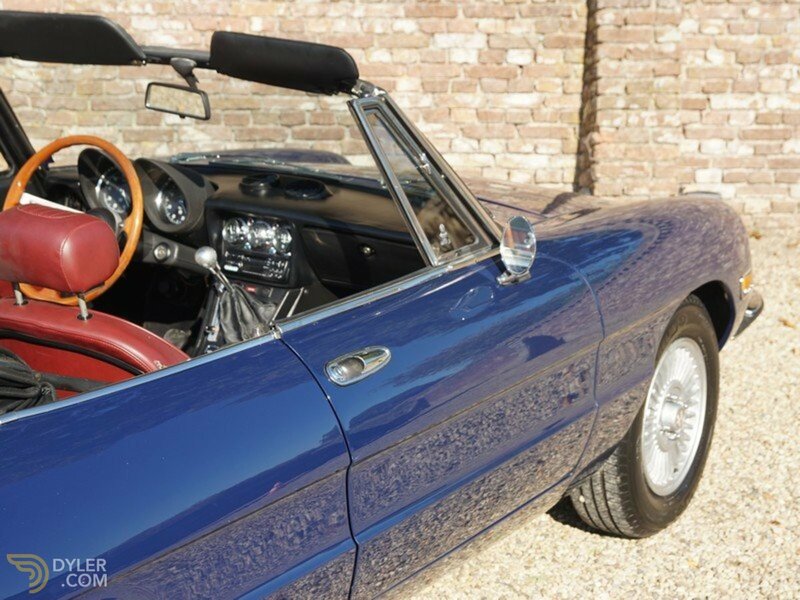 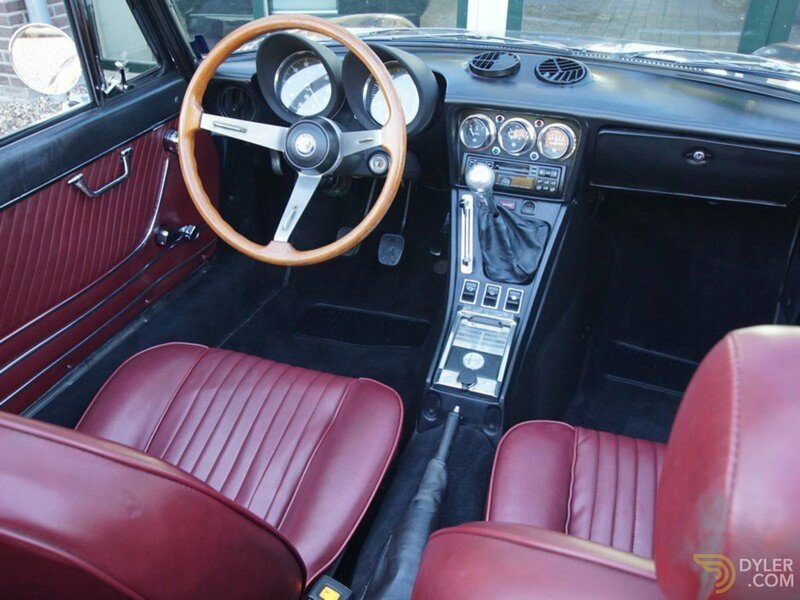 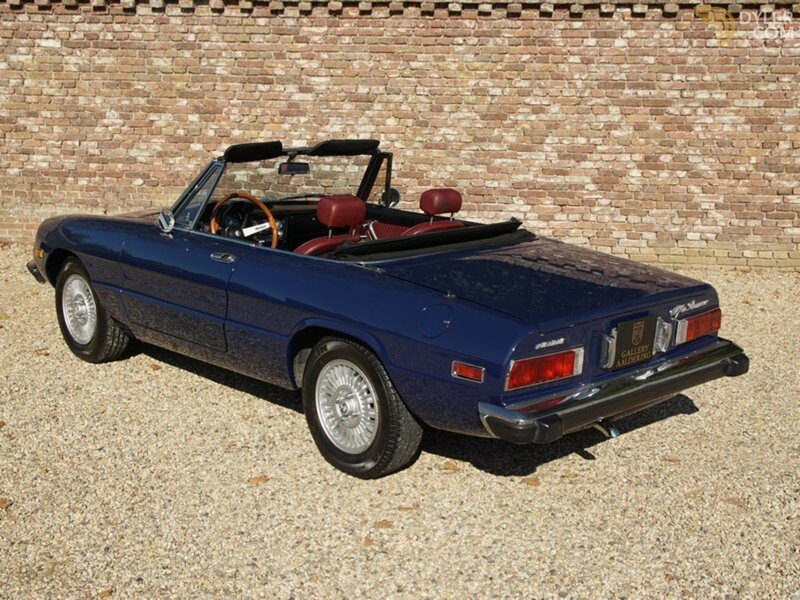 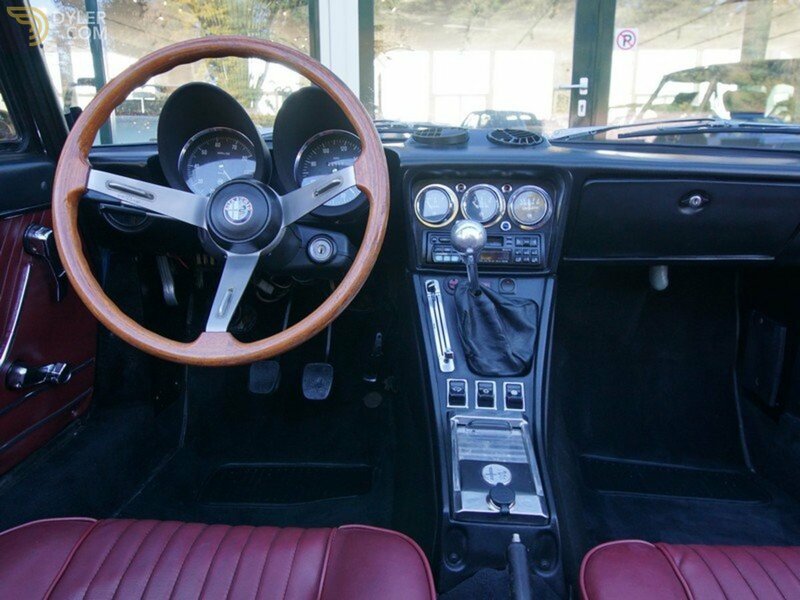 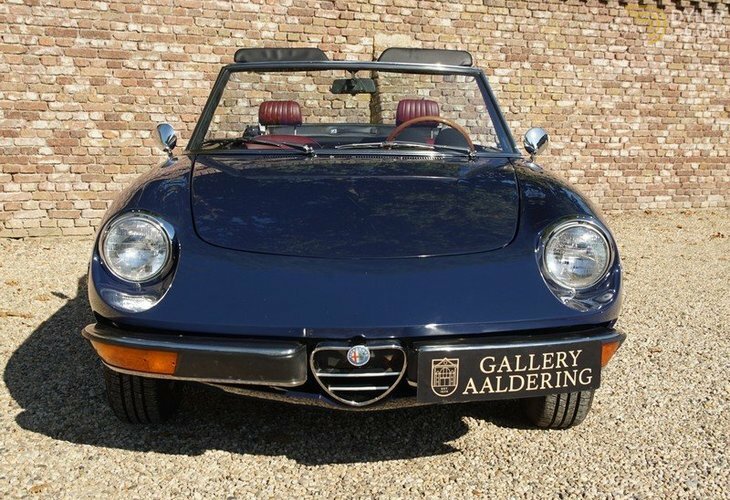 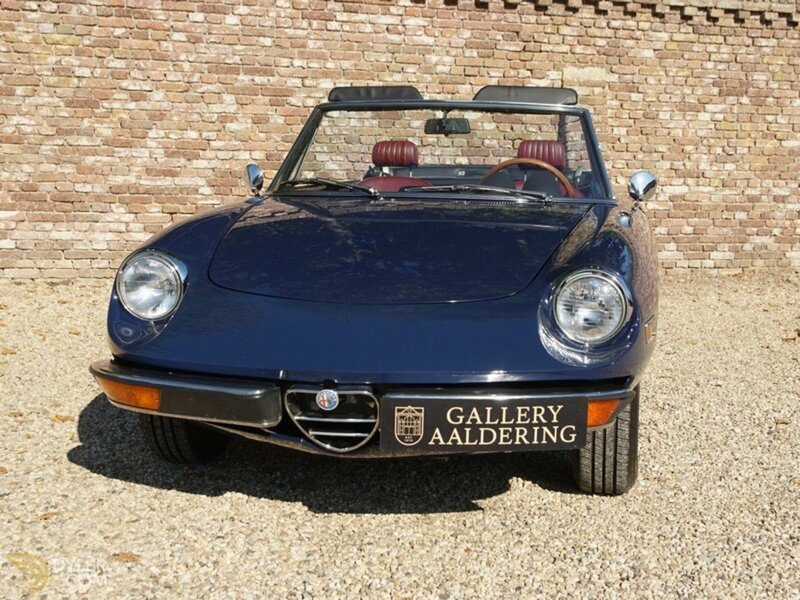 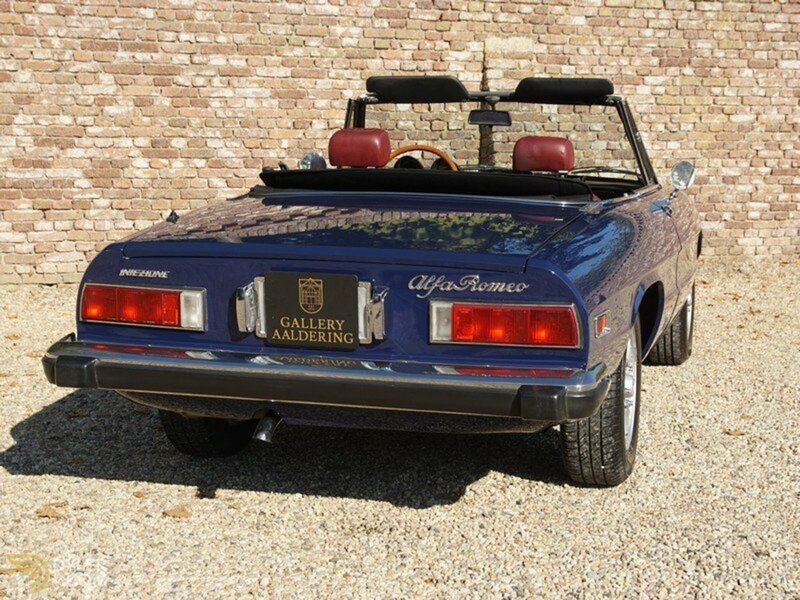 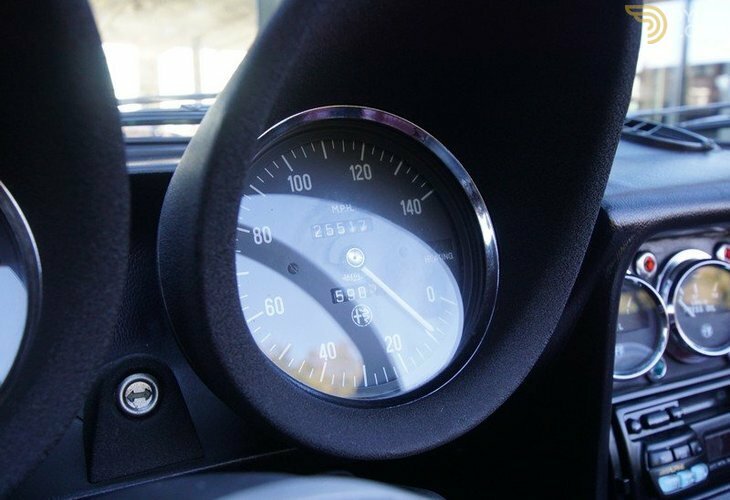 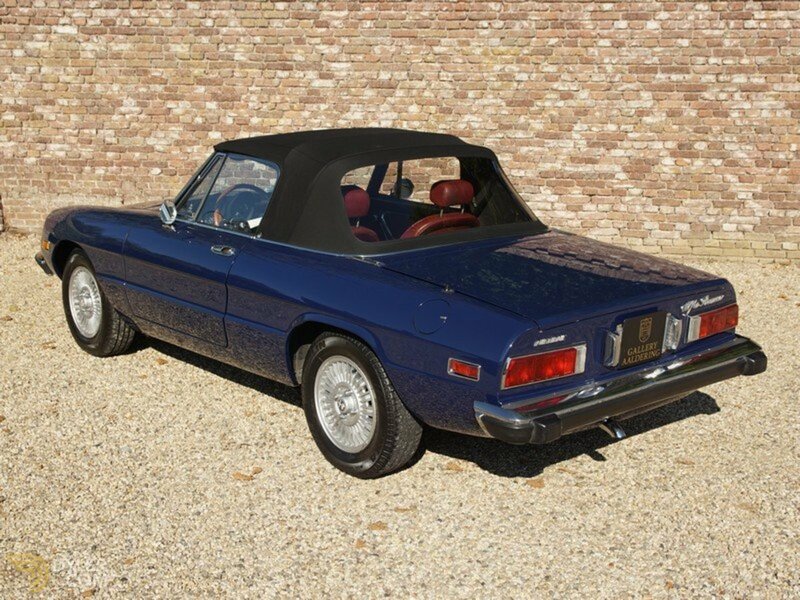 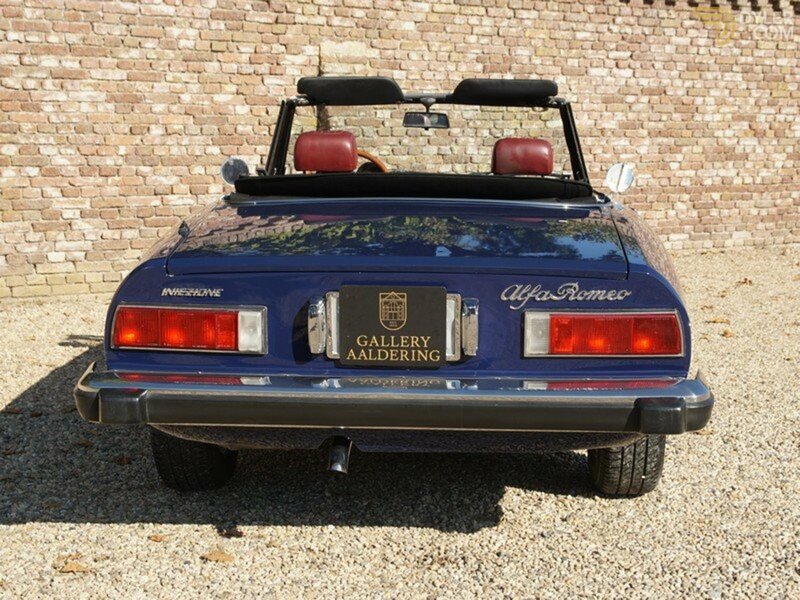 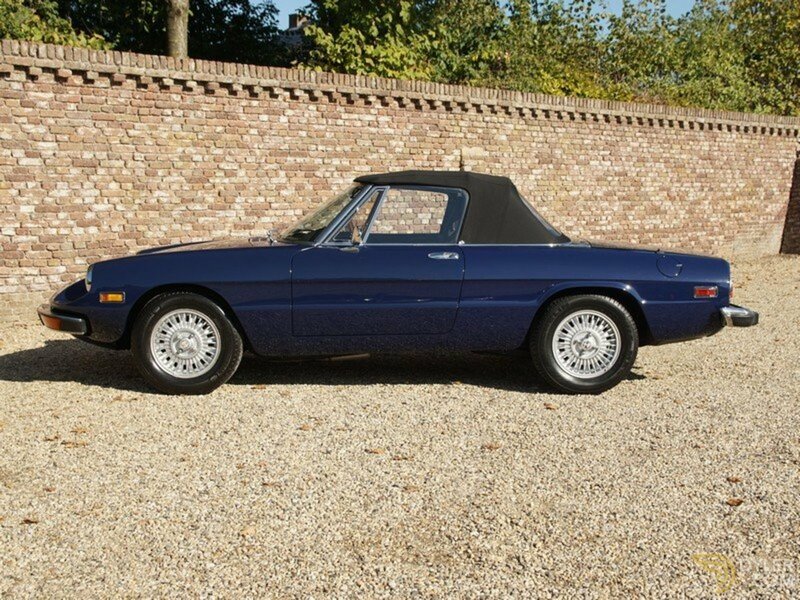 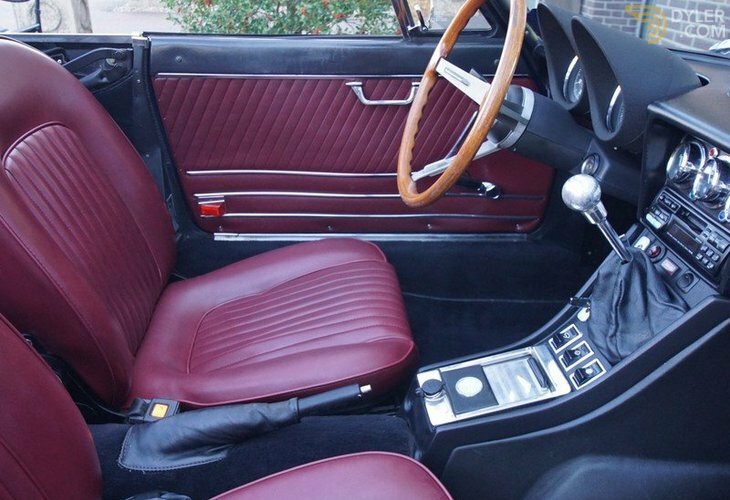 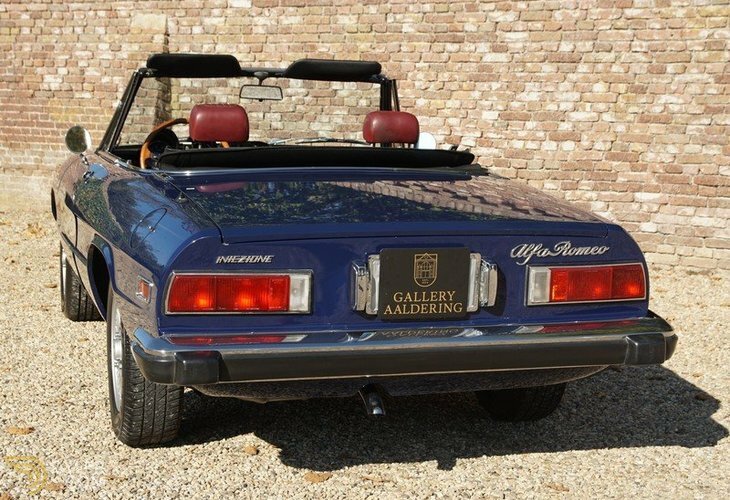 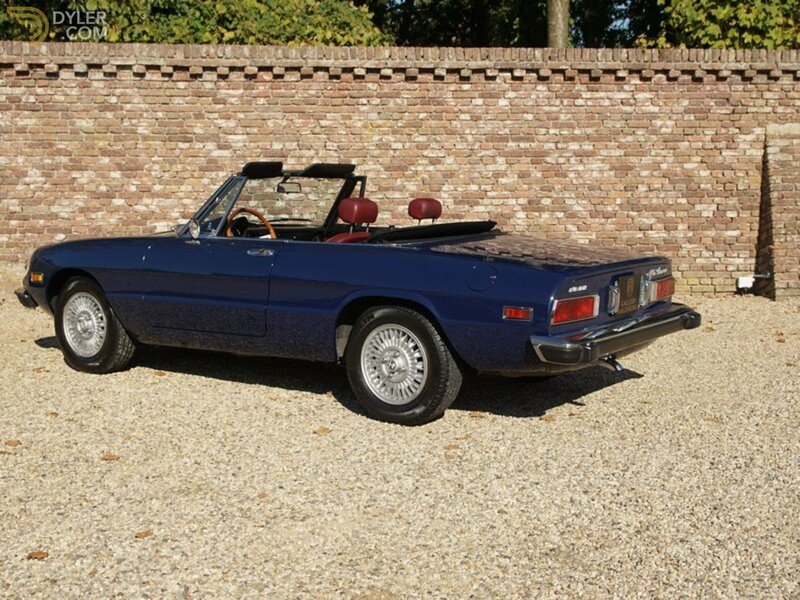 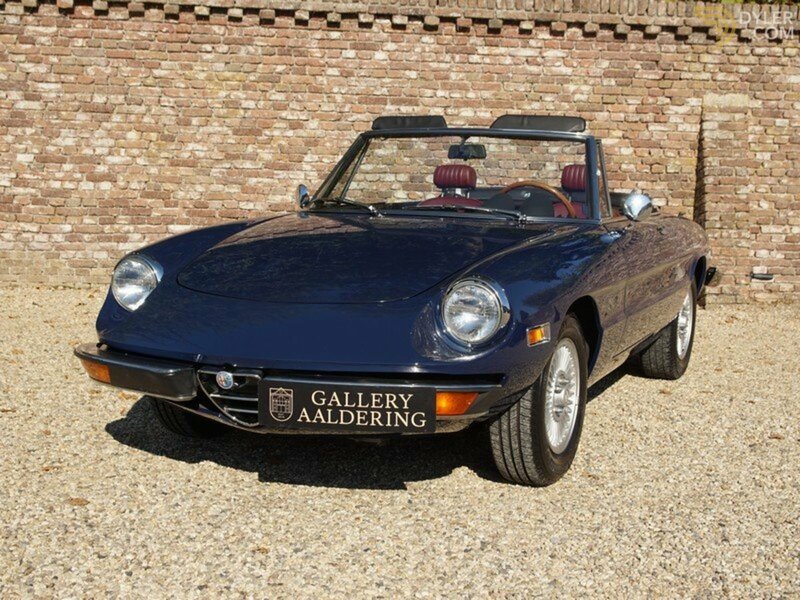 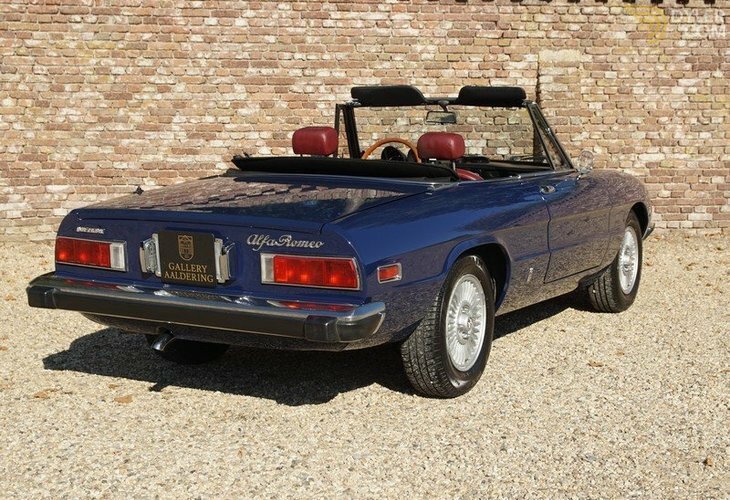 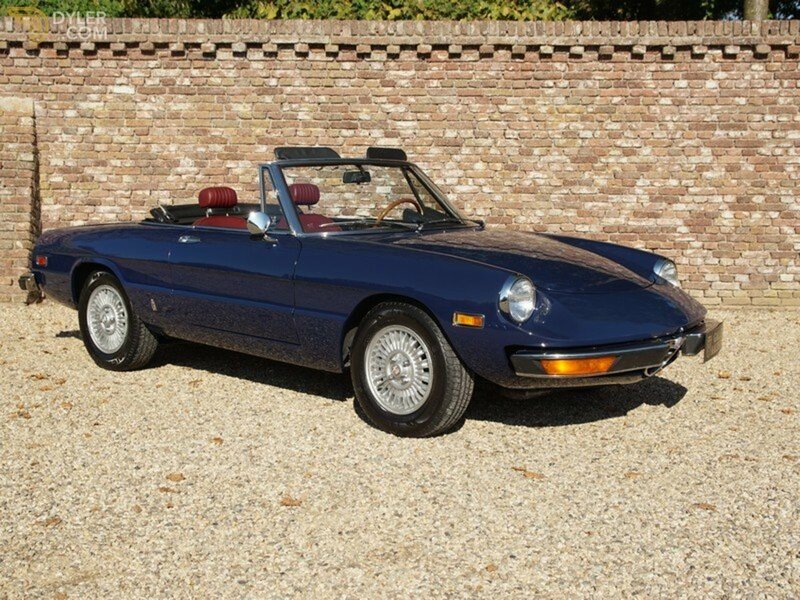 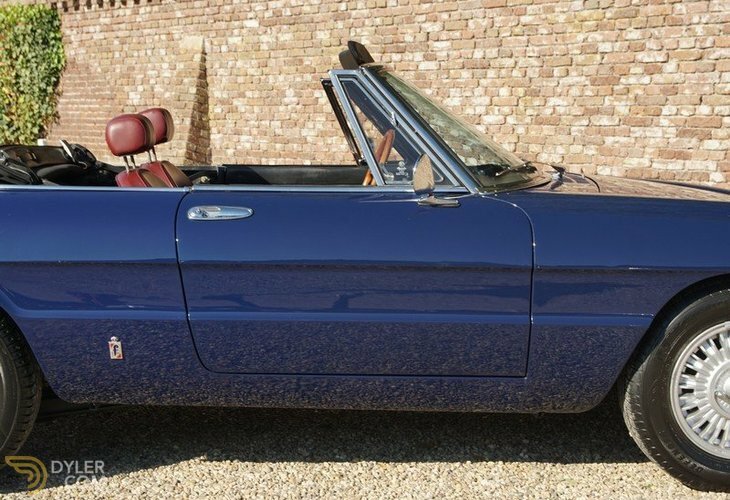 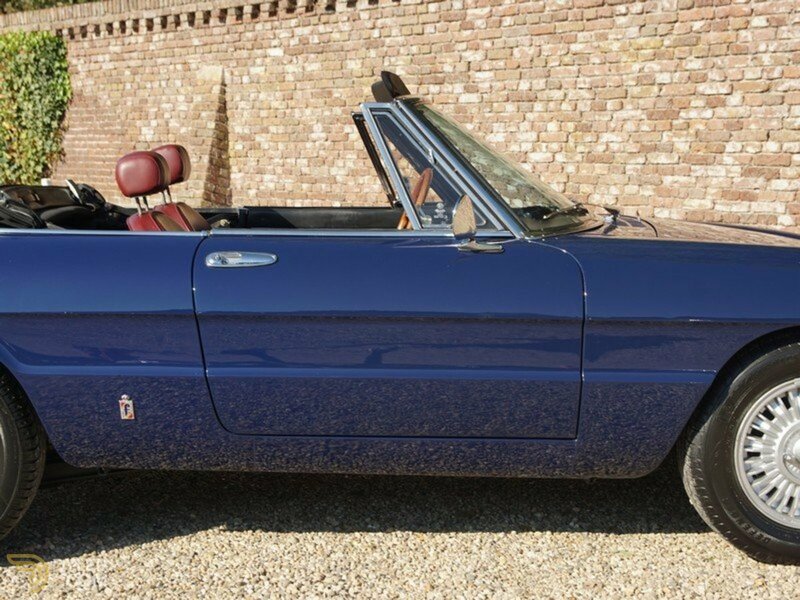 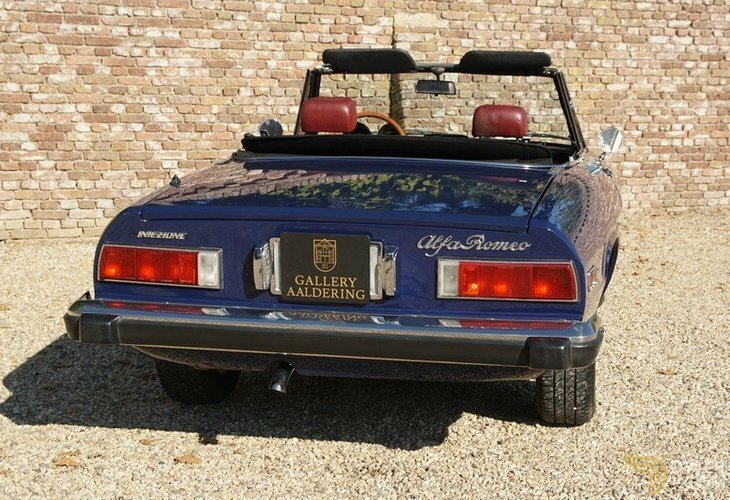 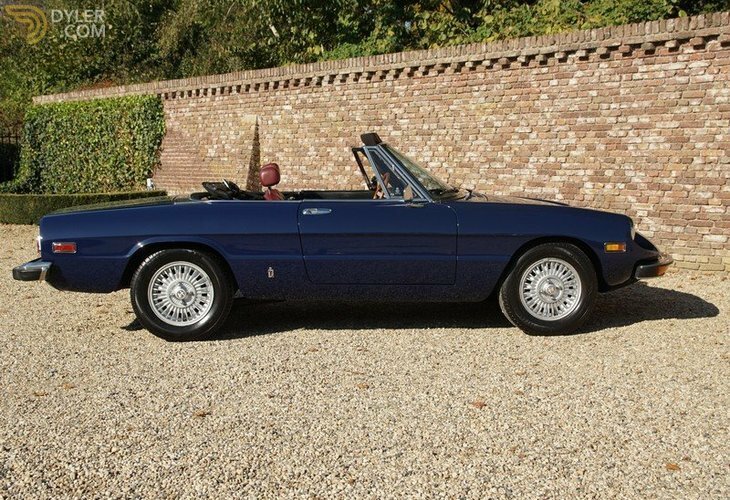 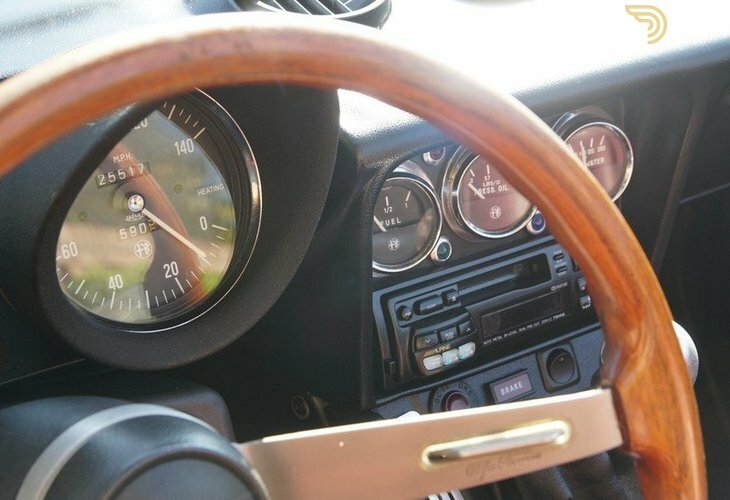 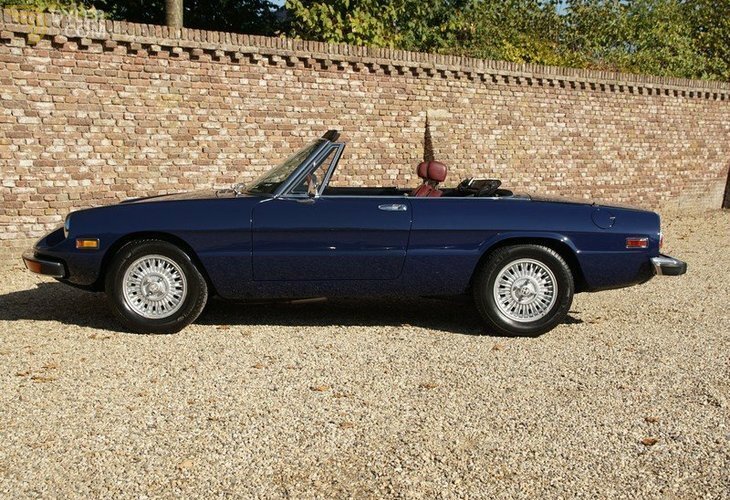 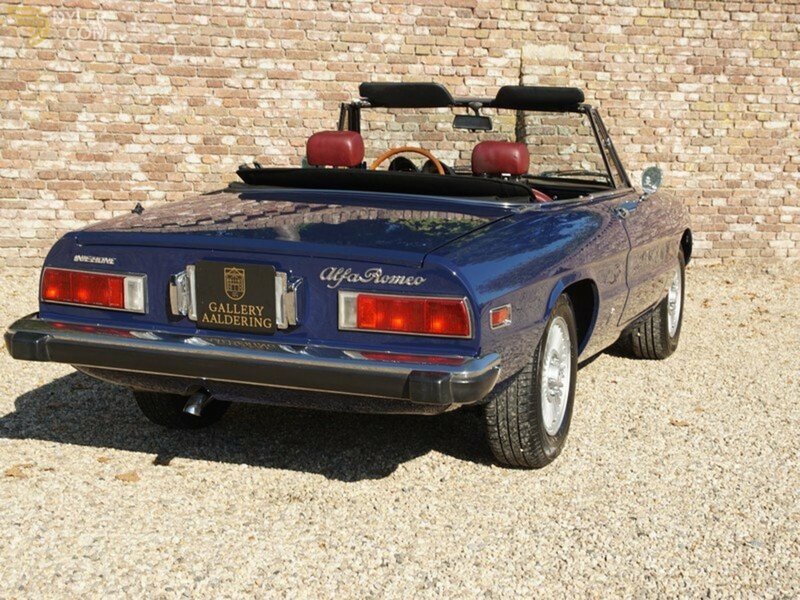 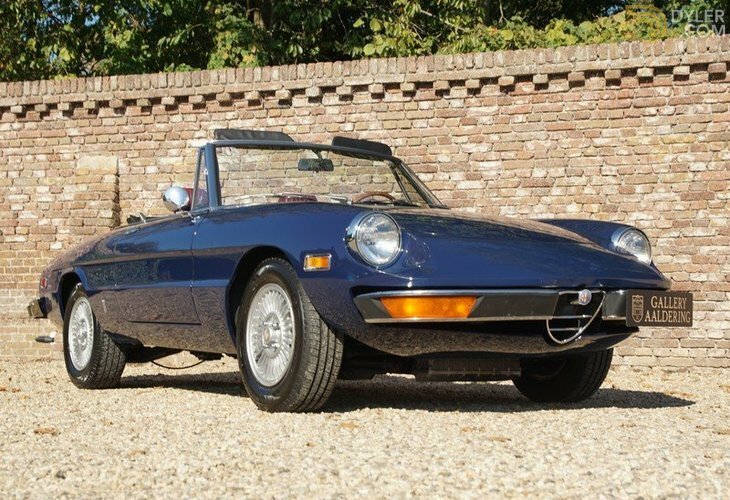 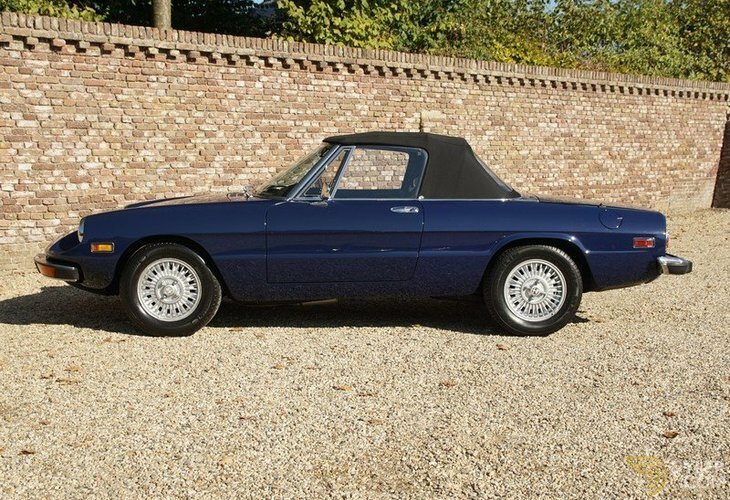 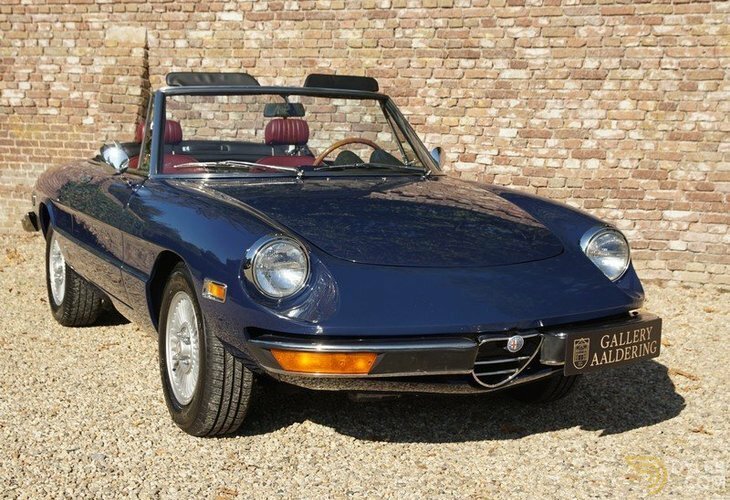 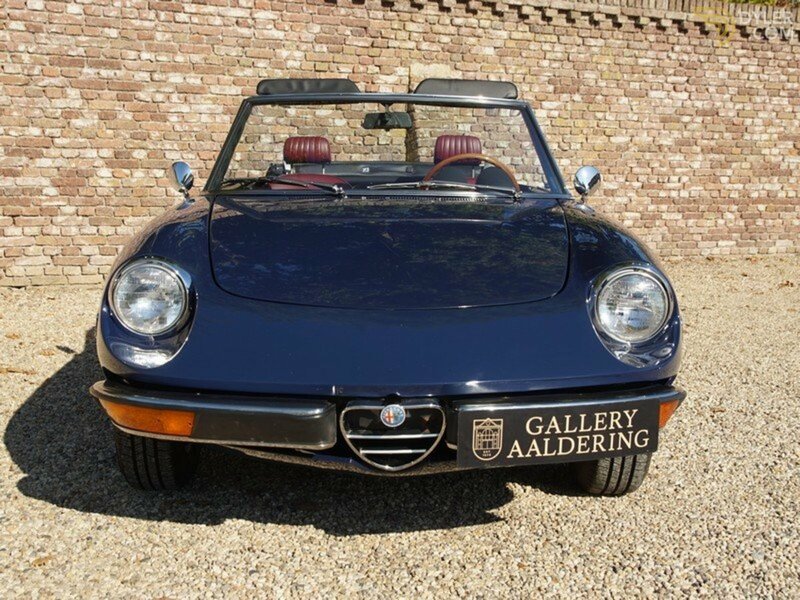 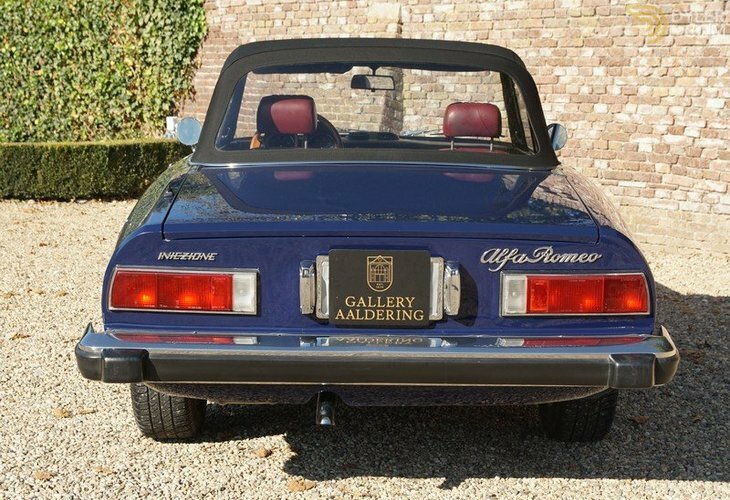 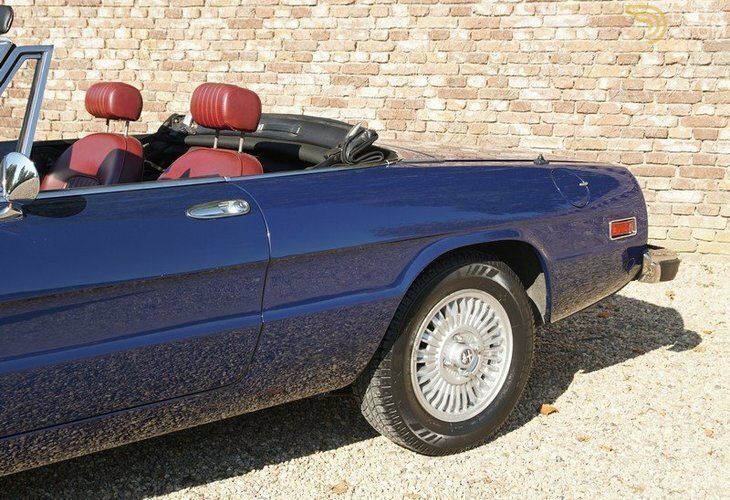 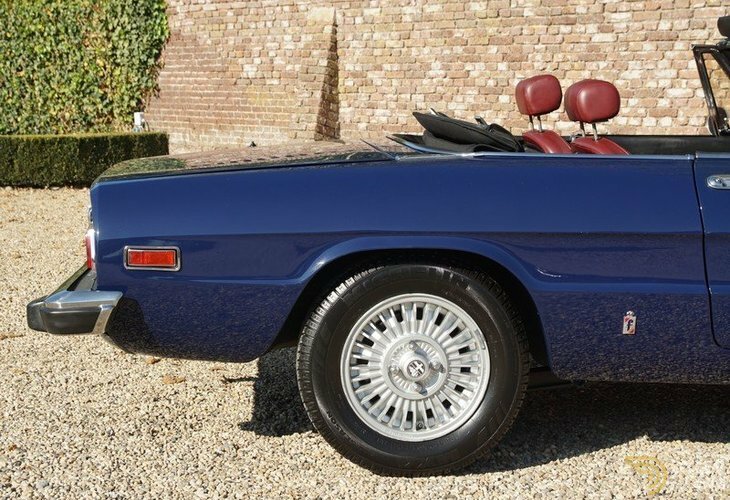 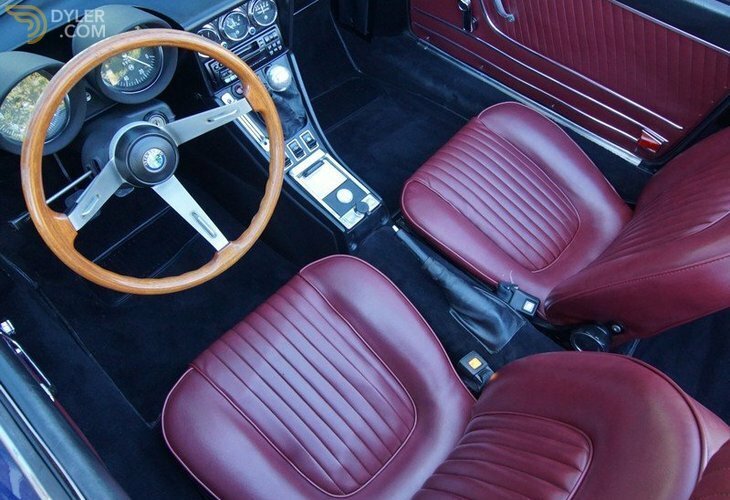 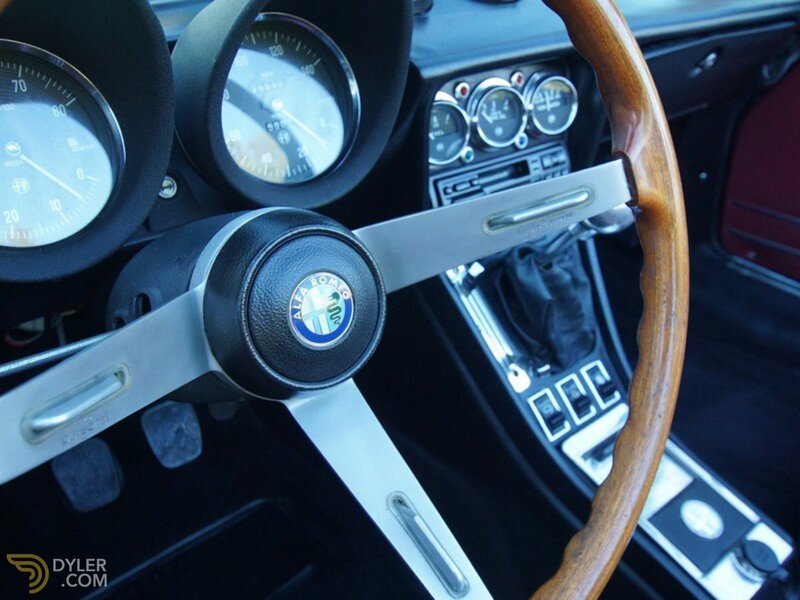 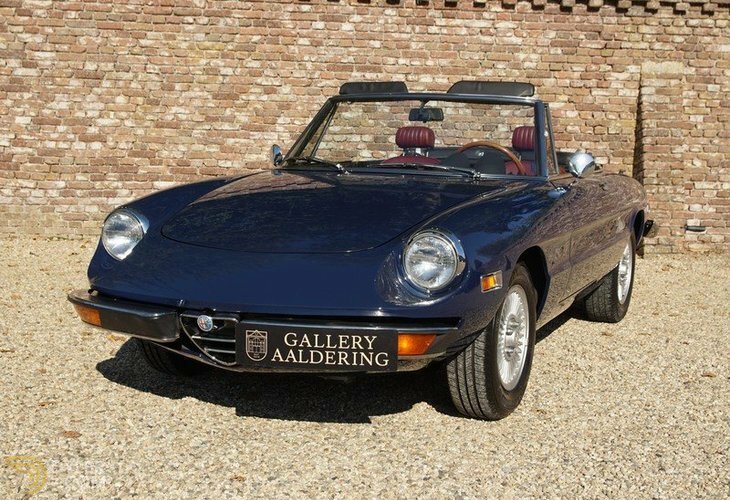 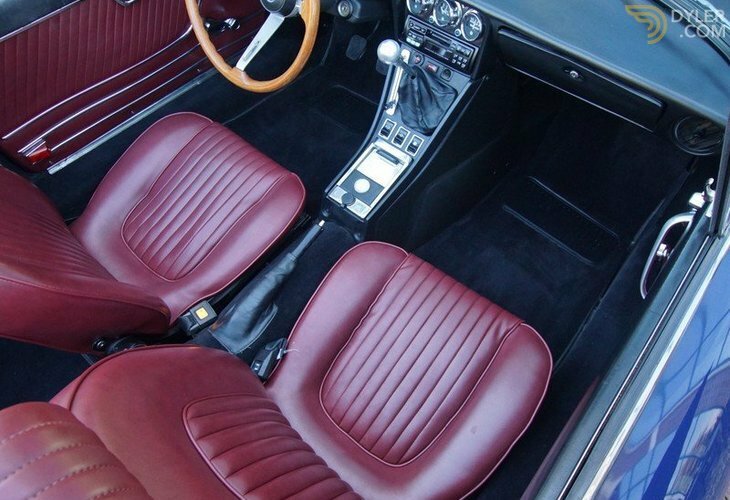 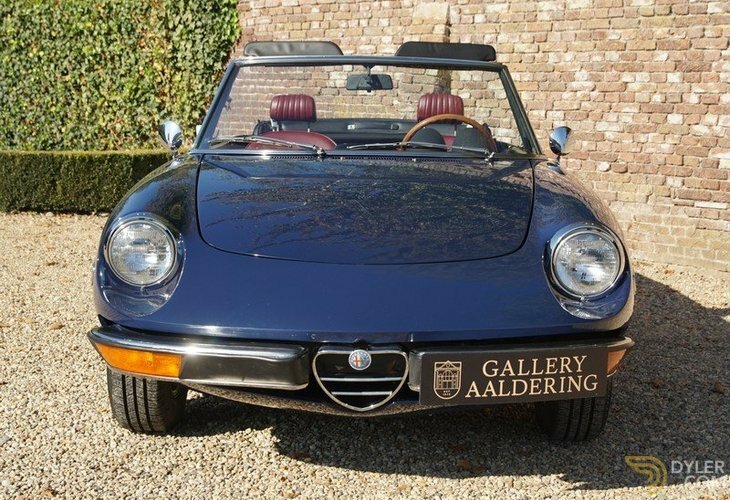 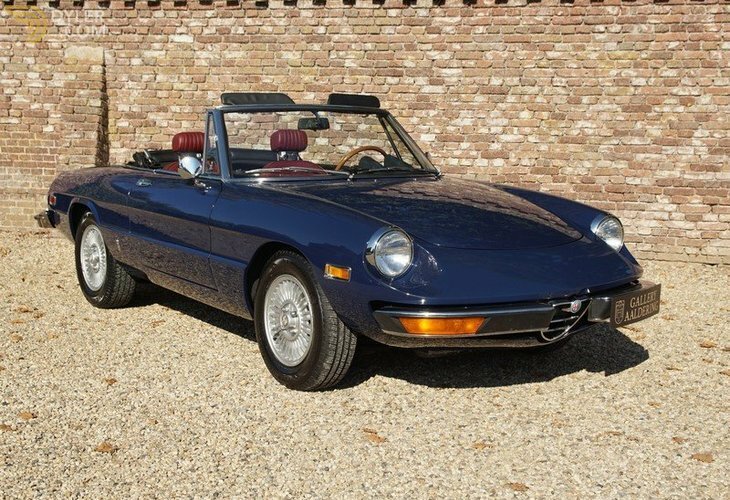 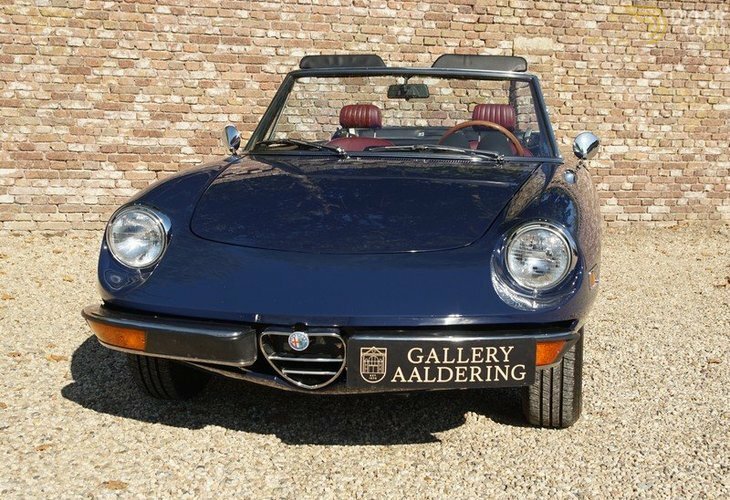 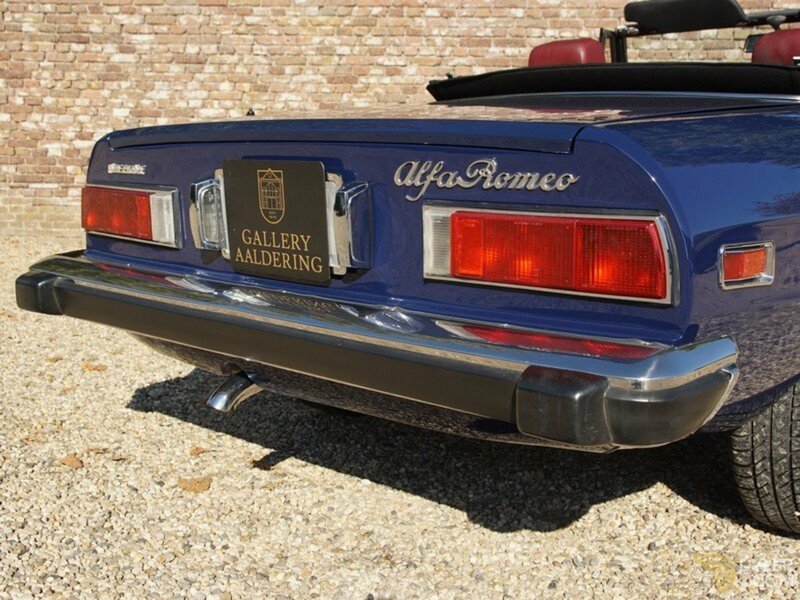 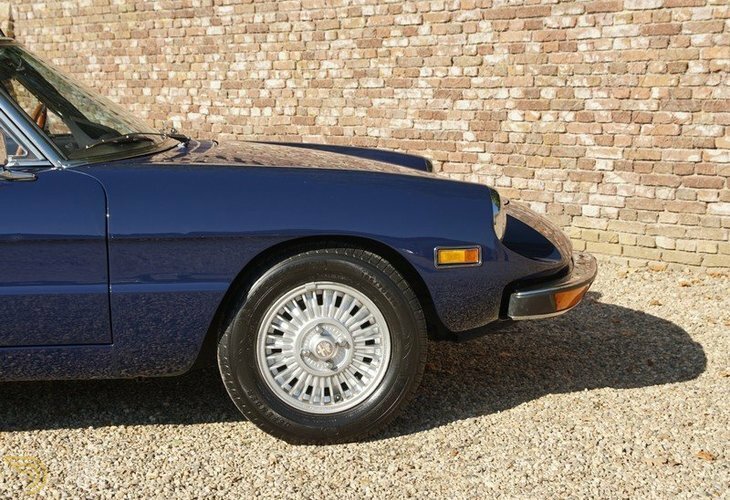 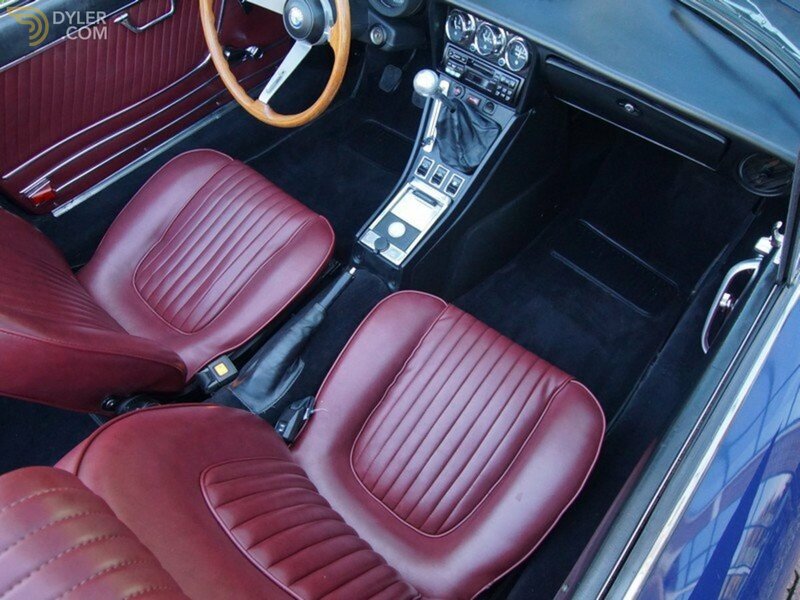 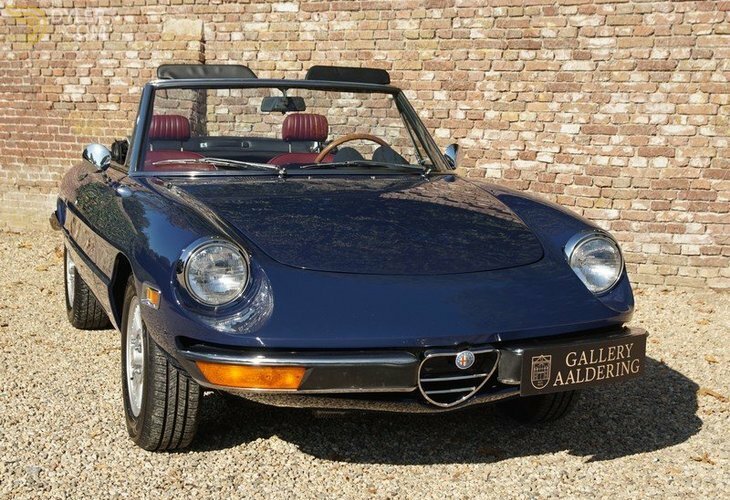 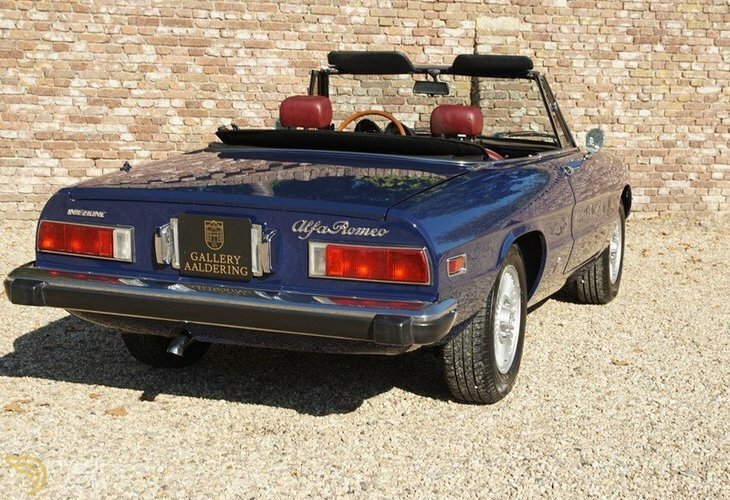 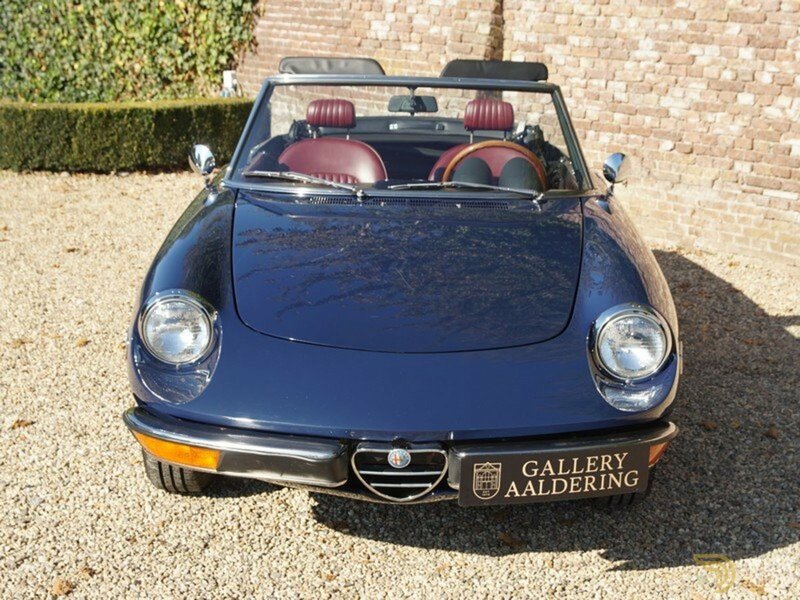 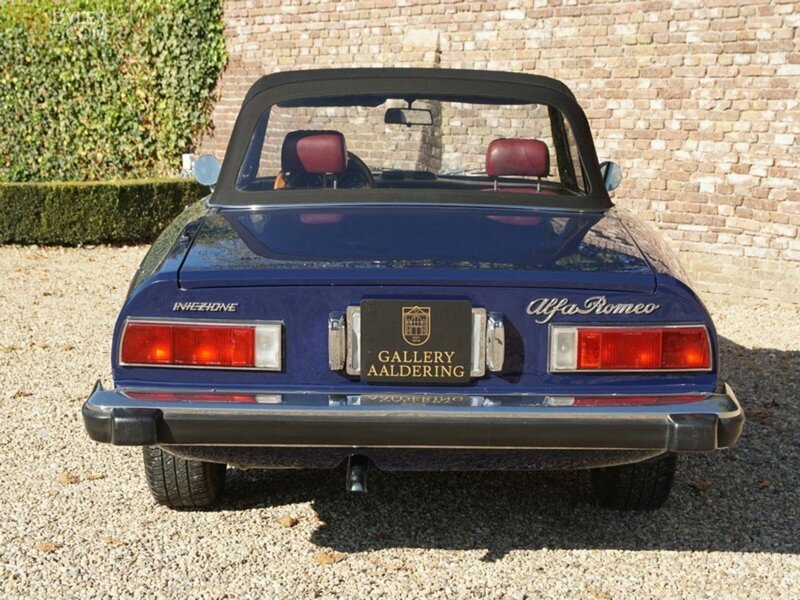 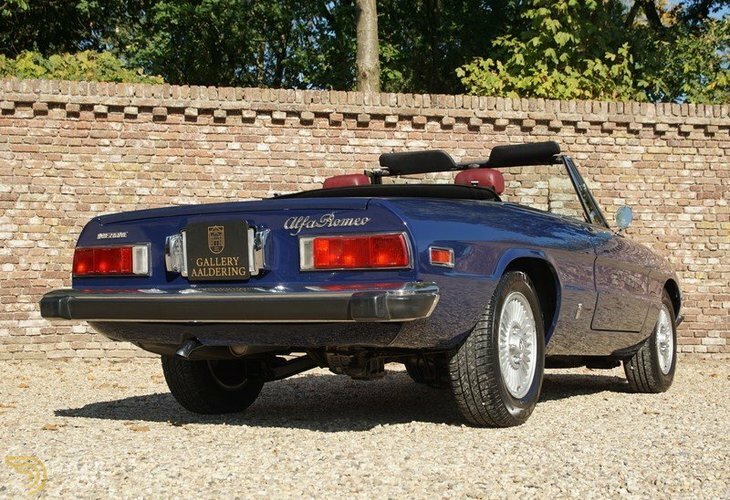 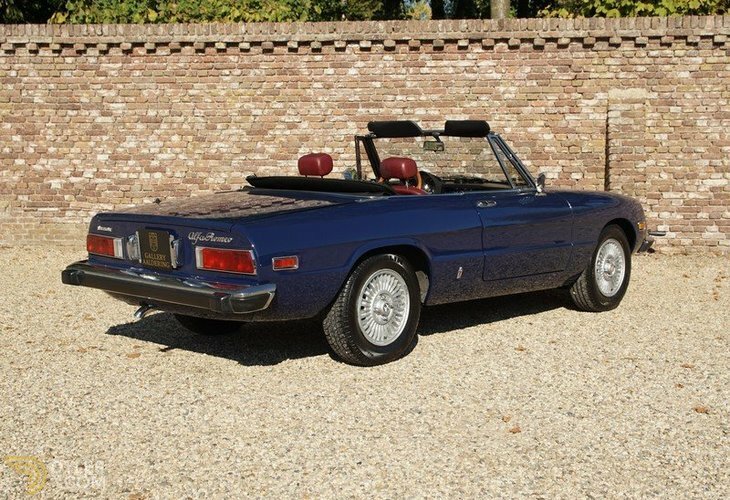 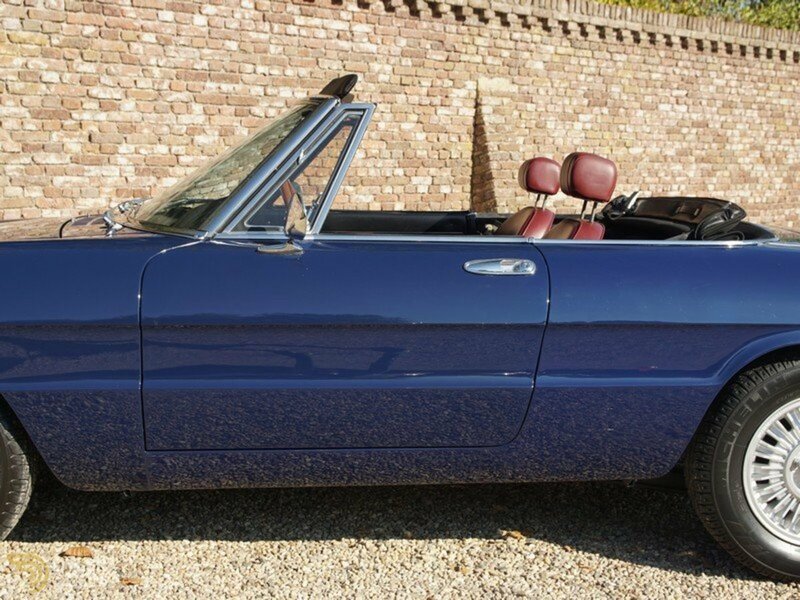 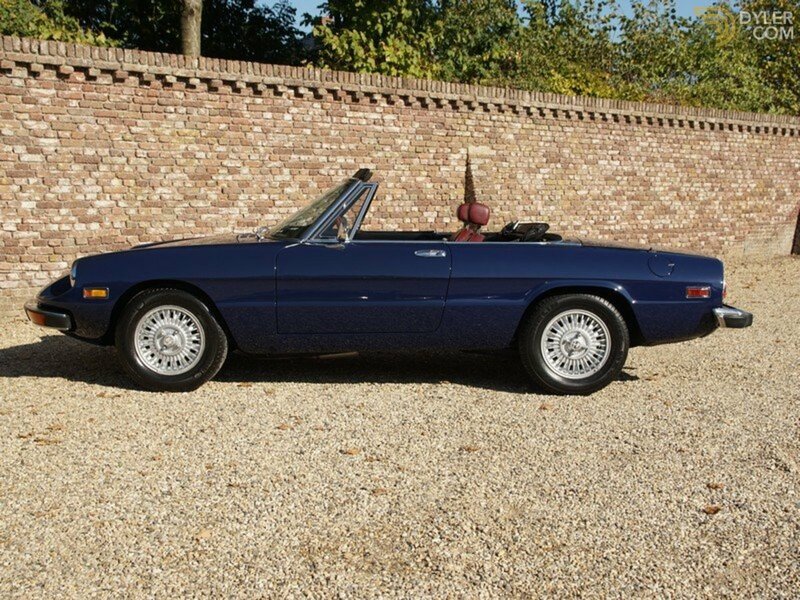 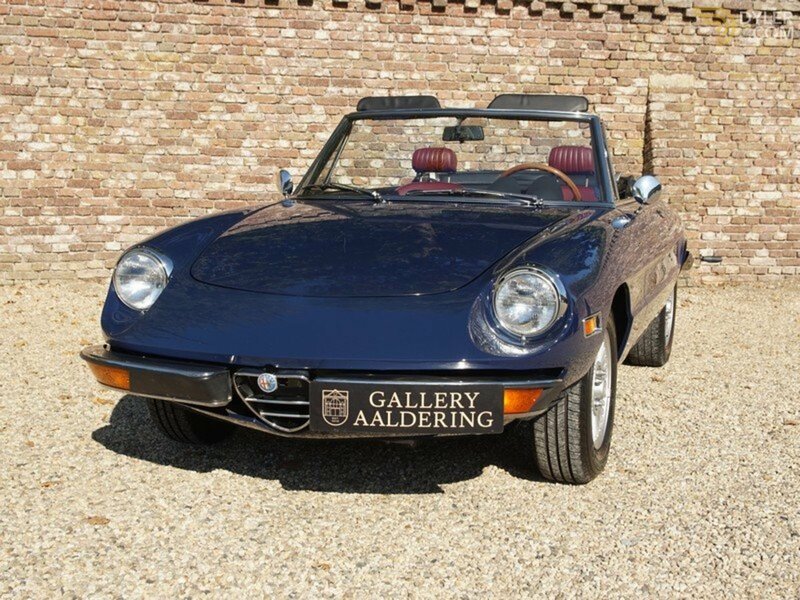 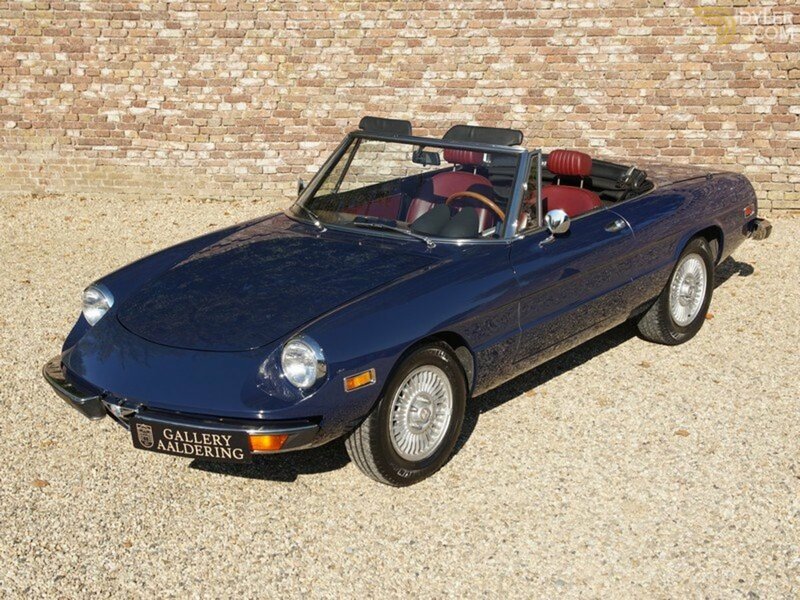 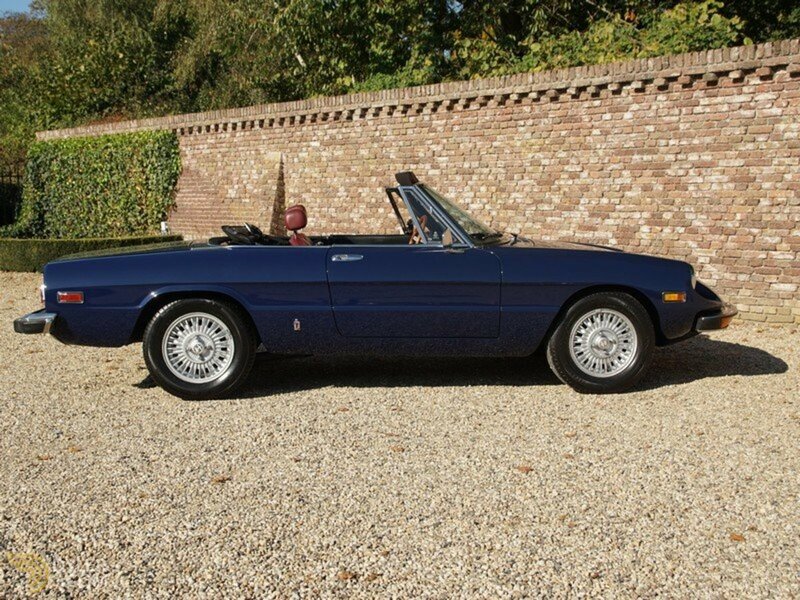 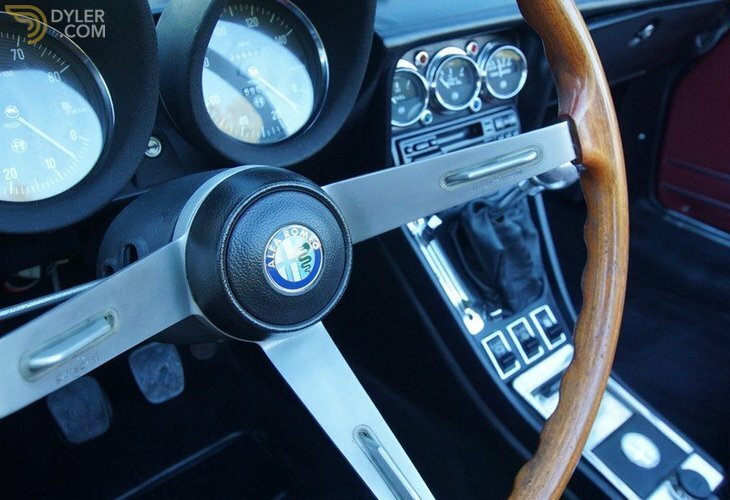 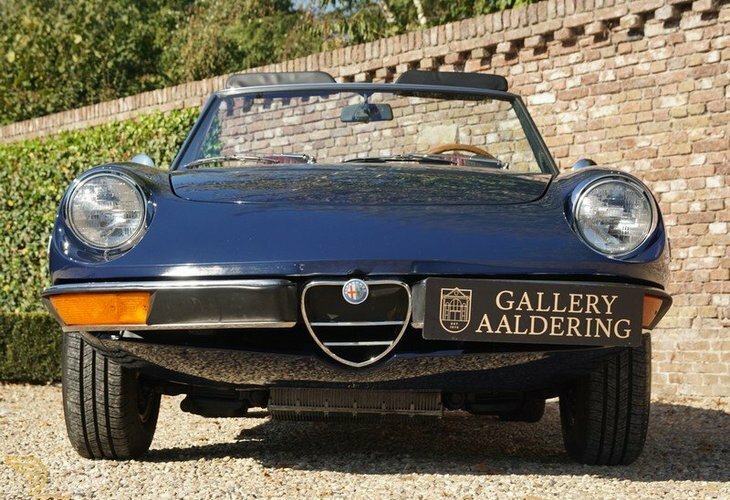 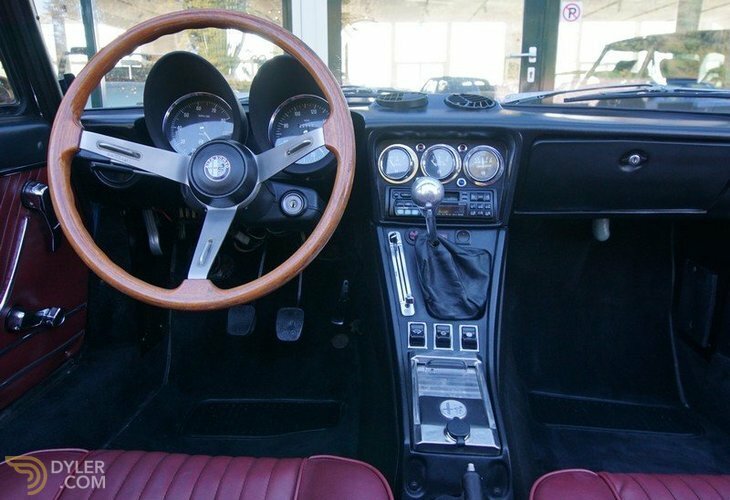 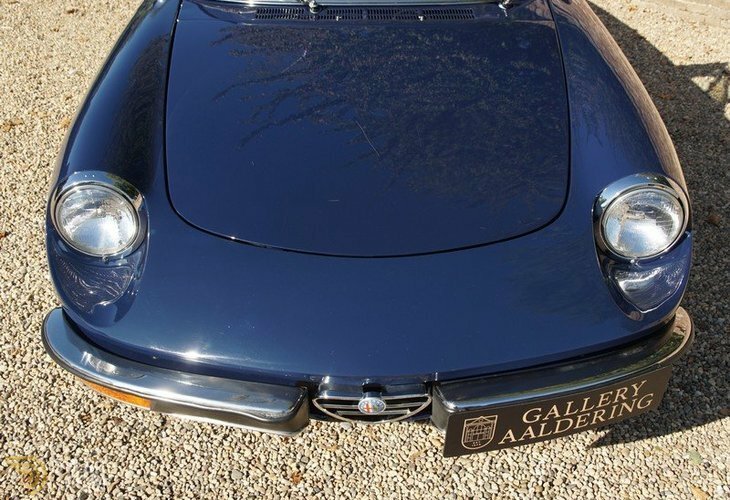 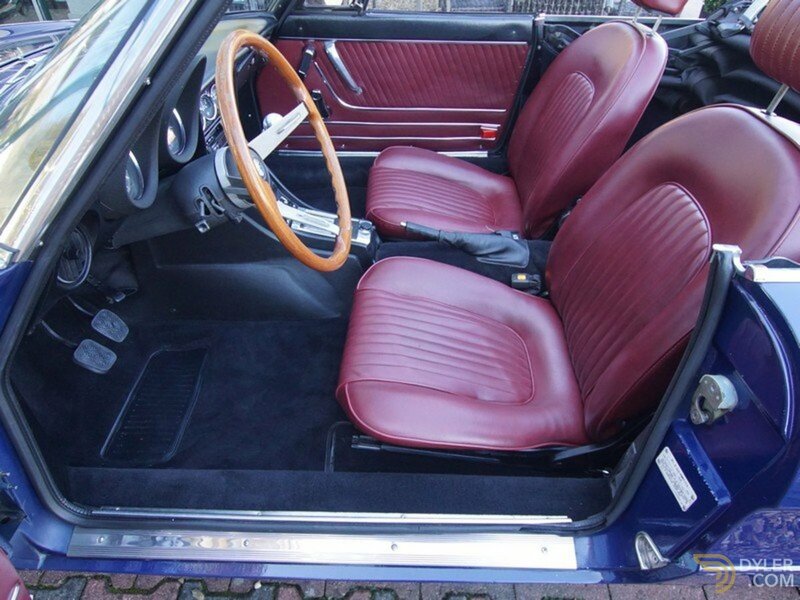 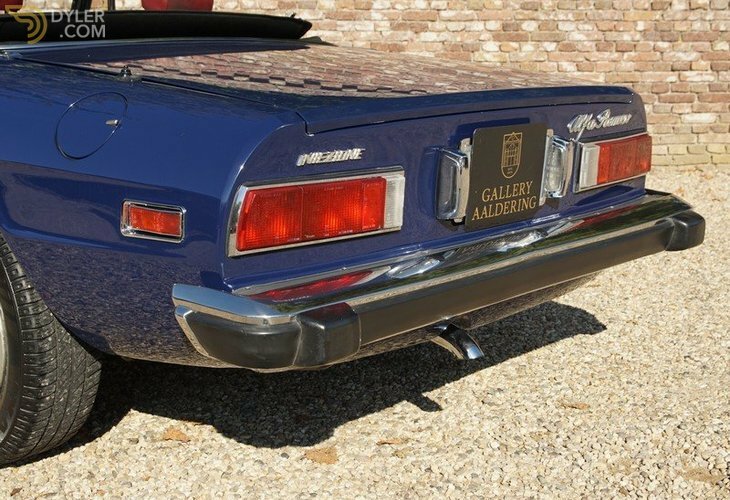 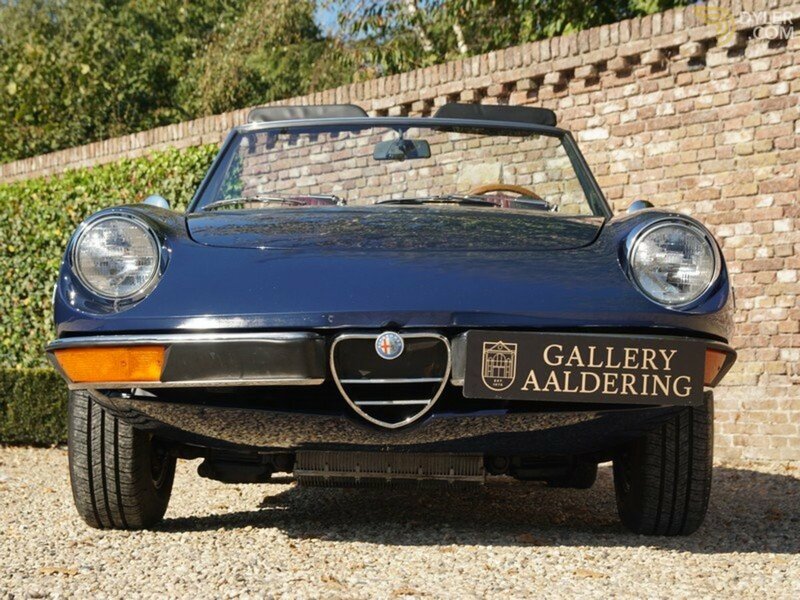 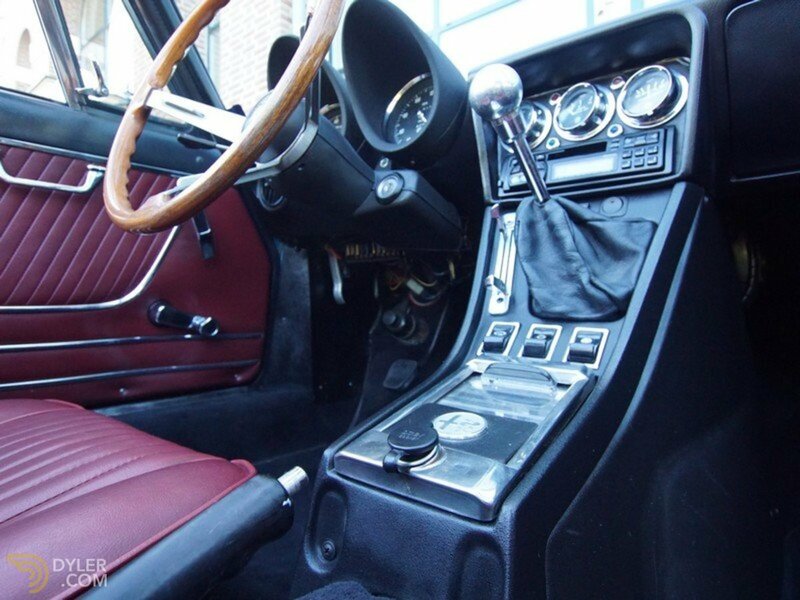 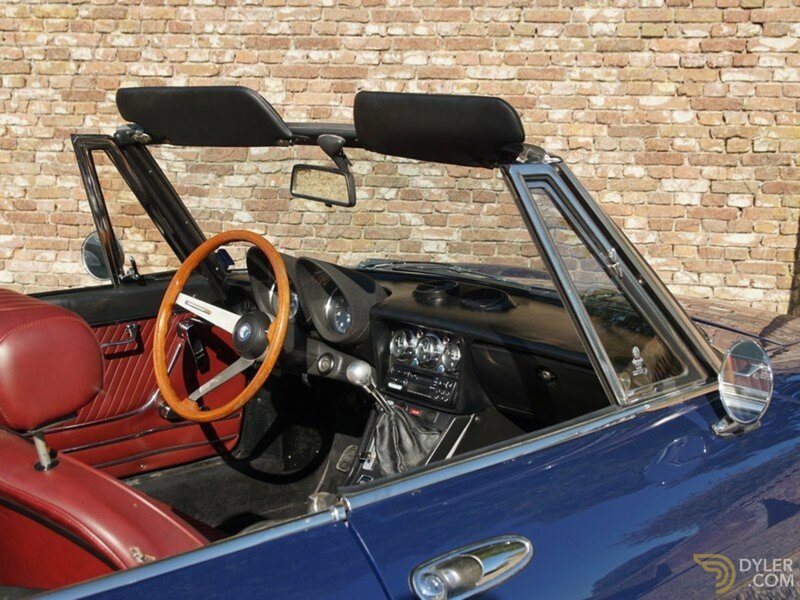 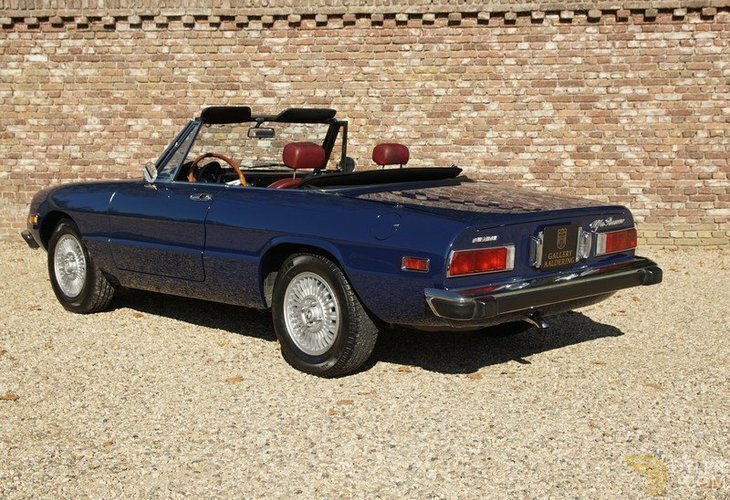 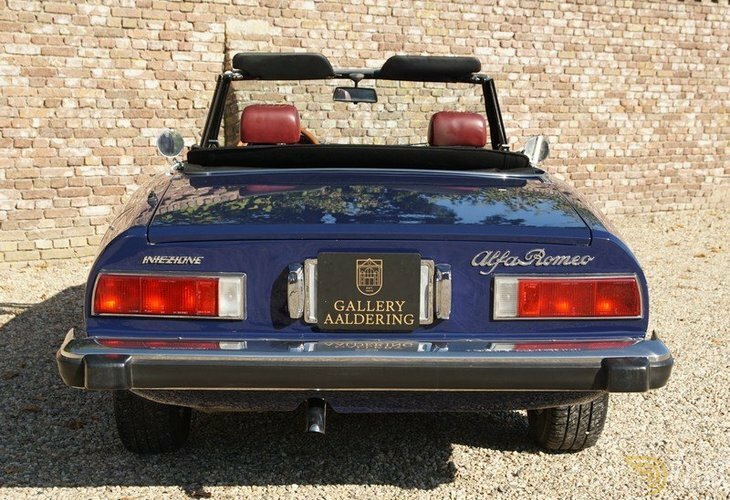 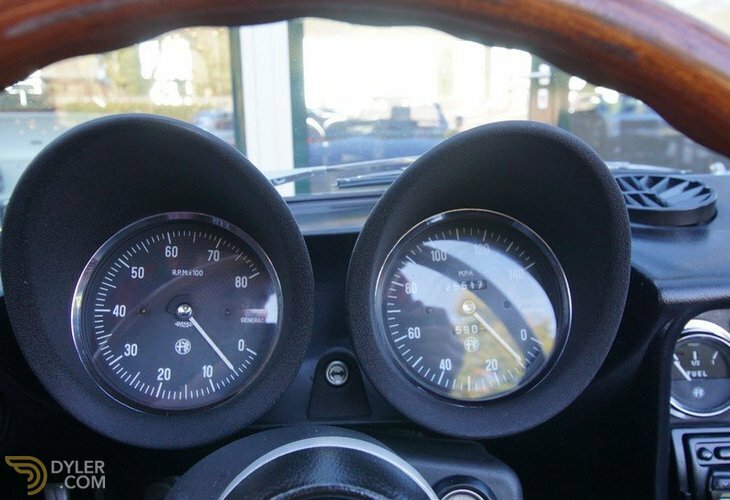 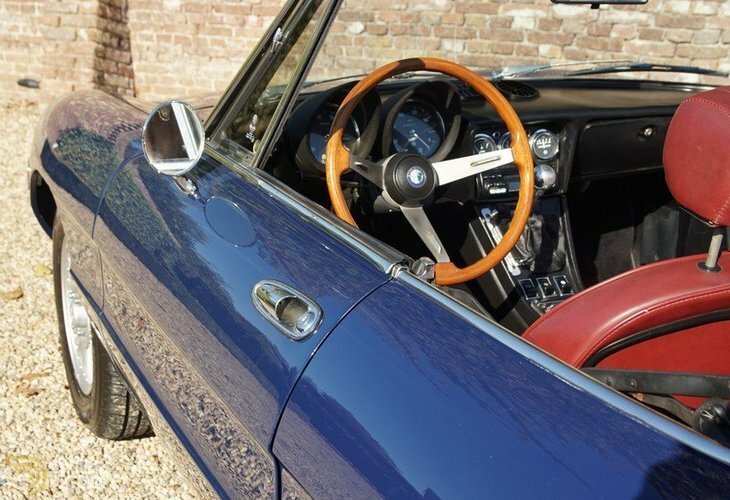 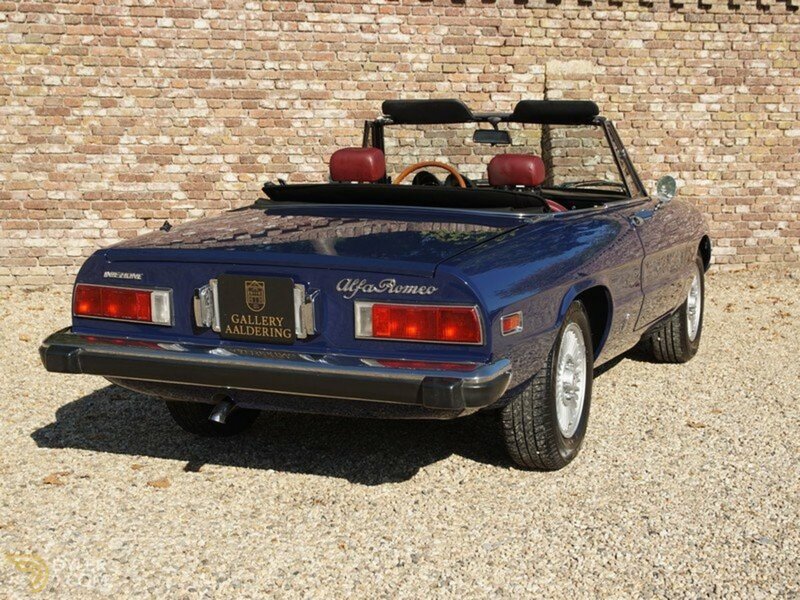 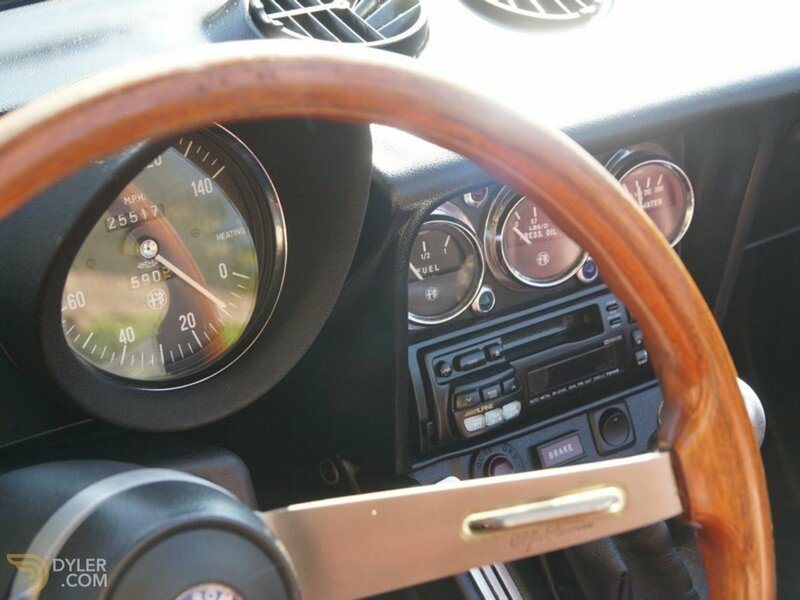 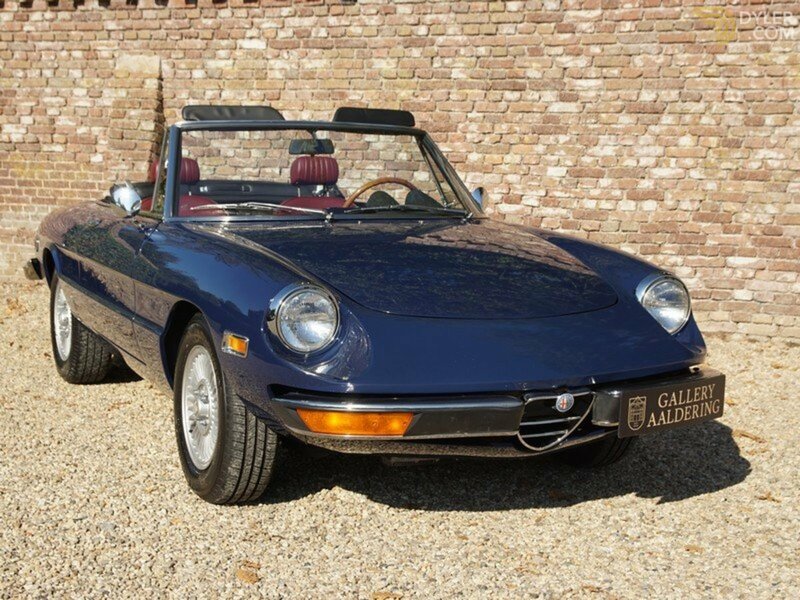 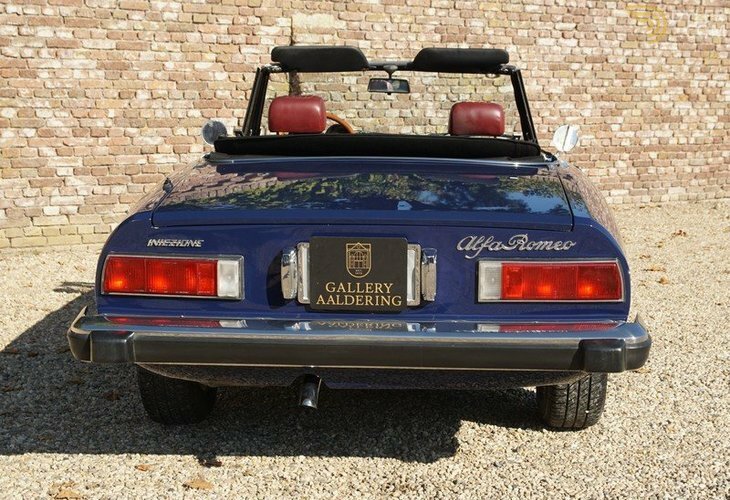 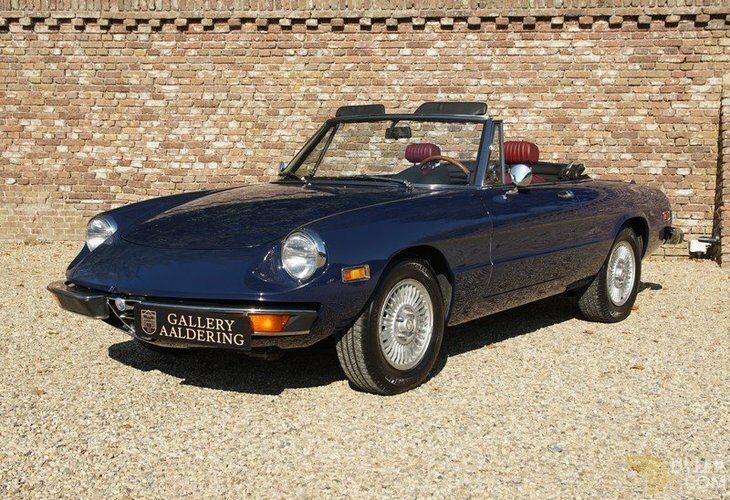 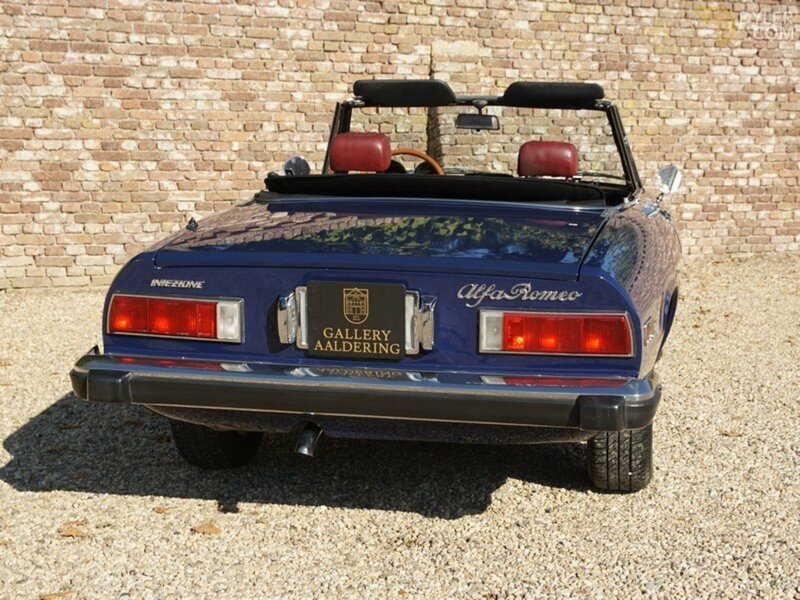 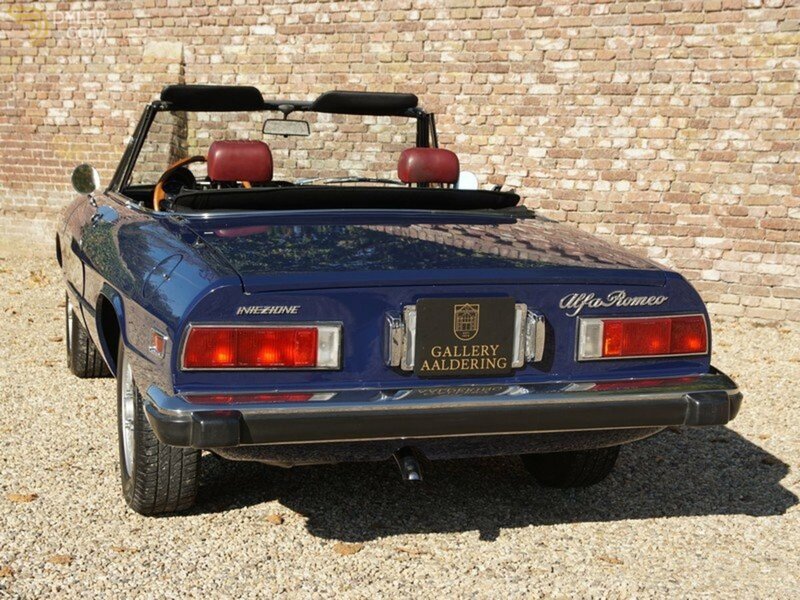 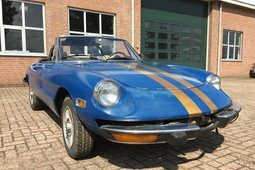 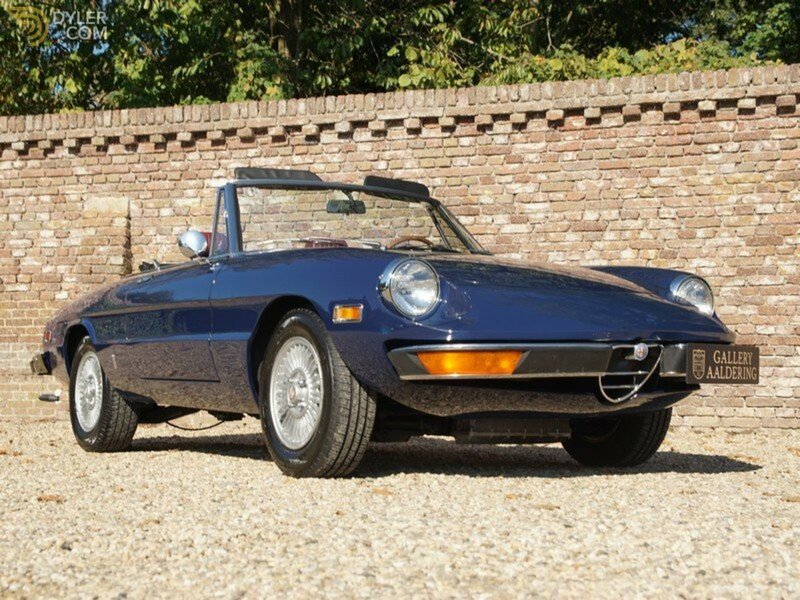 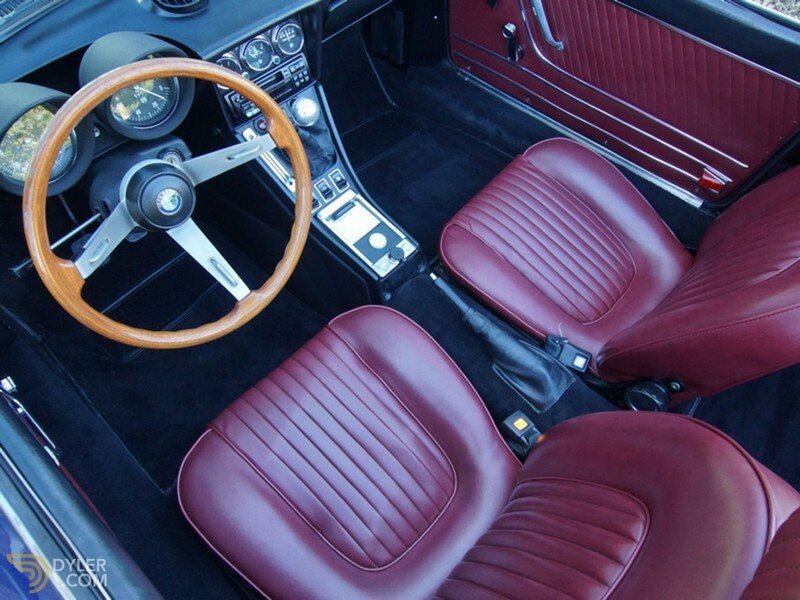 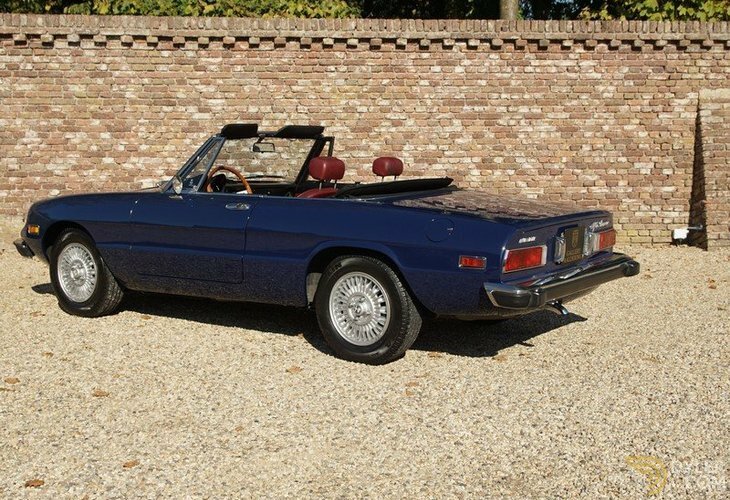 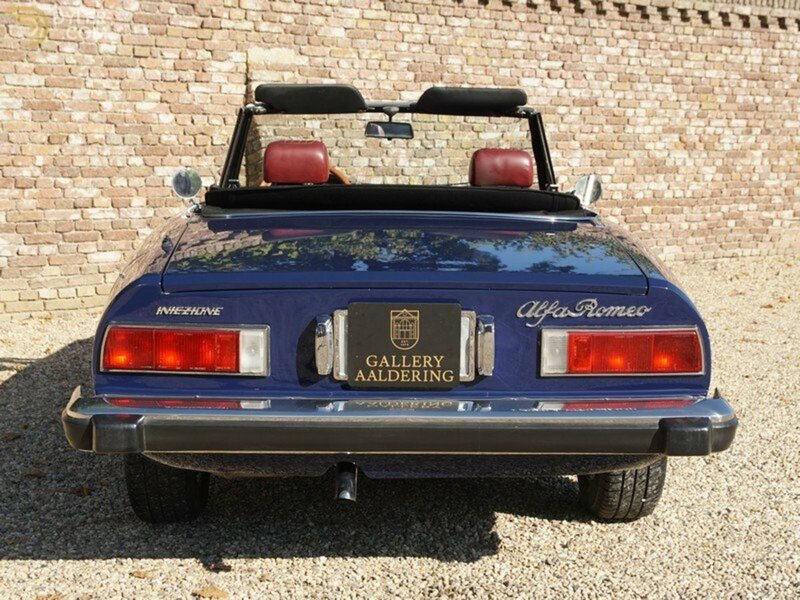 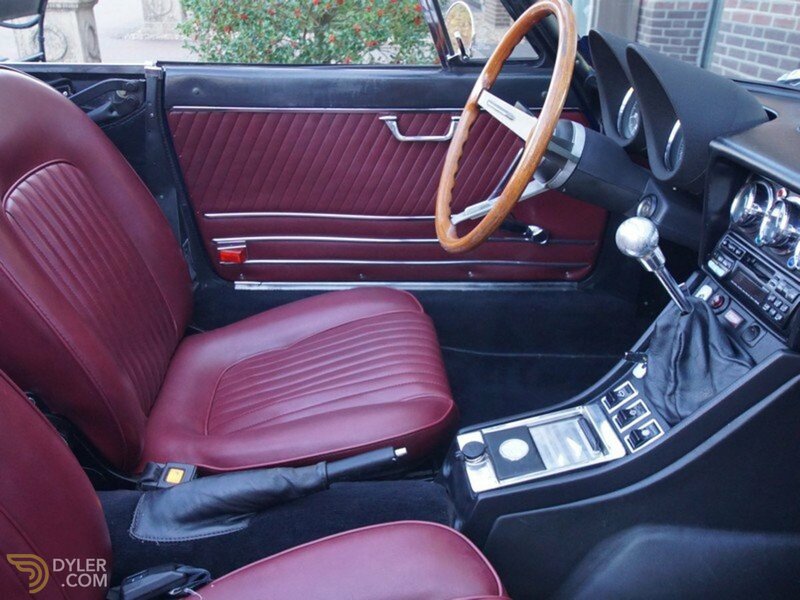 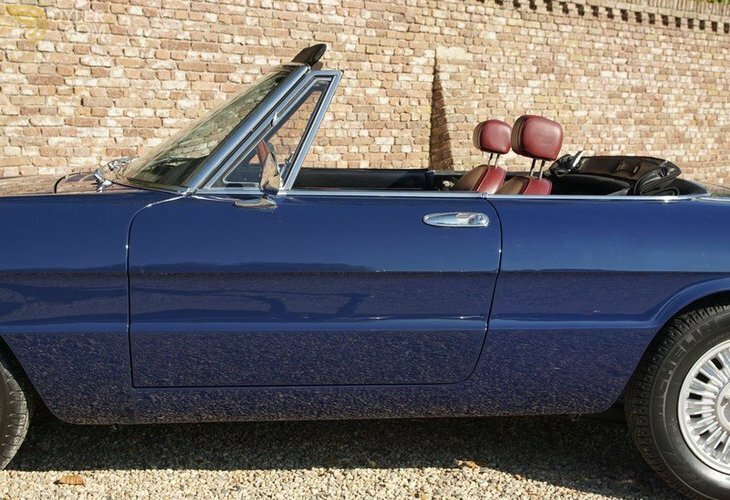 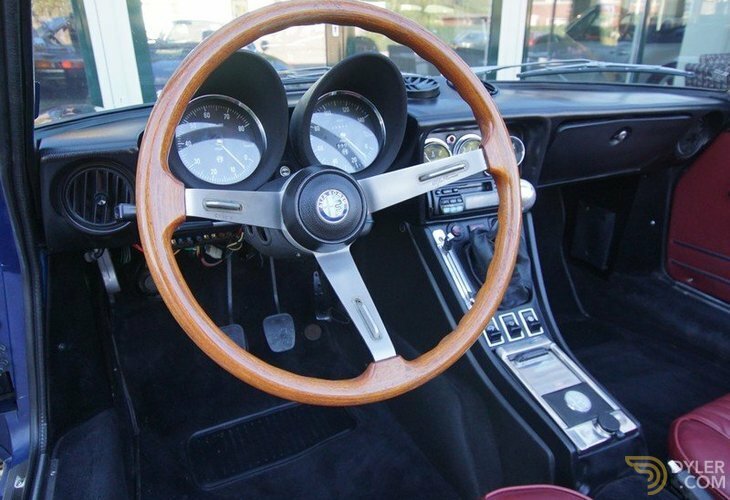 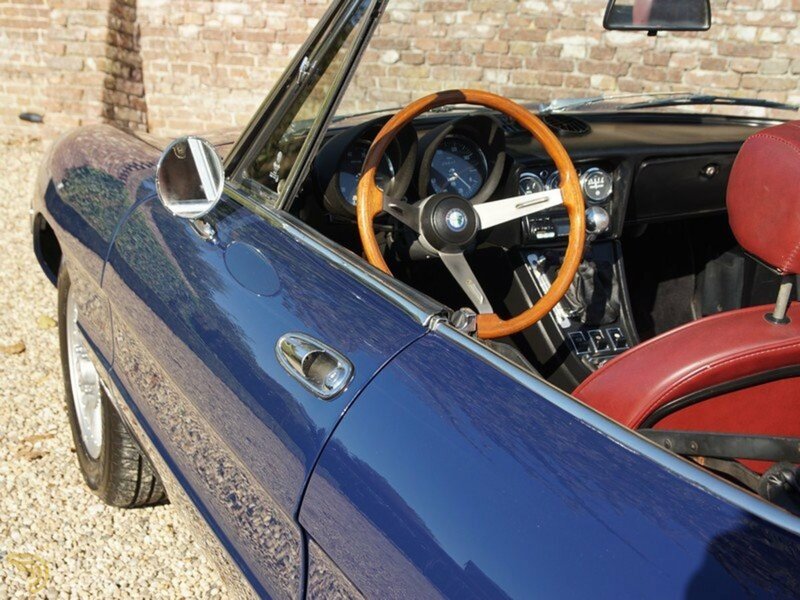 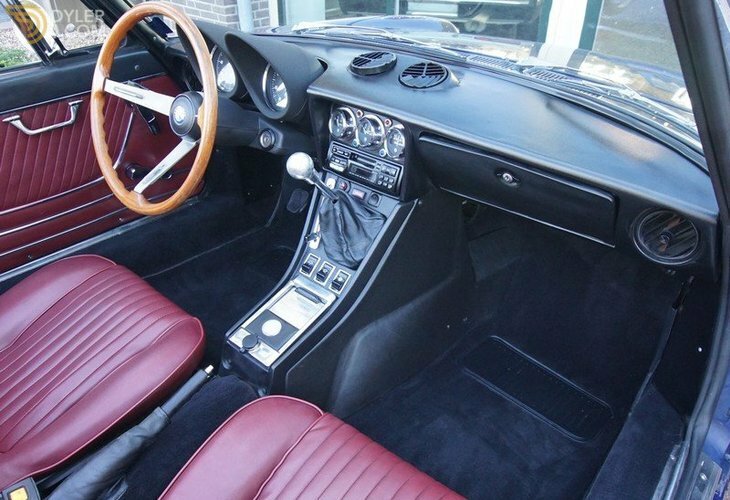 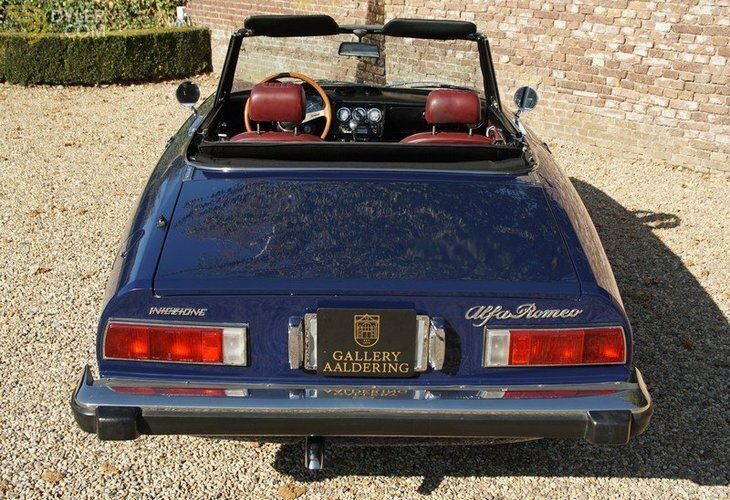 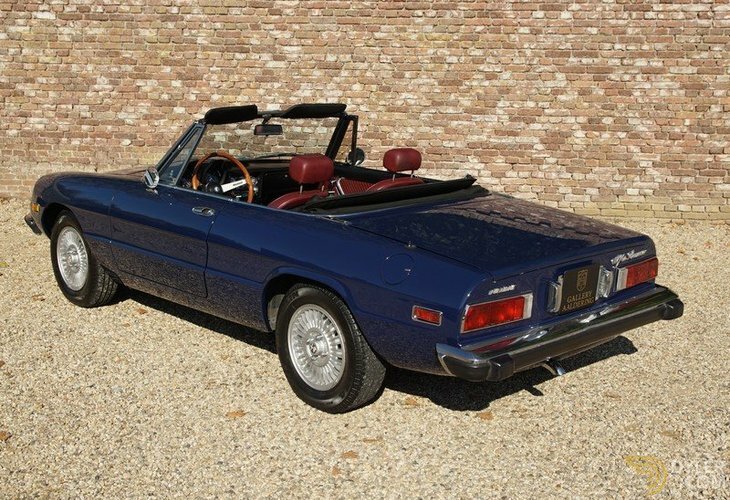 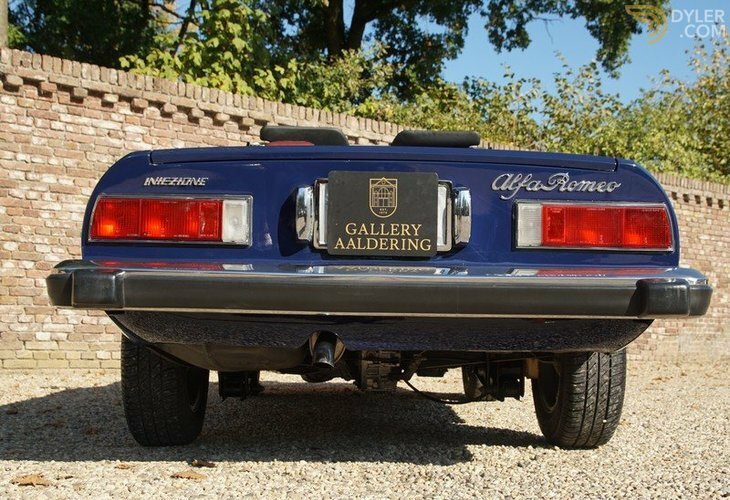 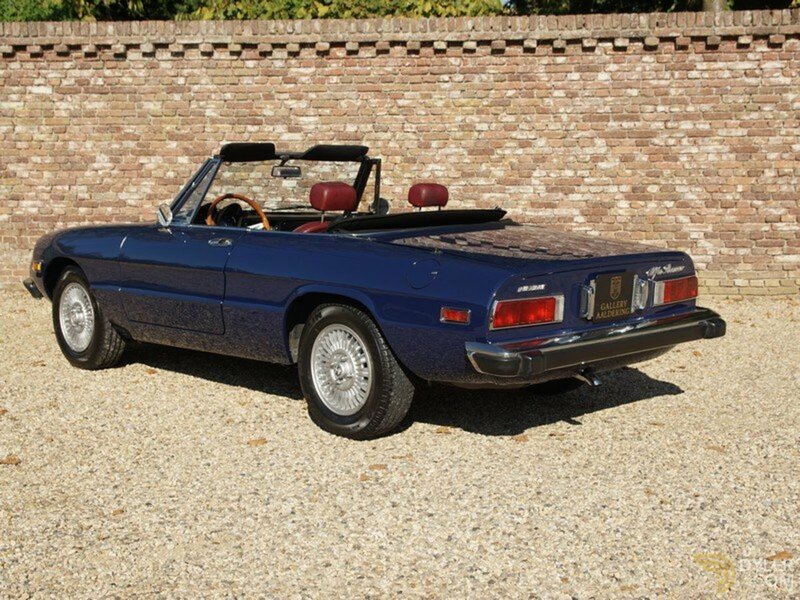 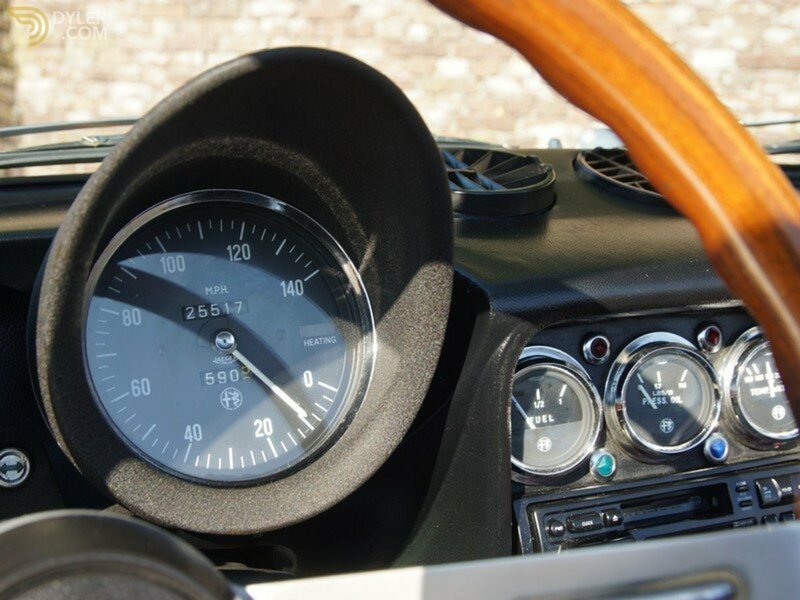 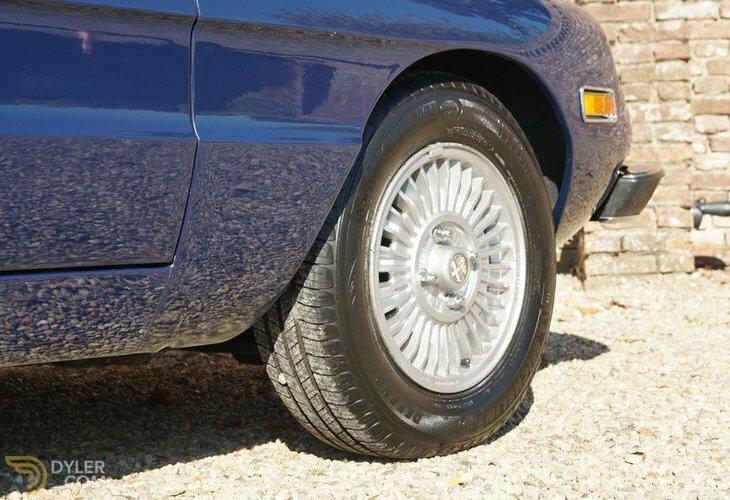 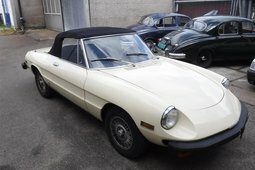 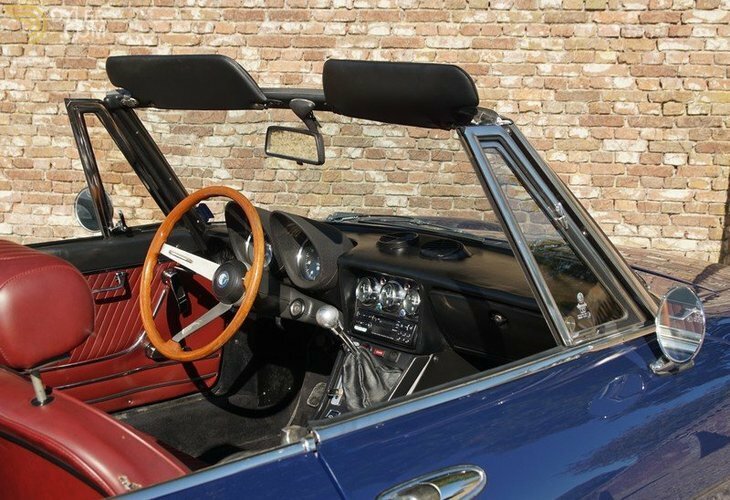 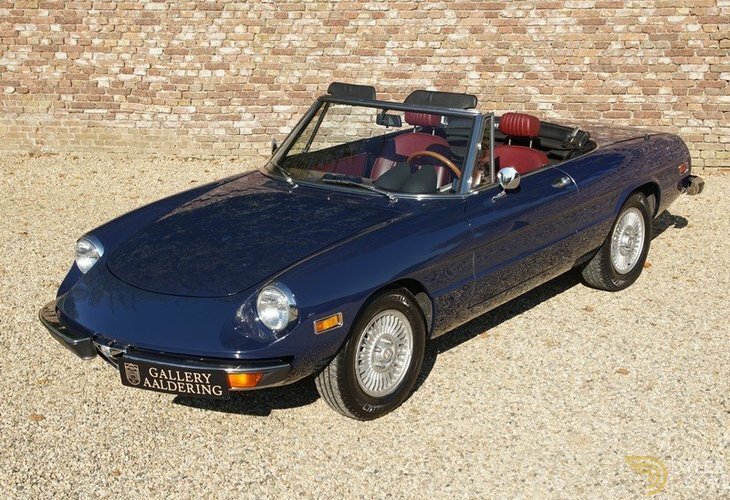 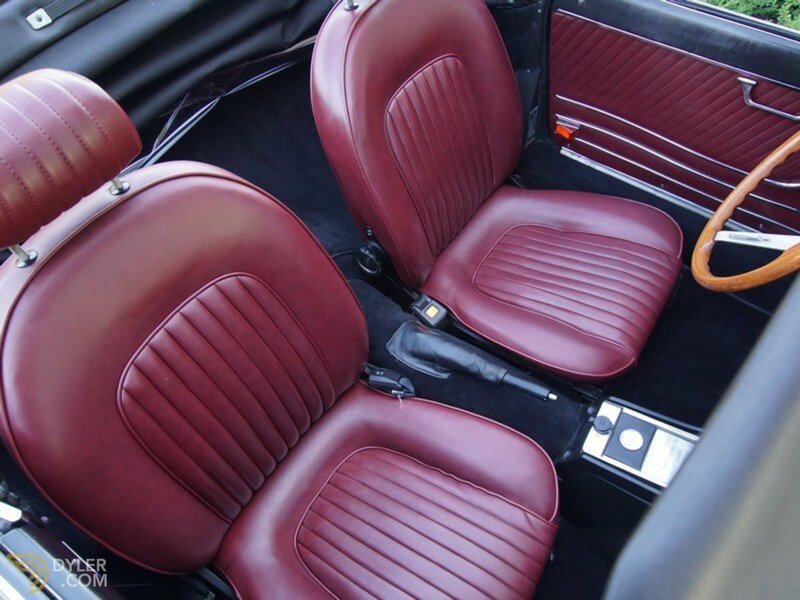 A wonderfully preserved 1975 Alfa Romeo 2000 Spider Inizione. 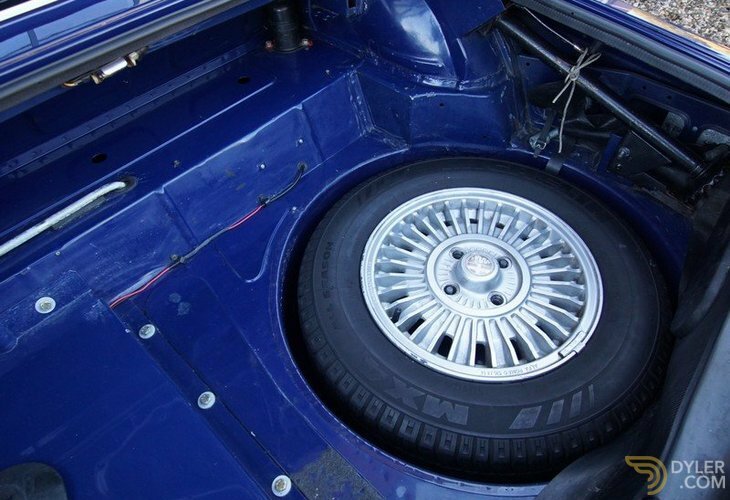 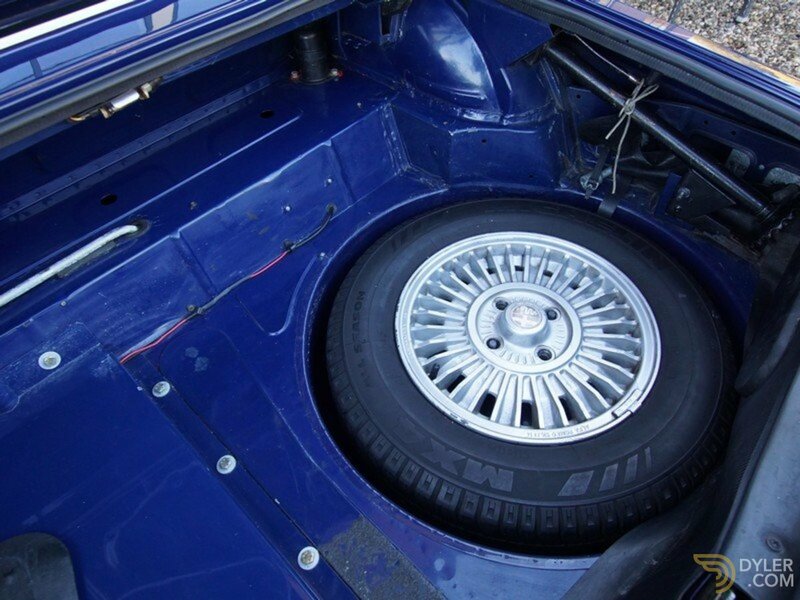 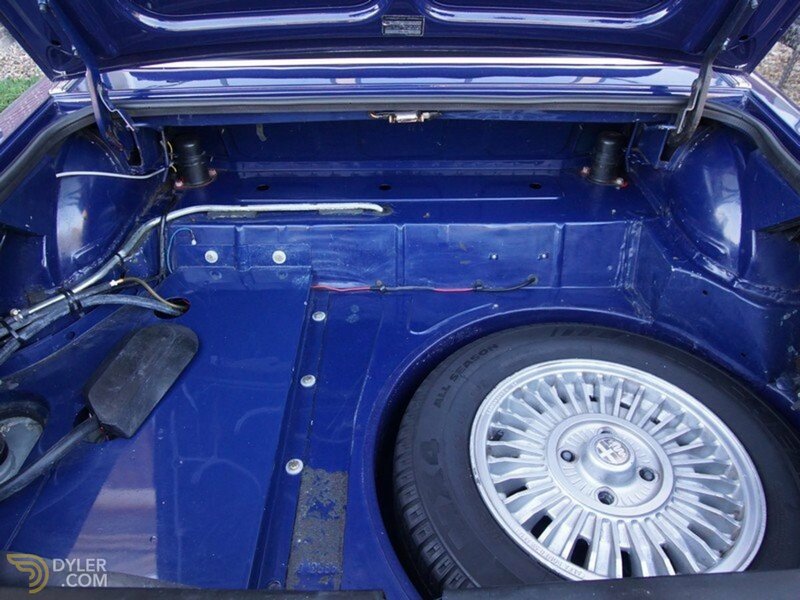 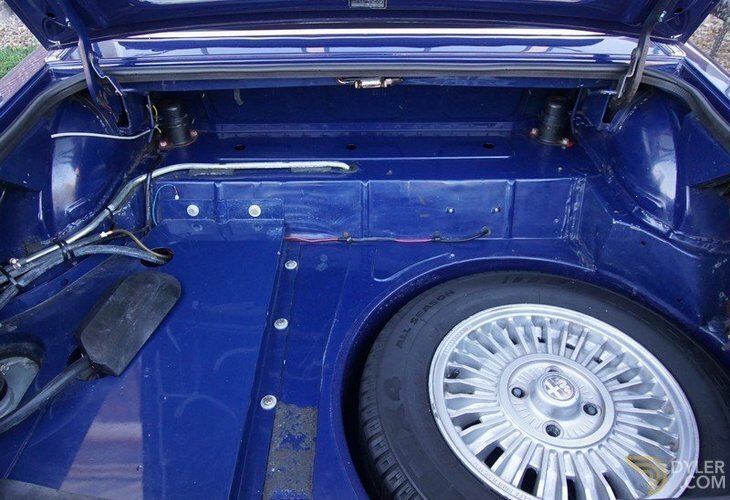 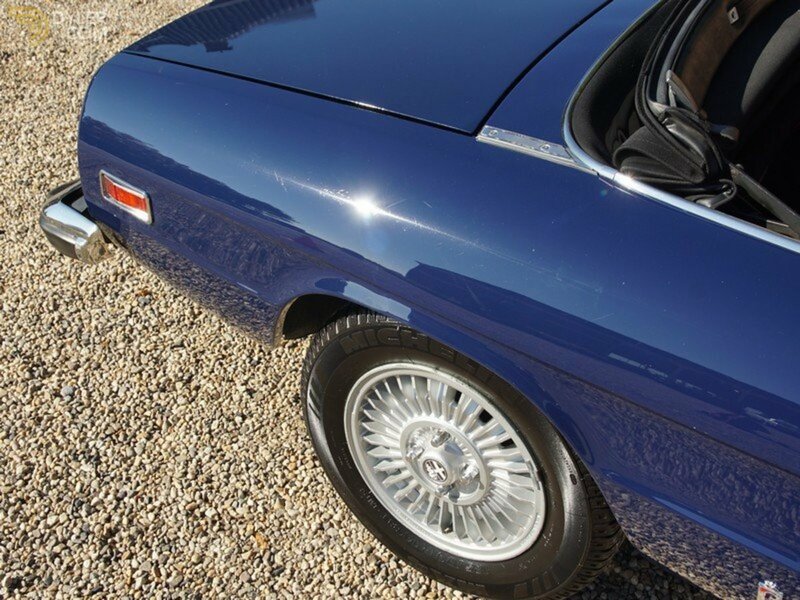 It is a Californian ‘Blue Plate’ so it has zero rust-free. 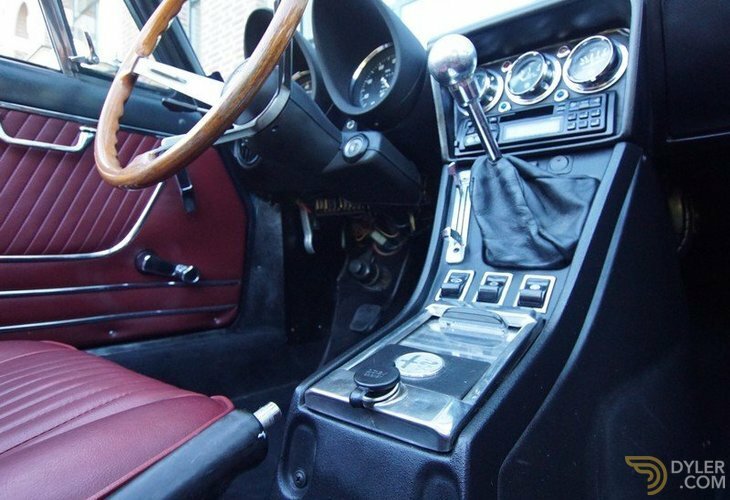 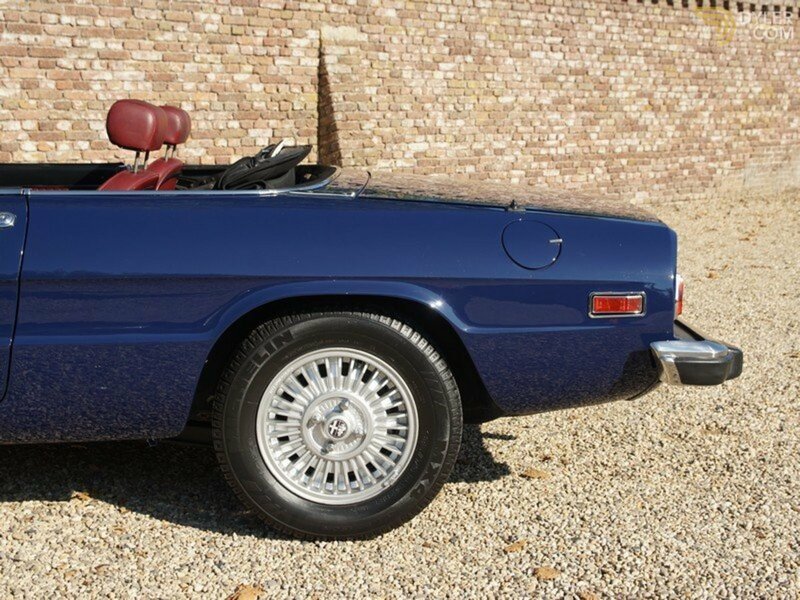 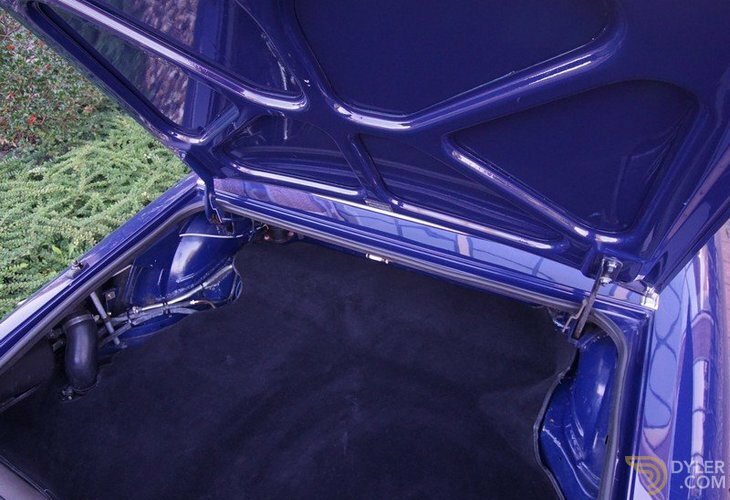 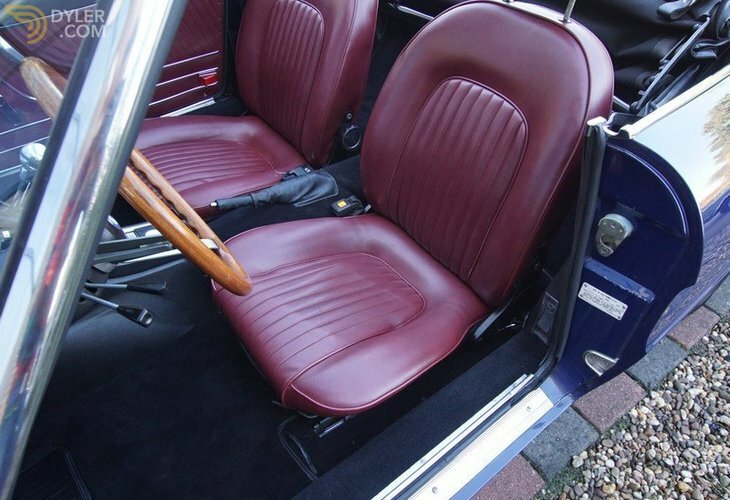 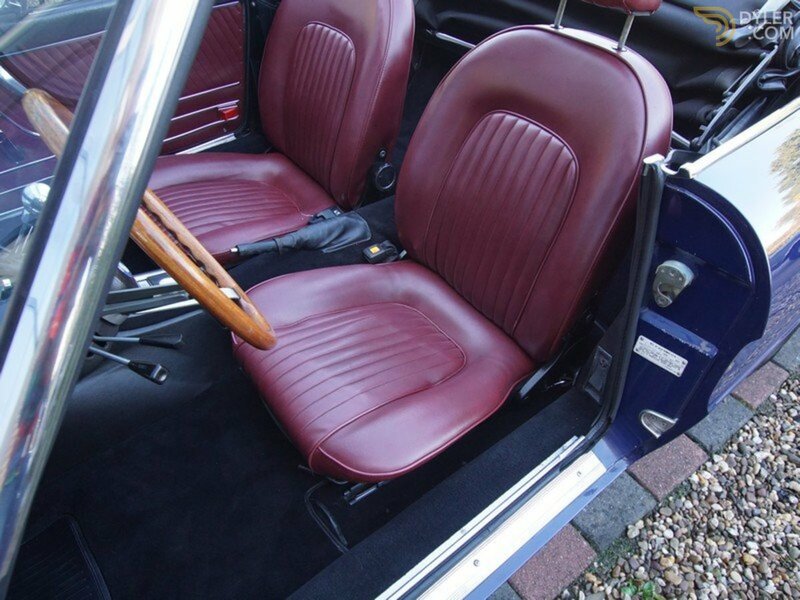 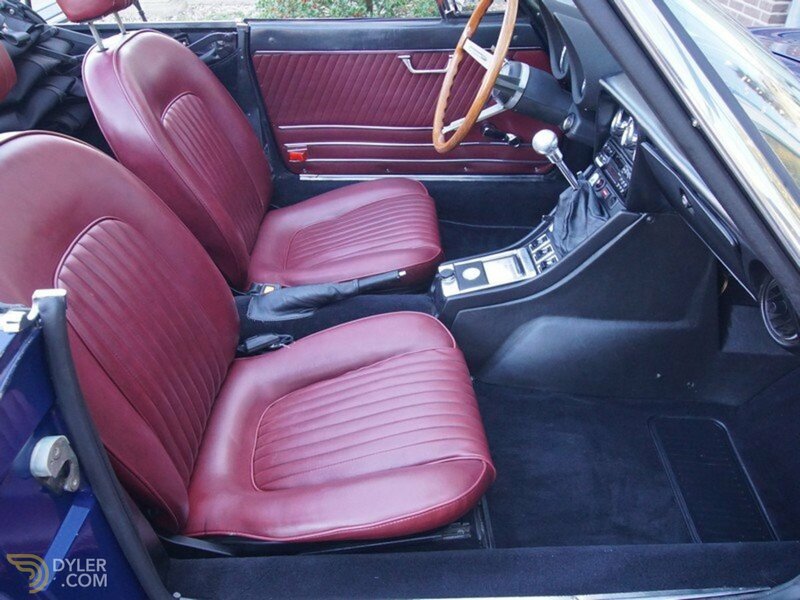 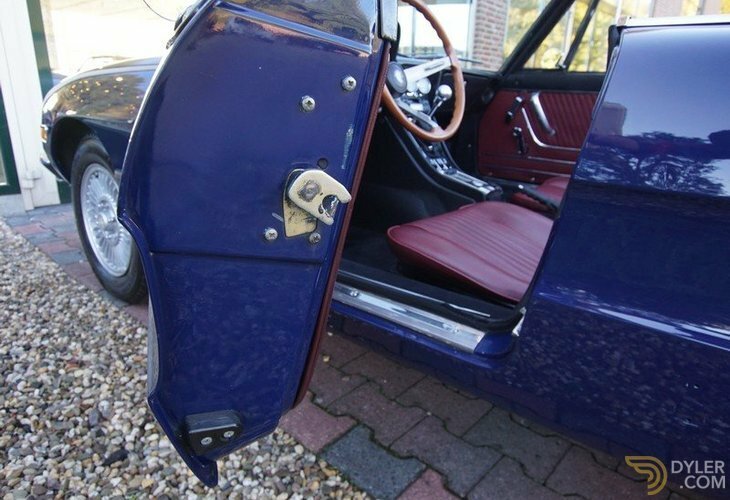 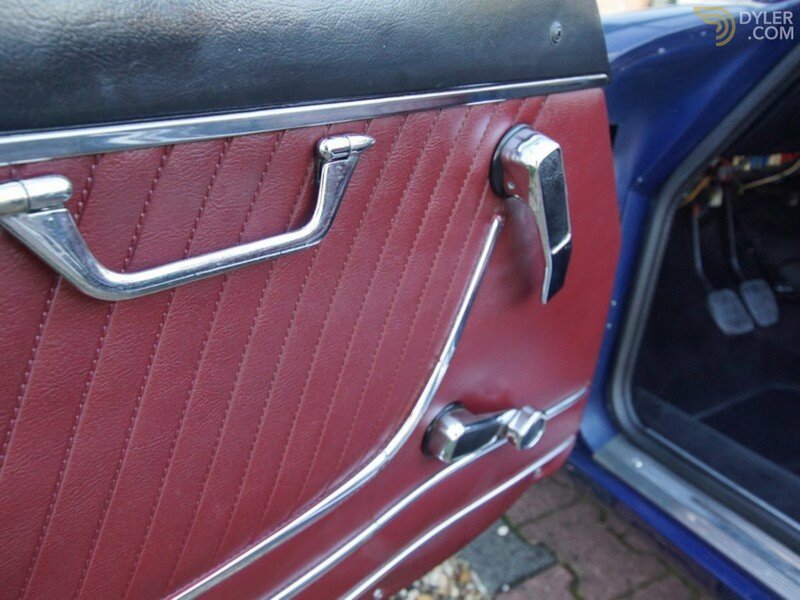 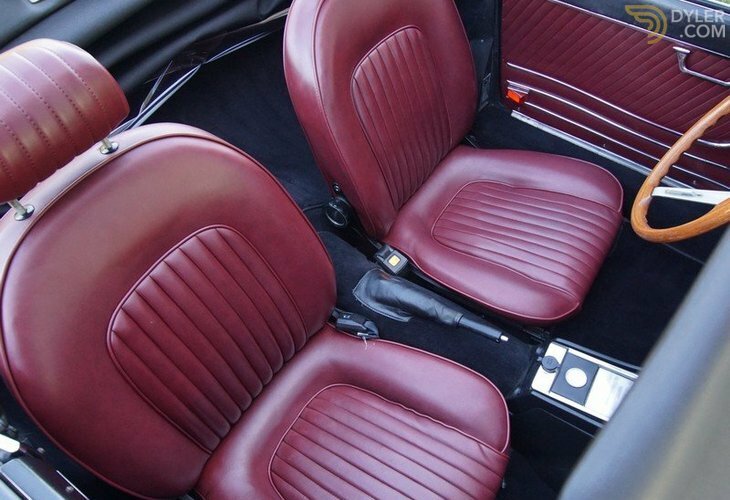 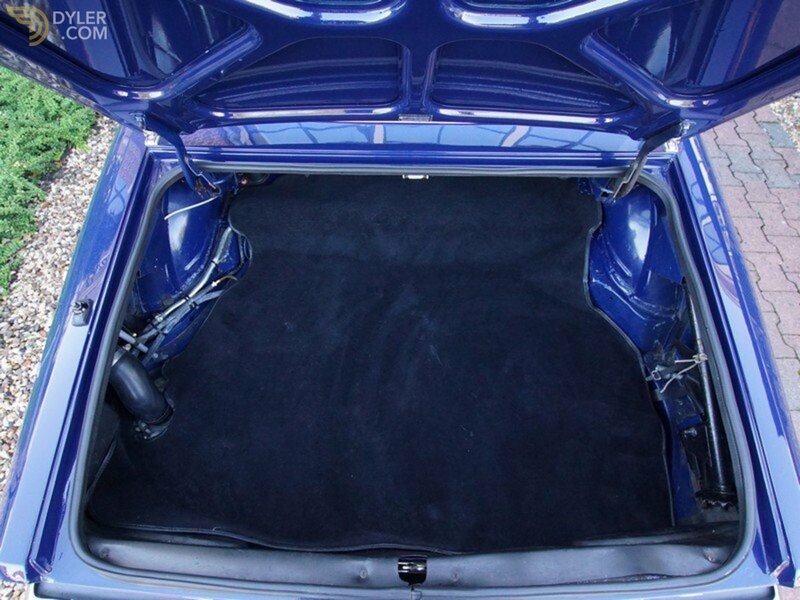 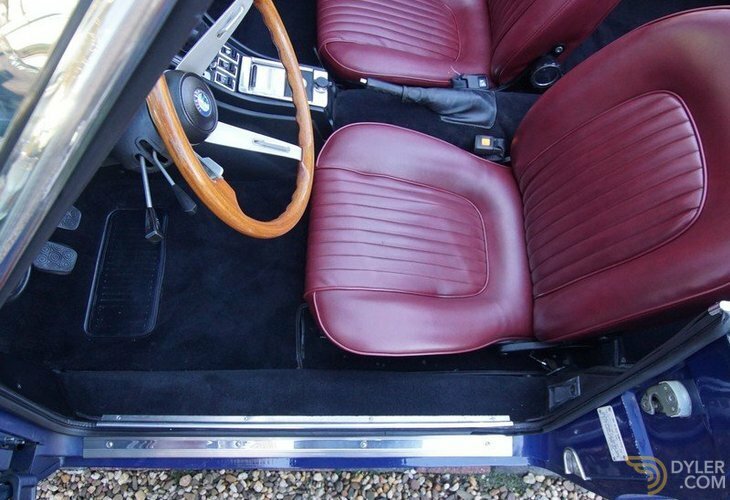 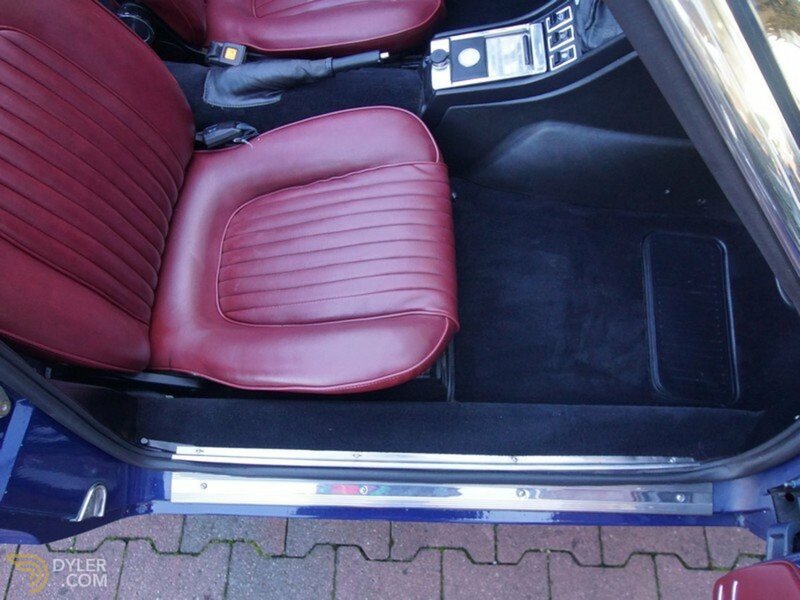 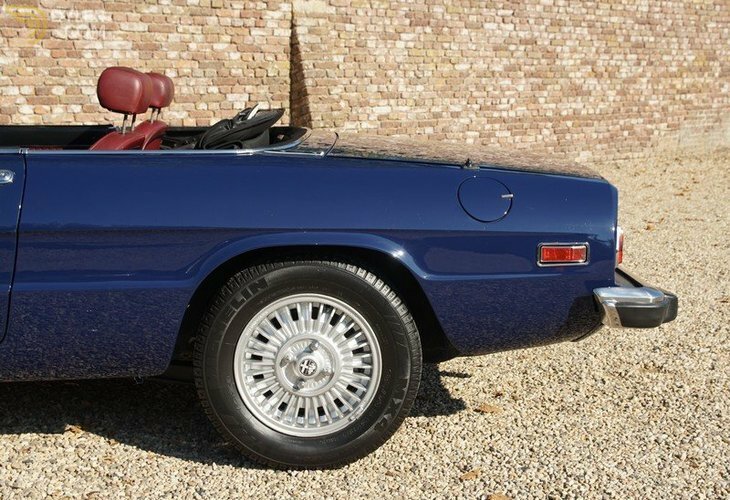 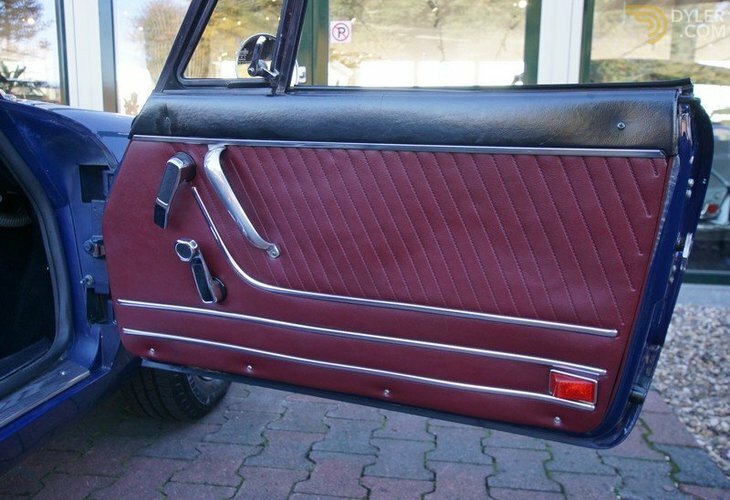 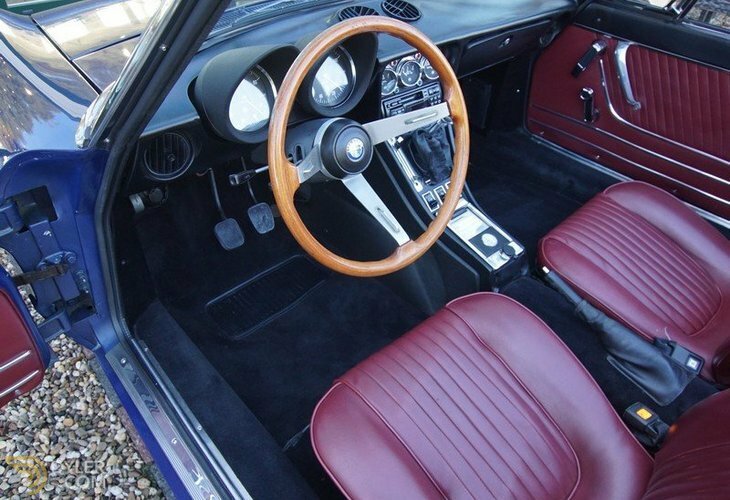 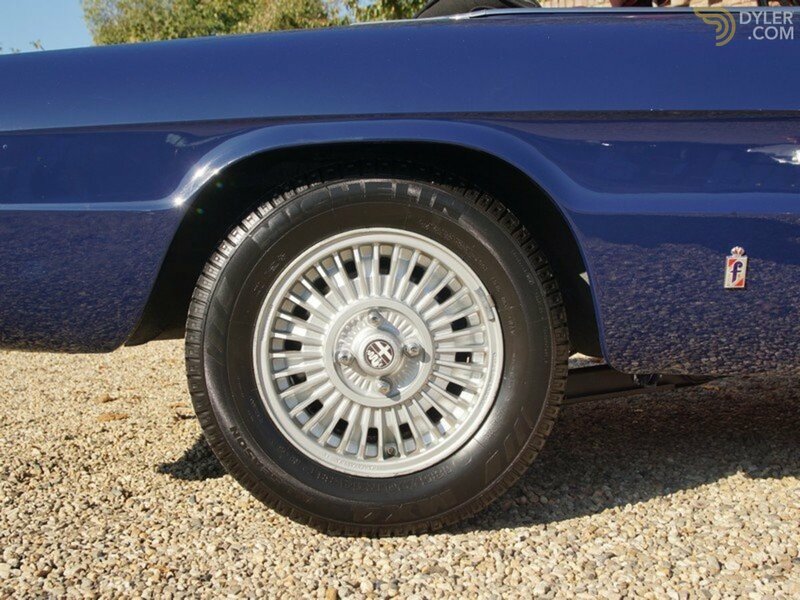 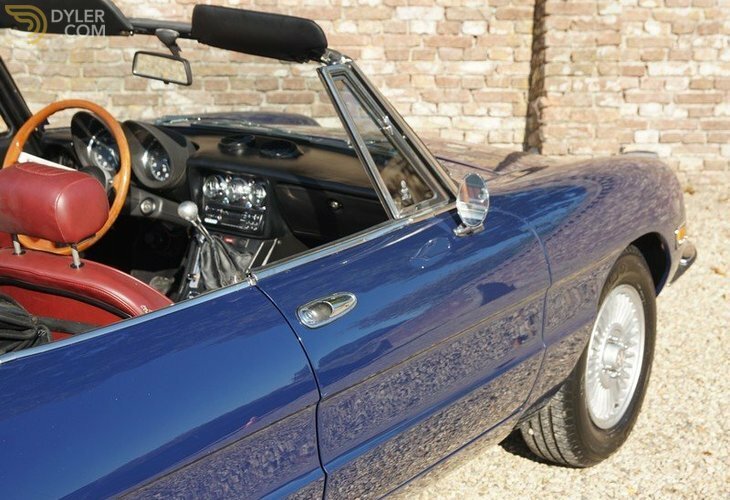 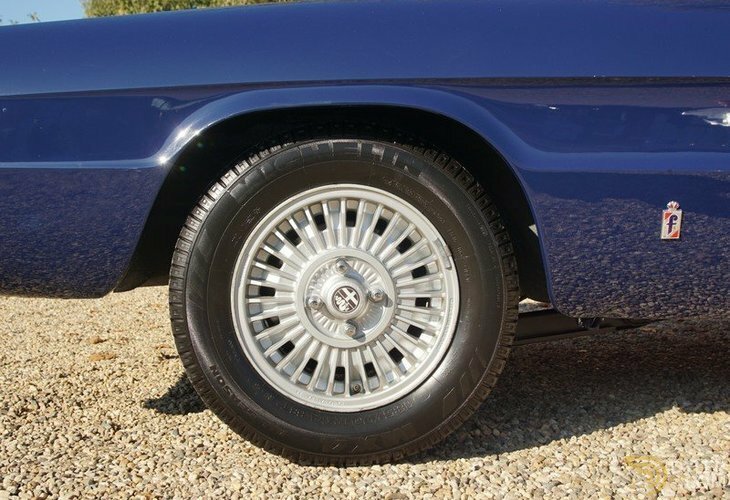 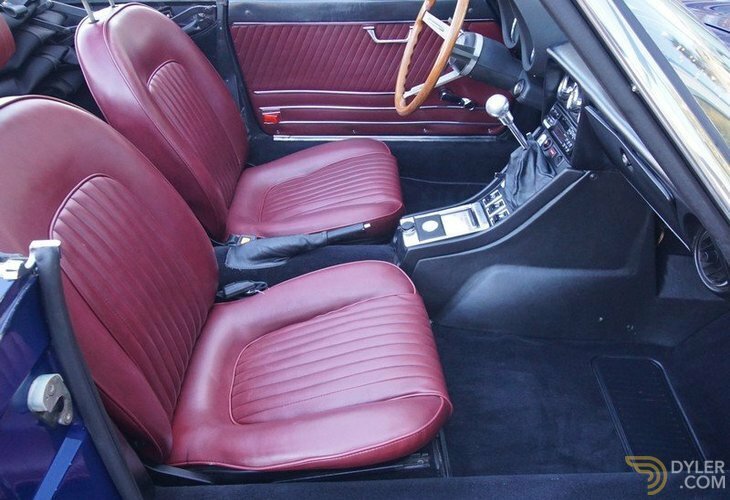 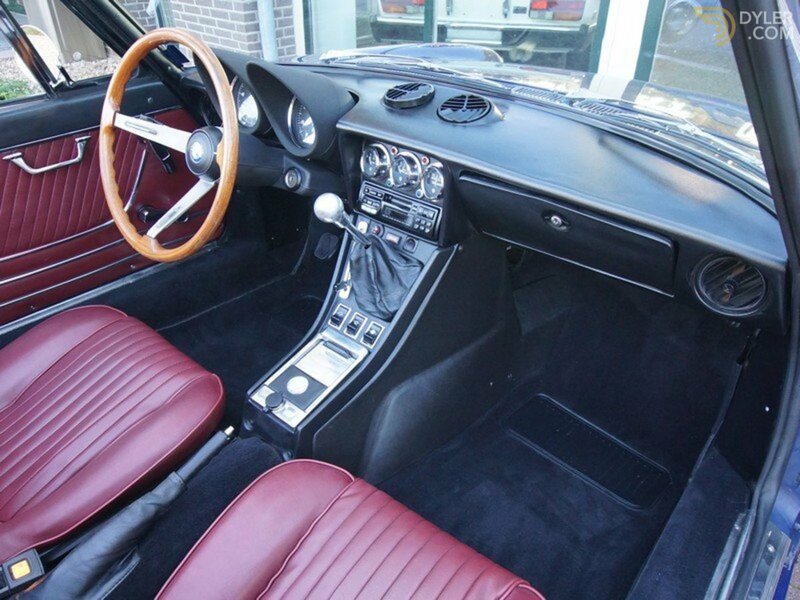 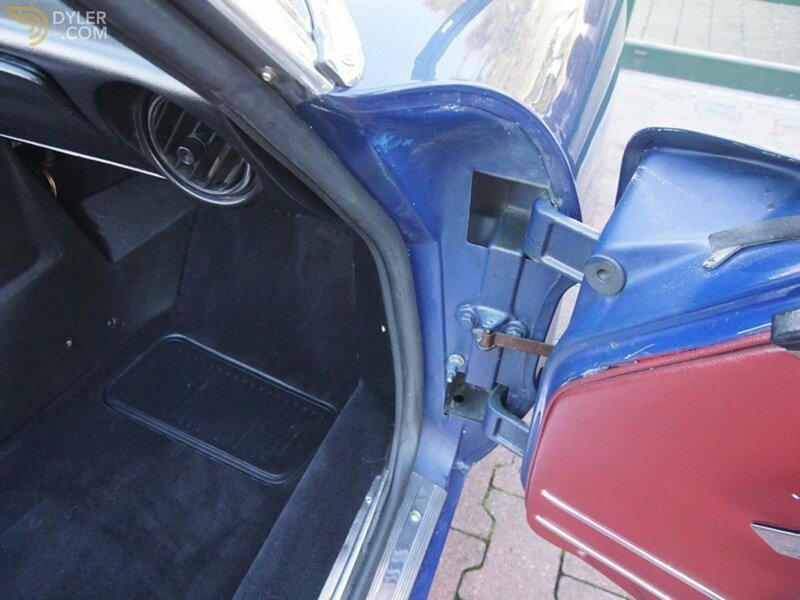 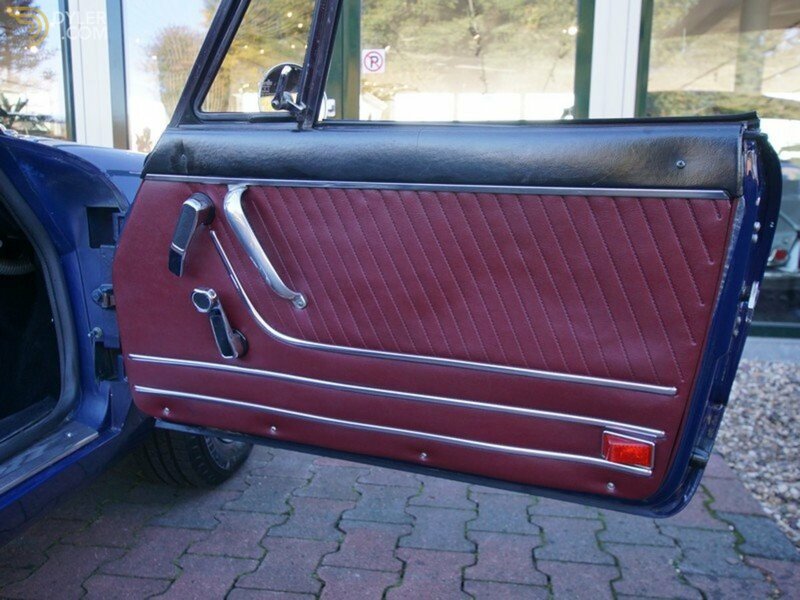 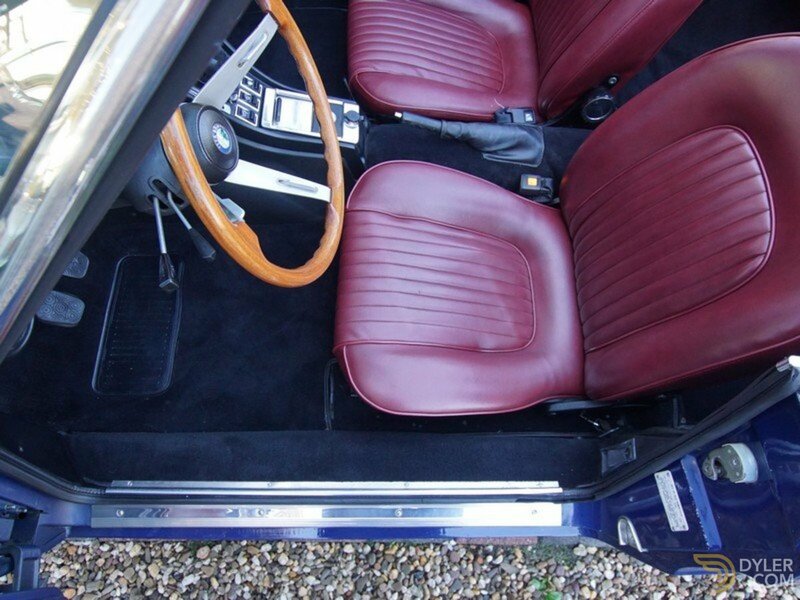 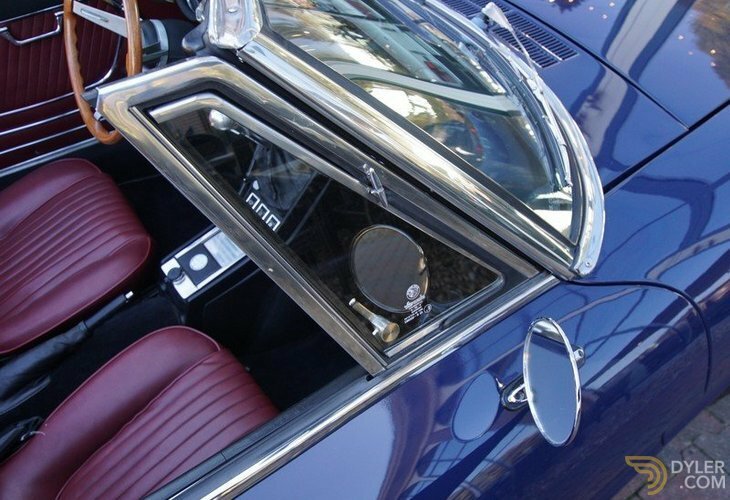 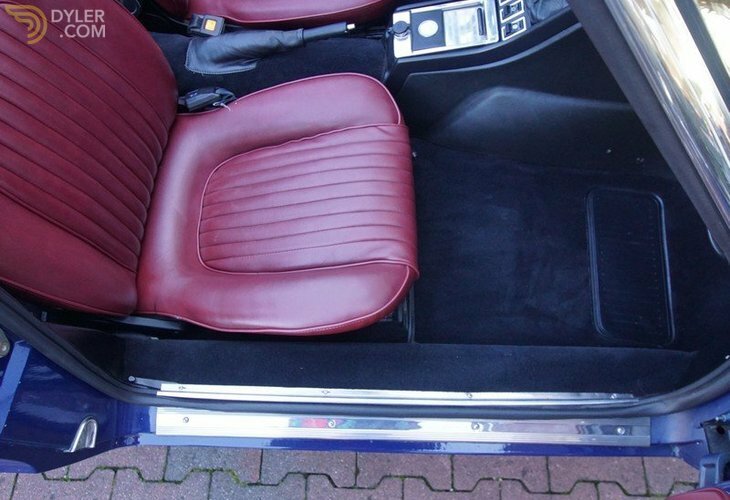 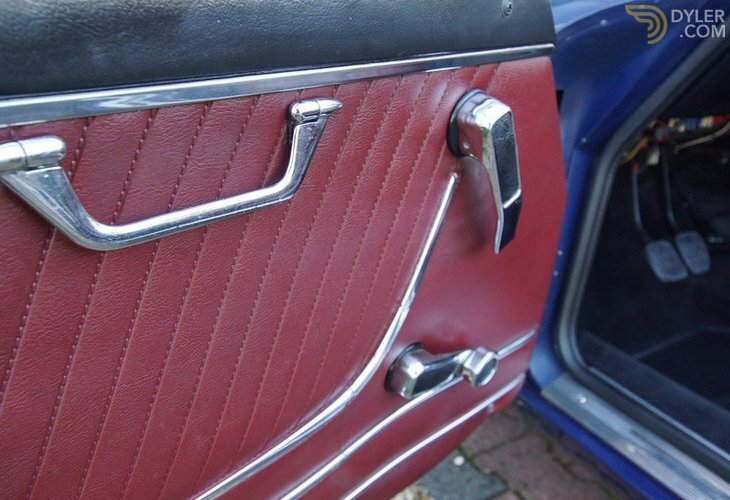 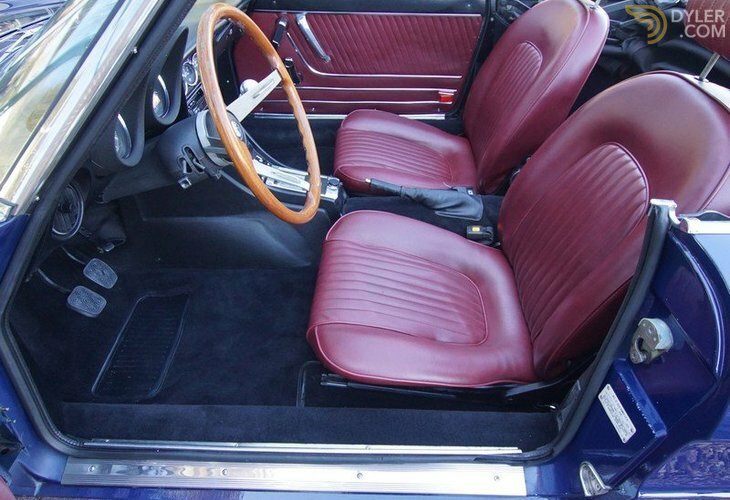 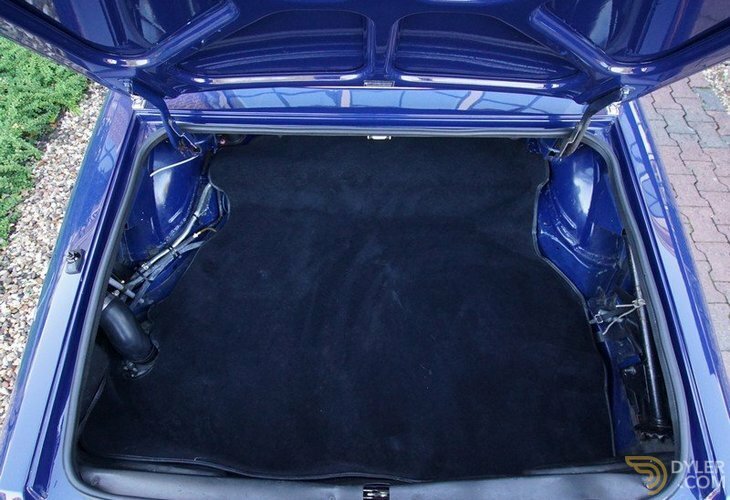 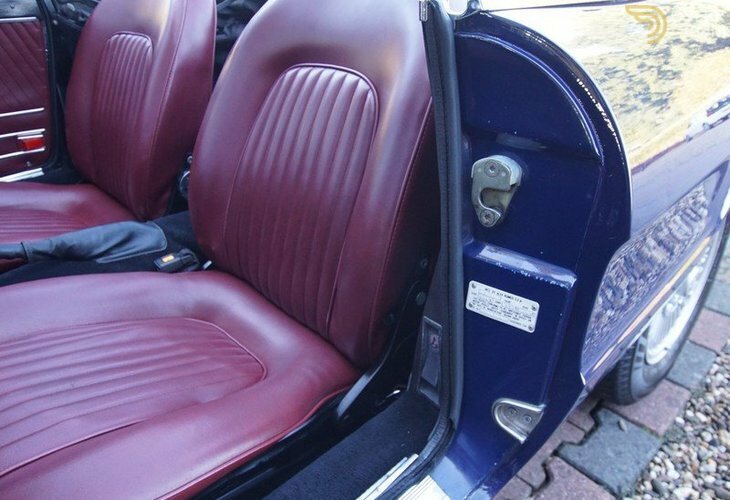 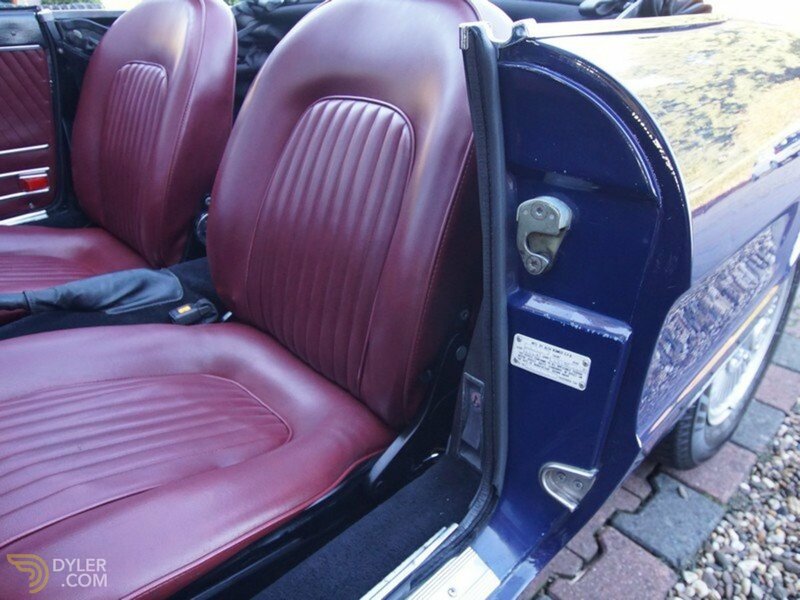 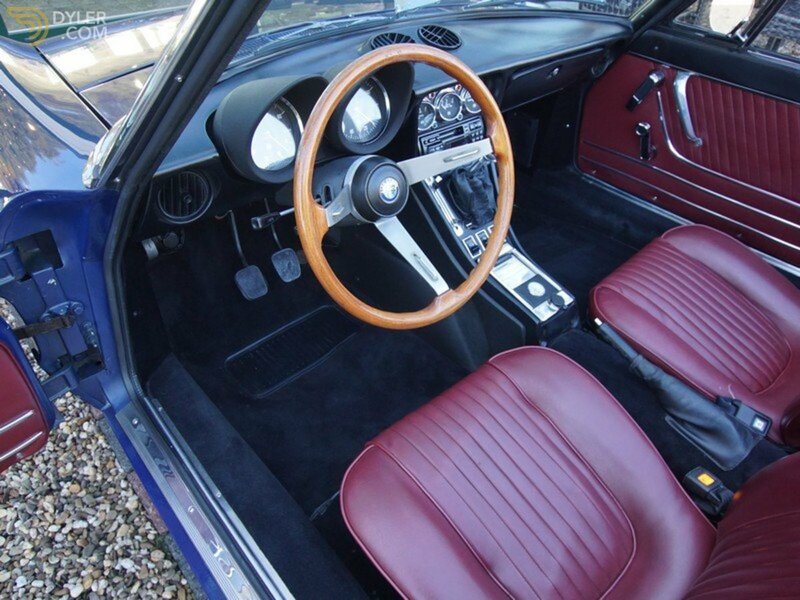 Finished in a wonderful and seldom seen combination of navy blue with a red leather trim. 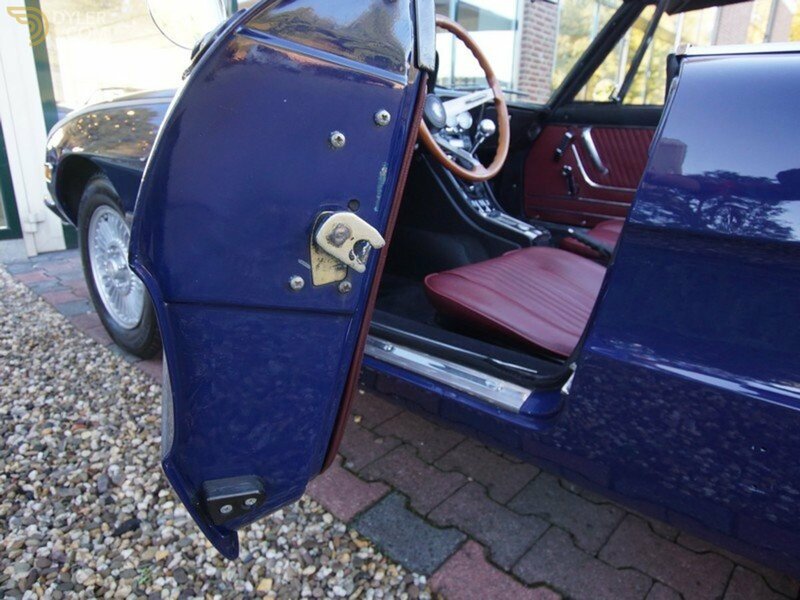 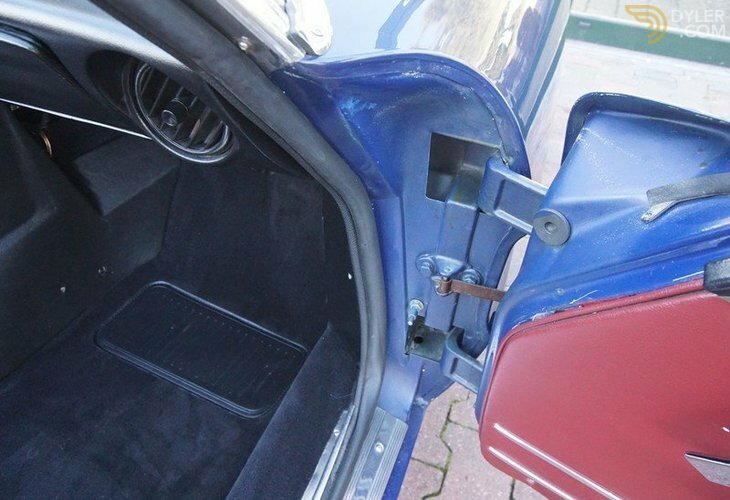 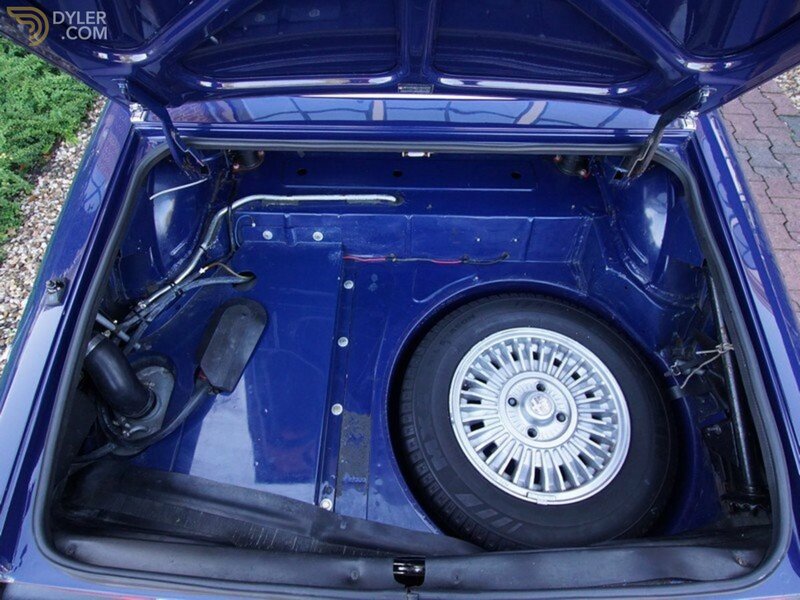 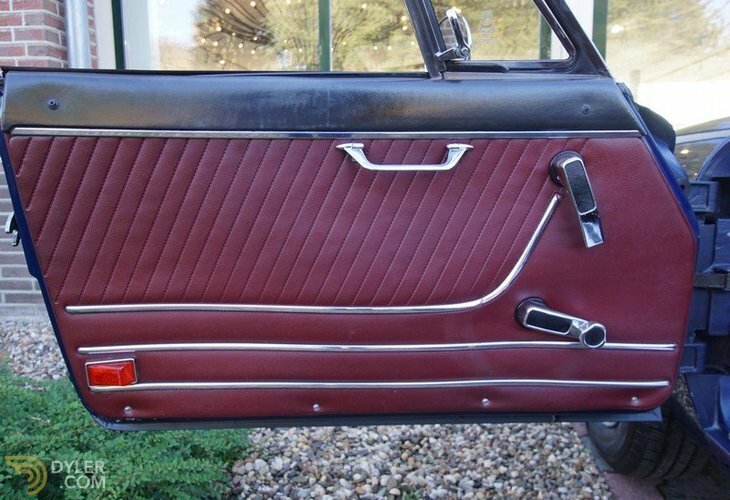 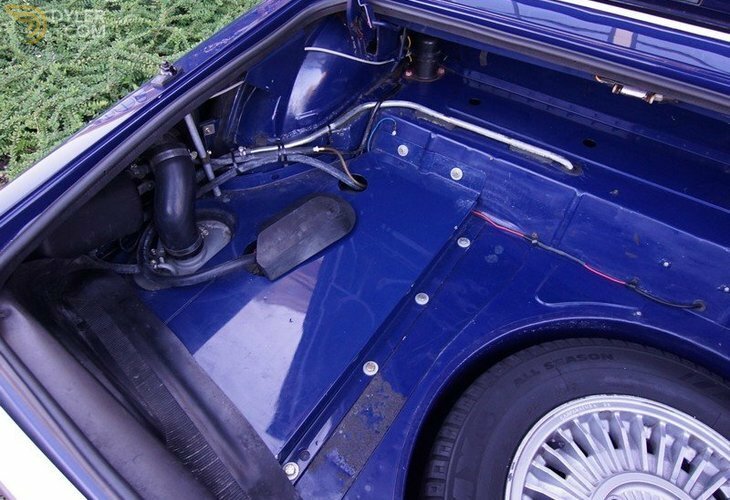 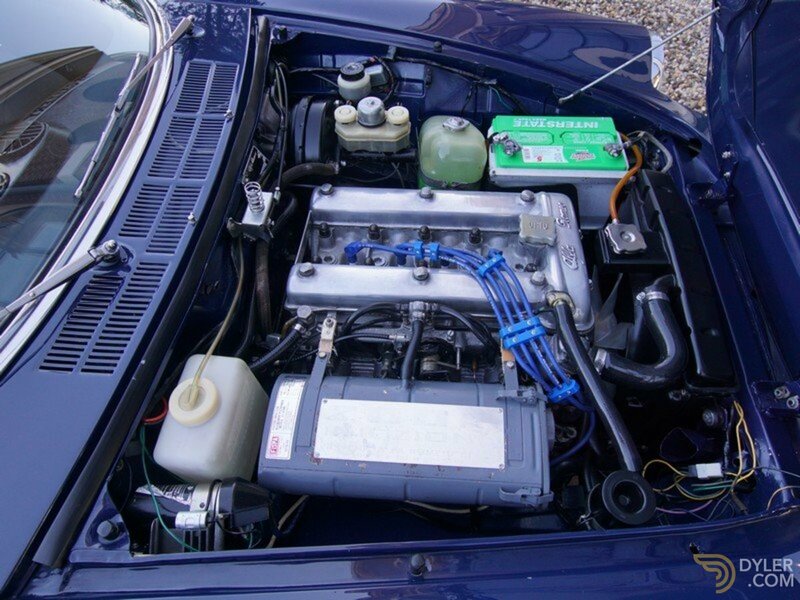 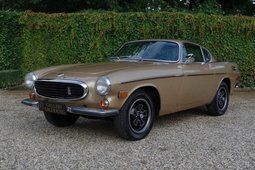 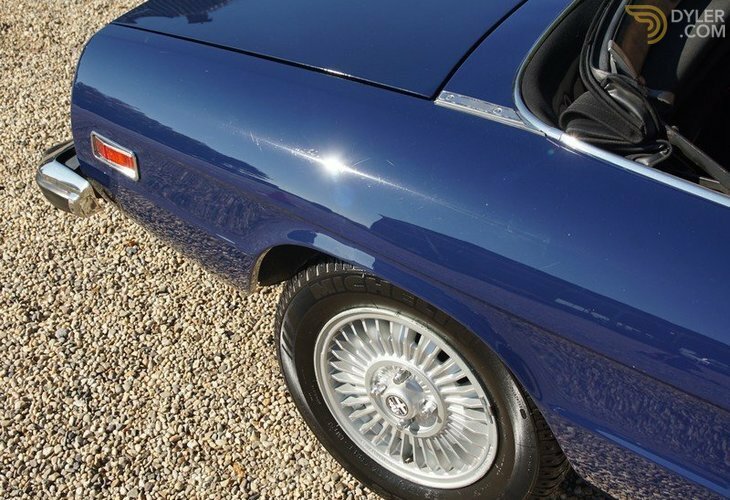 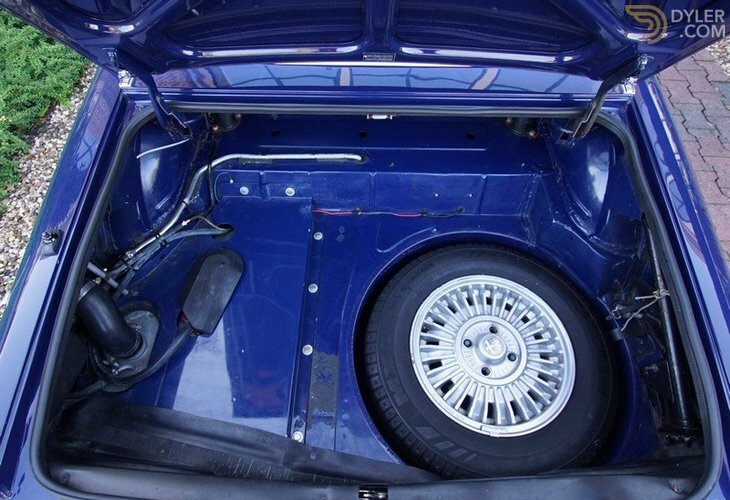 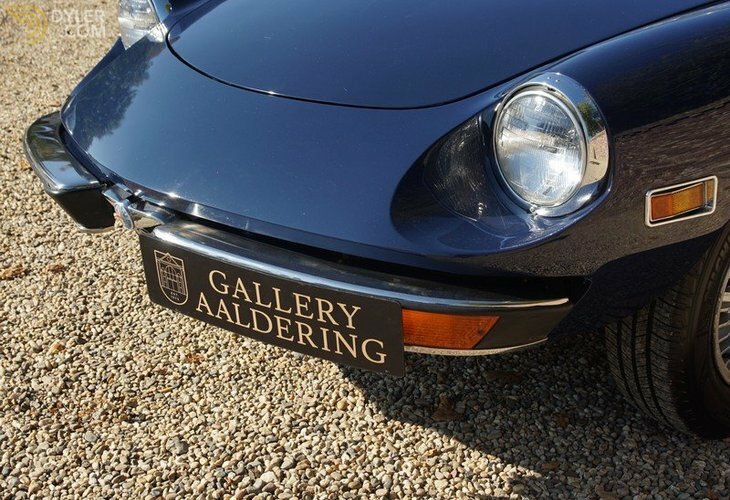 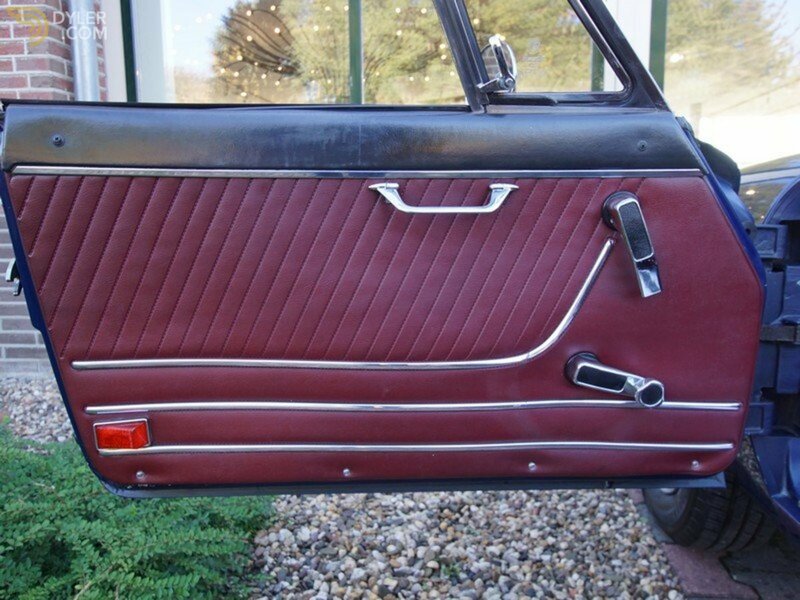 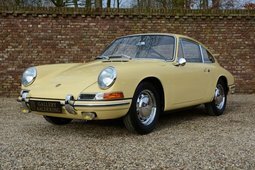 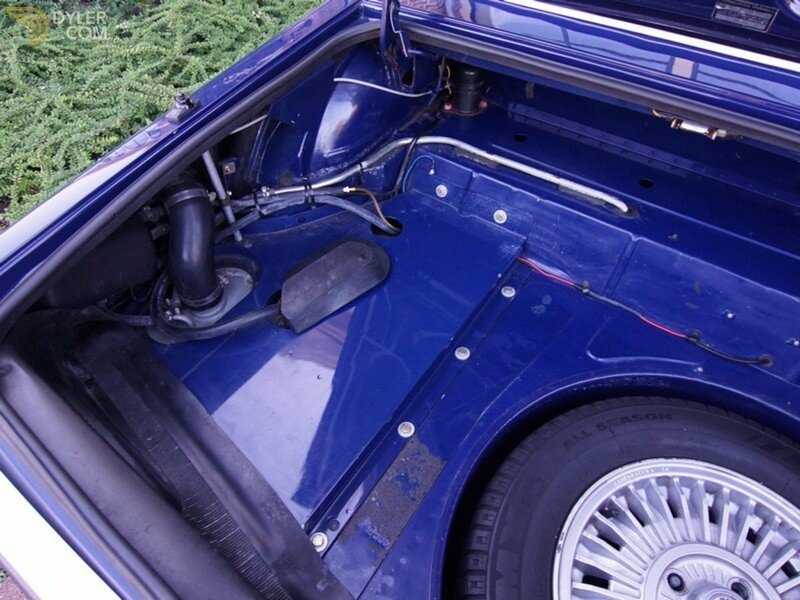 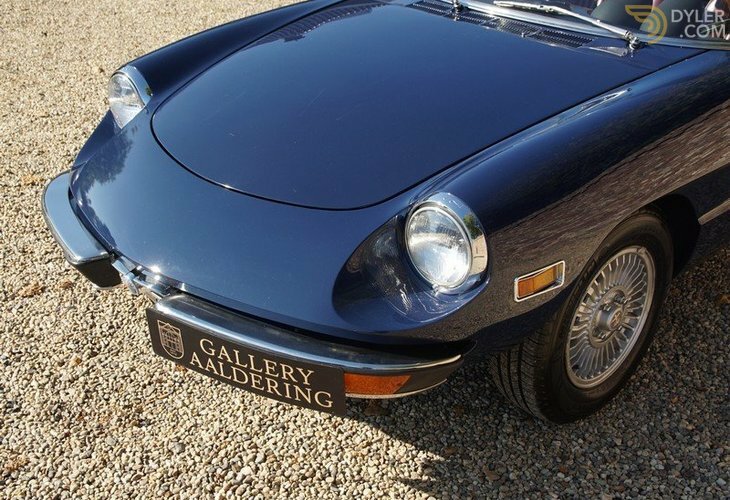 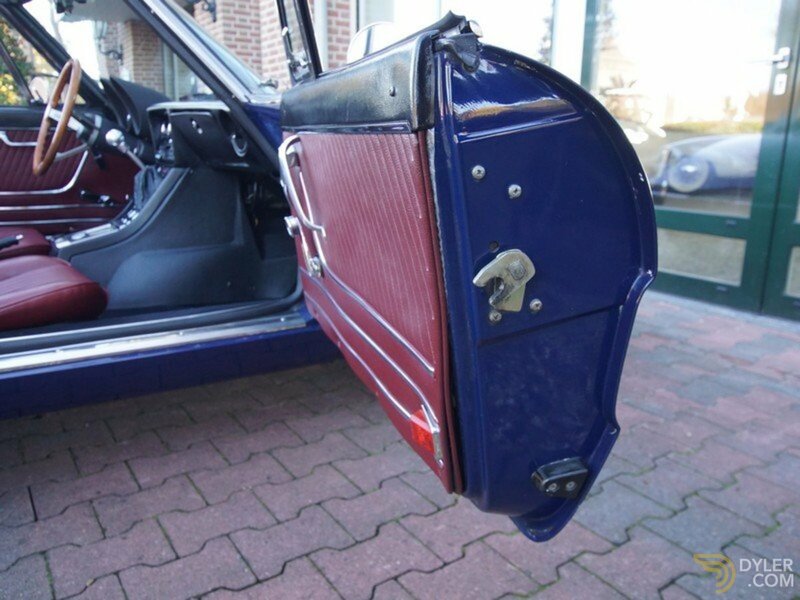 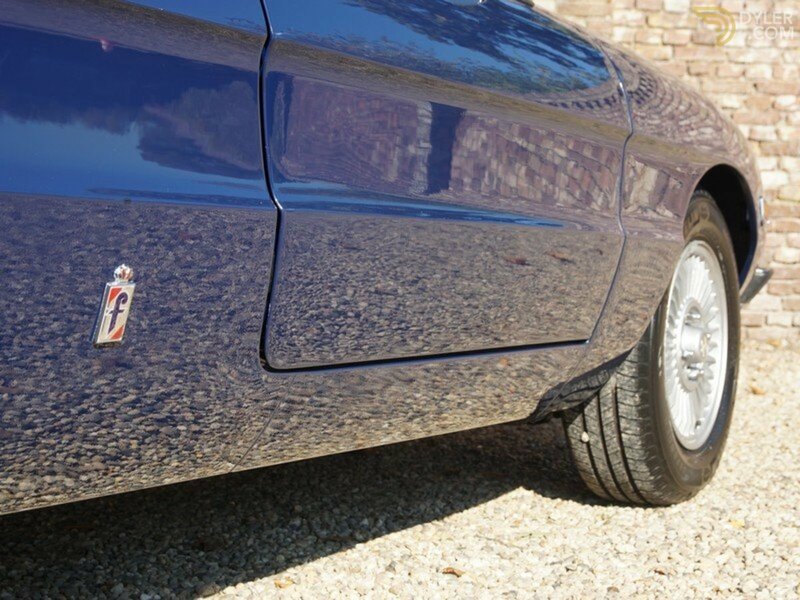 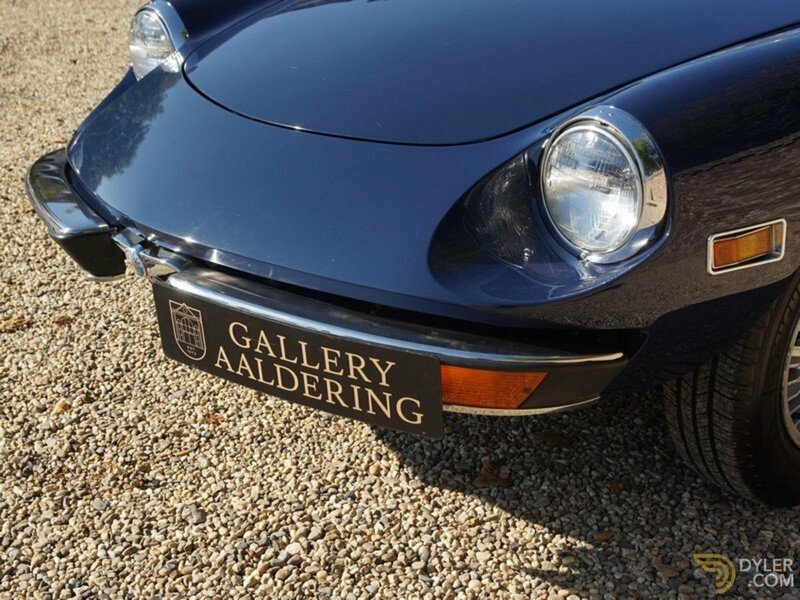 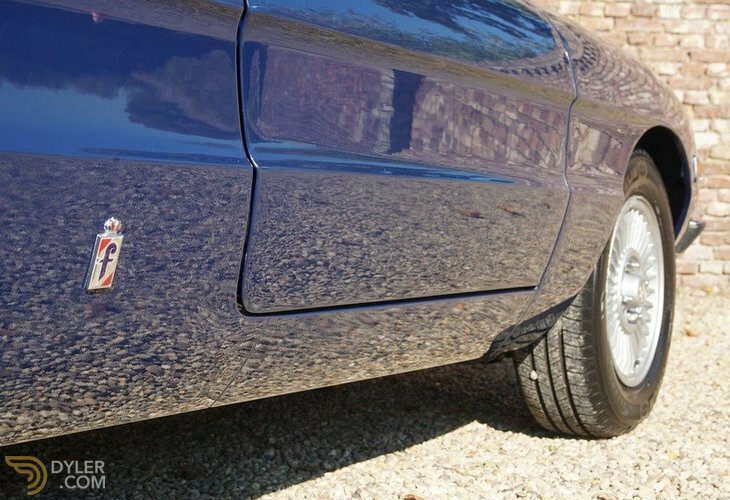 The bodywork is very good indeed with correct body panel fittings. 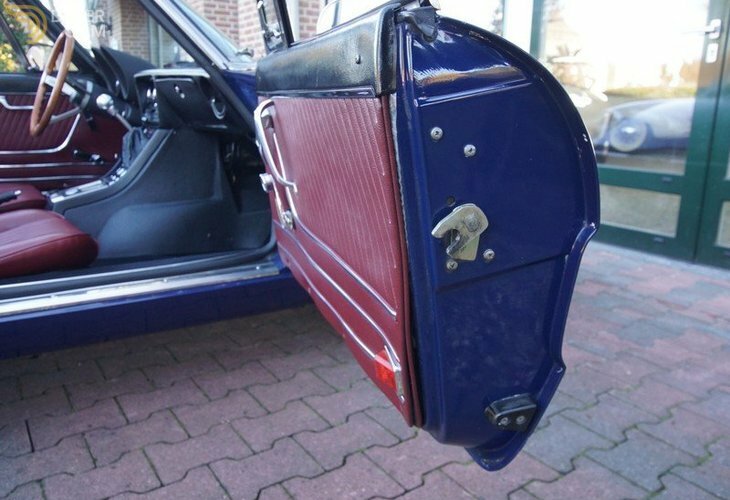 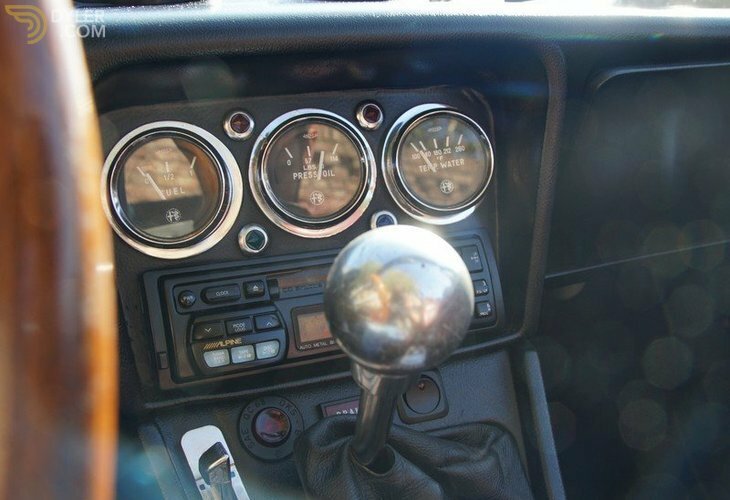 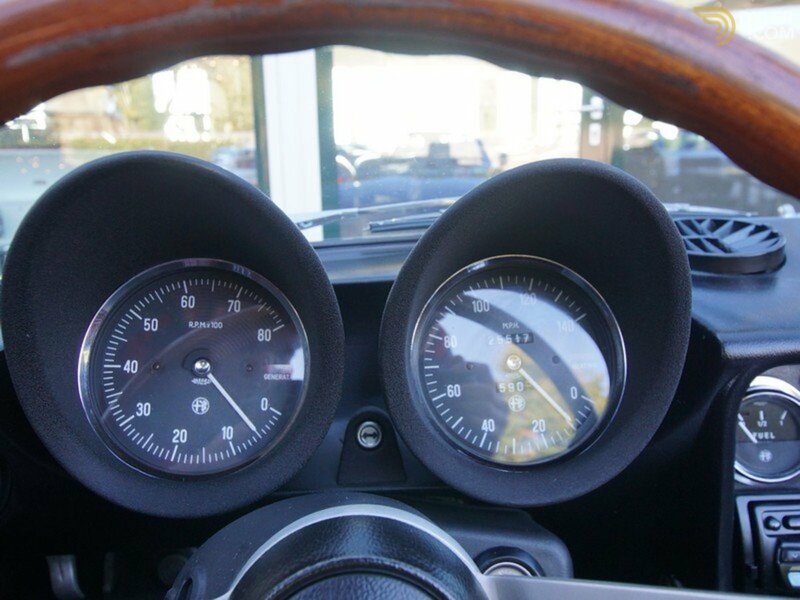 The paintwork is not perfect. 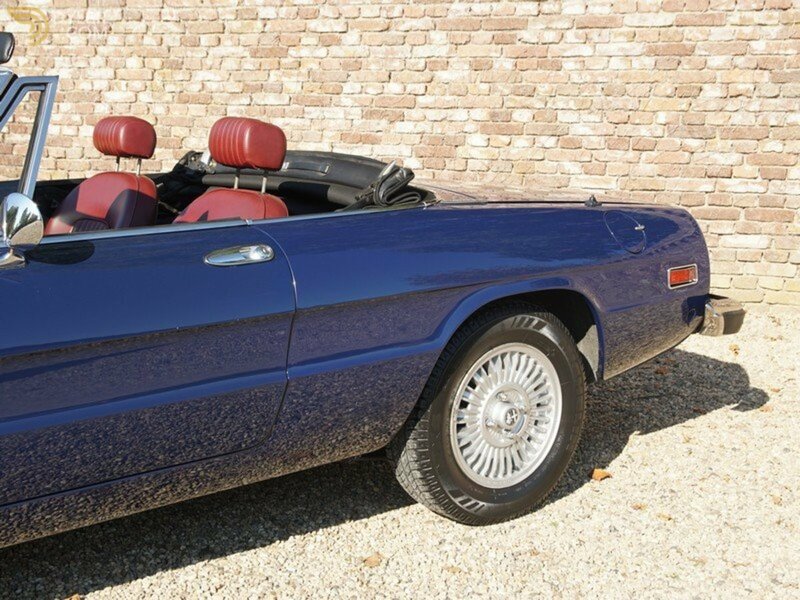 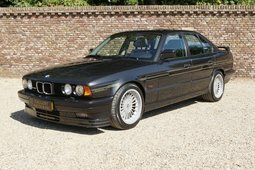 It has light metal rims and a nice black hood. 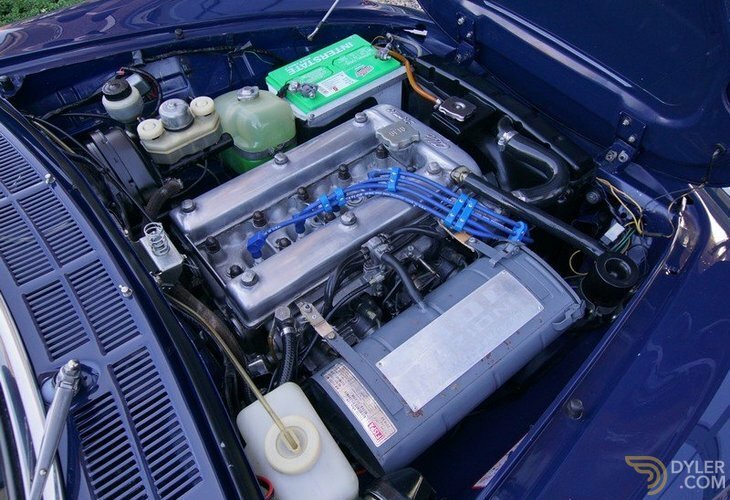 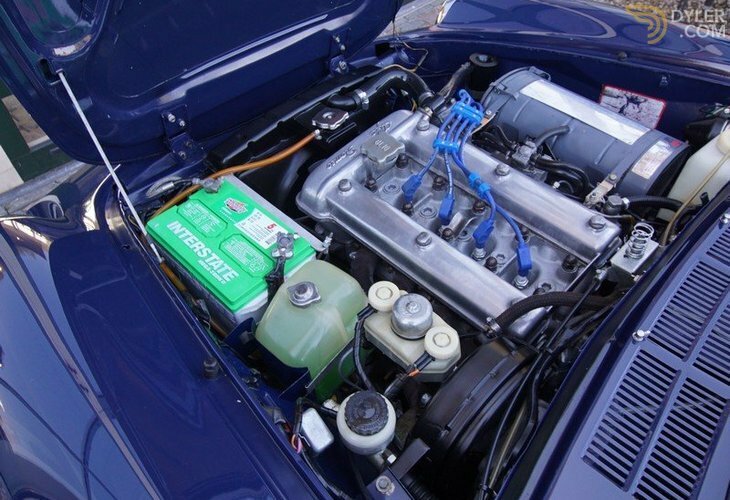 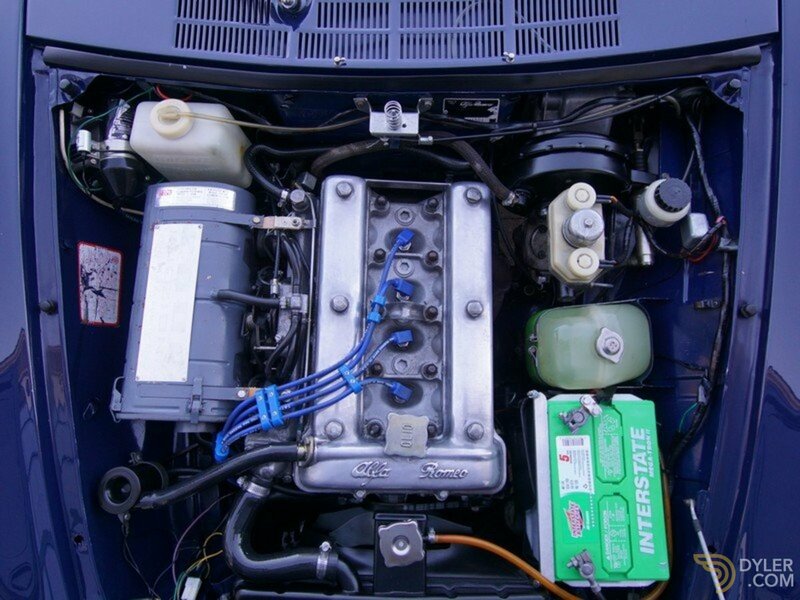 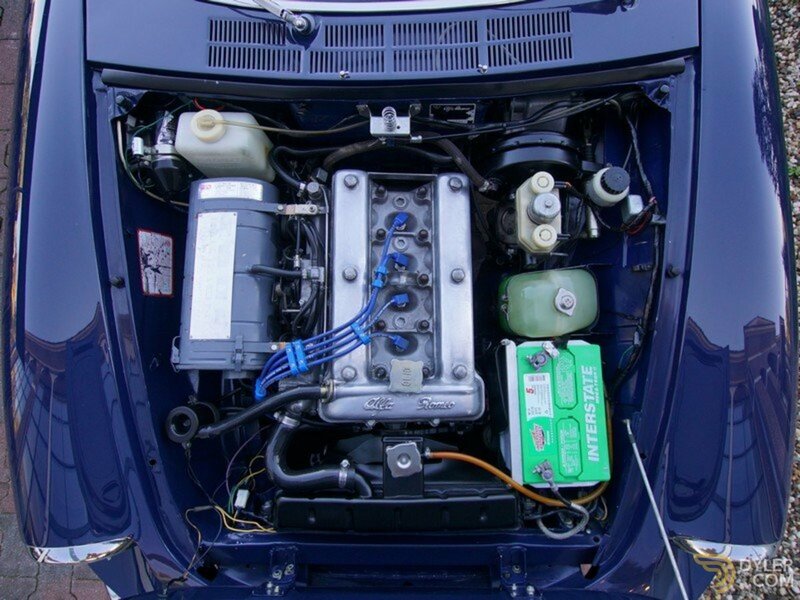 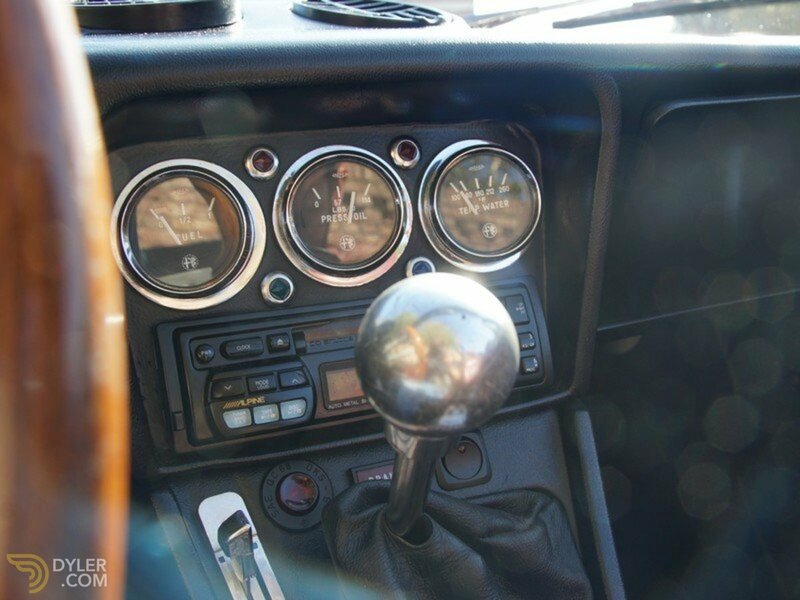 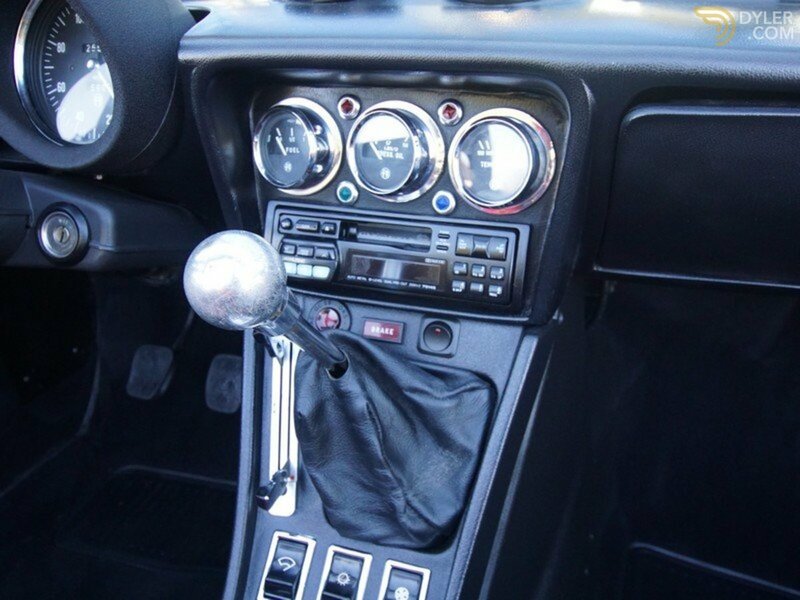 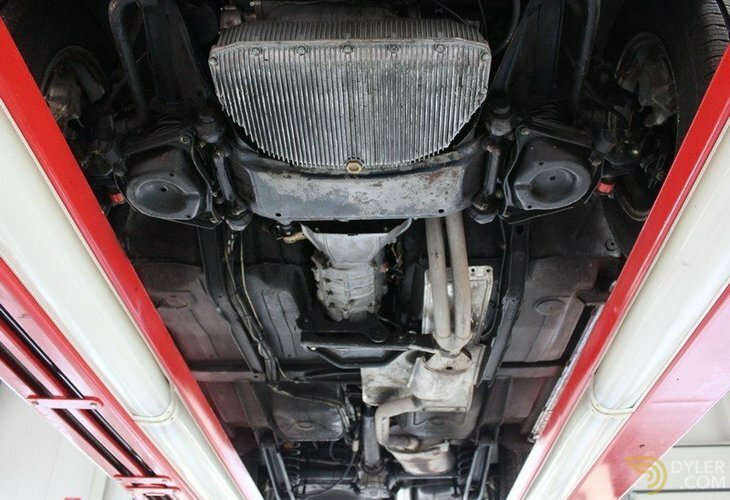 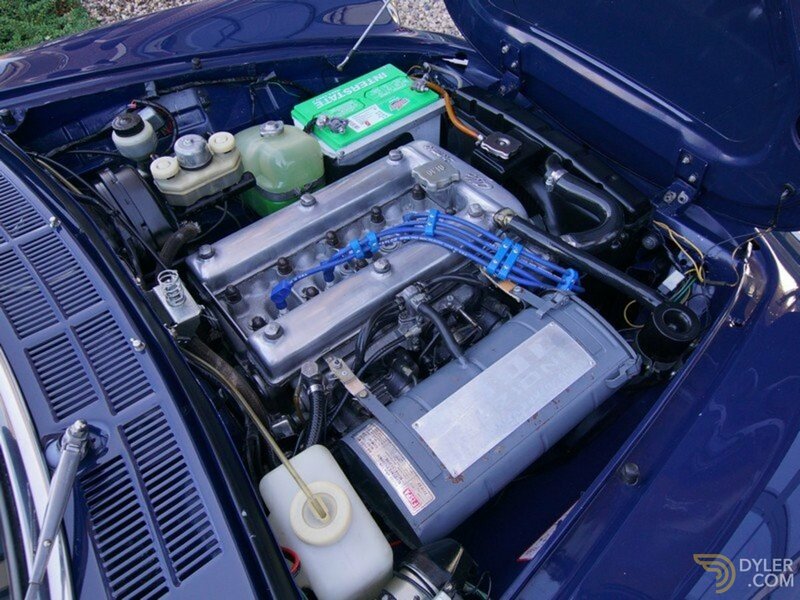 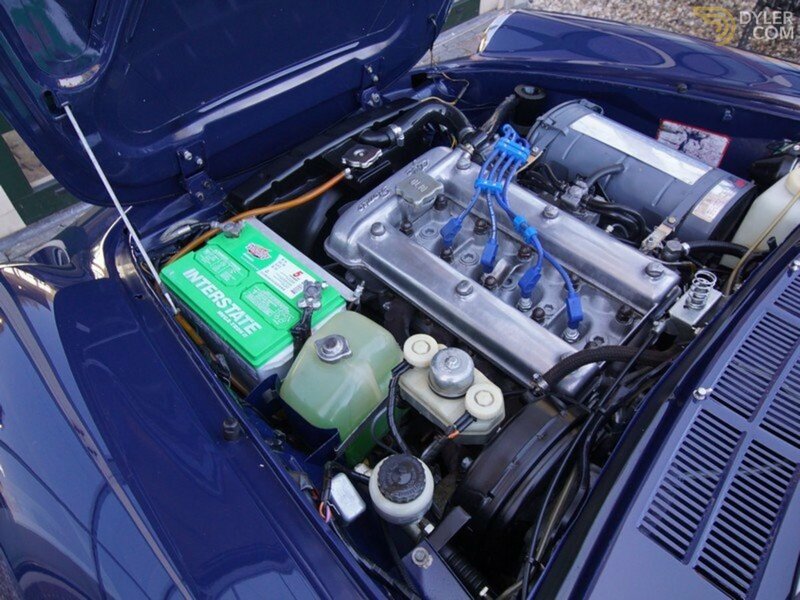 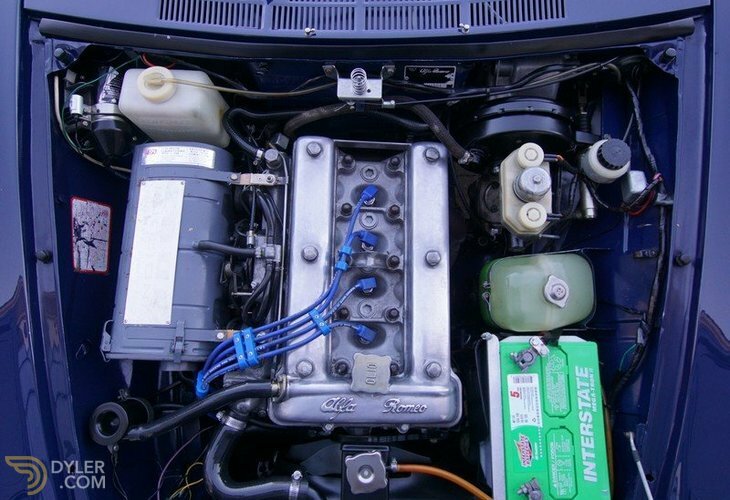 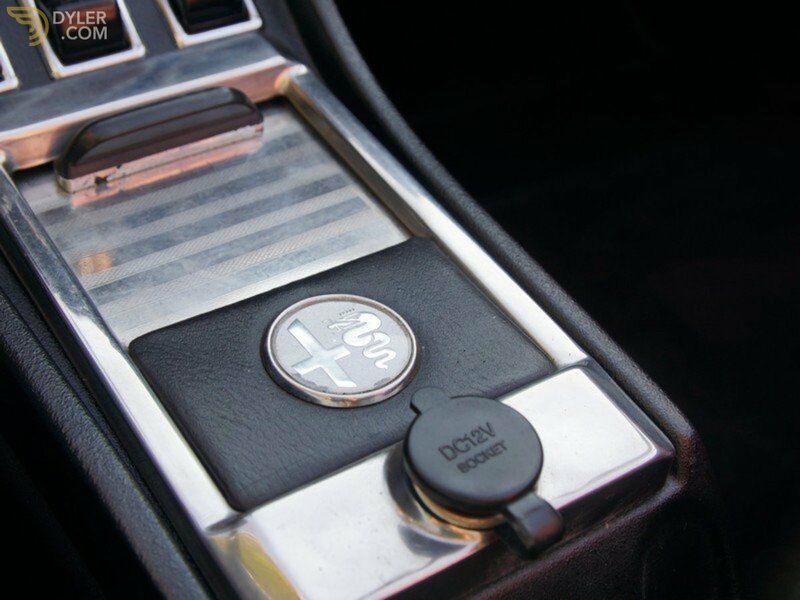 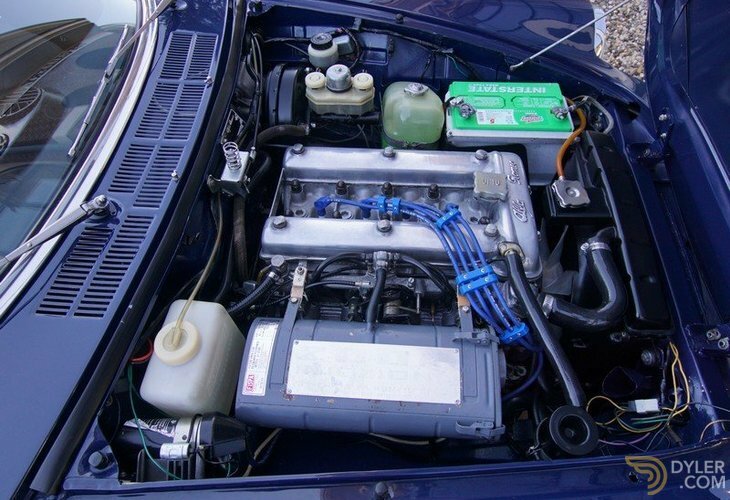 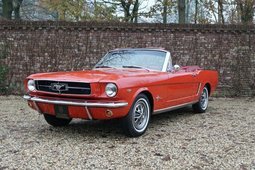 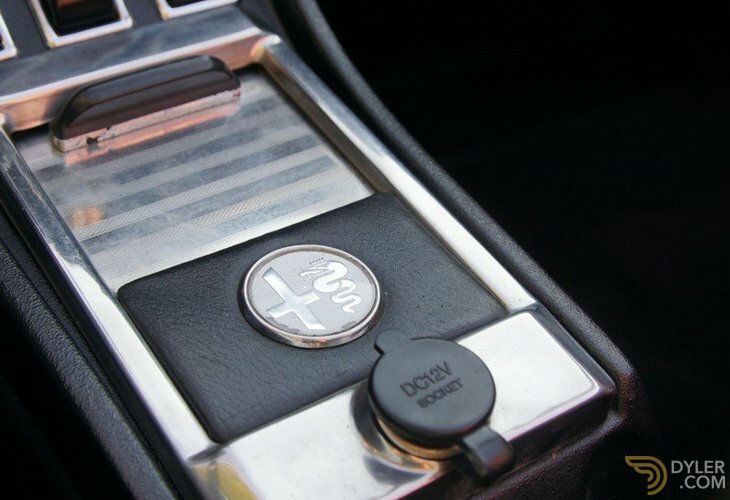 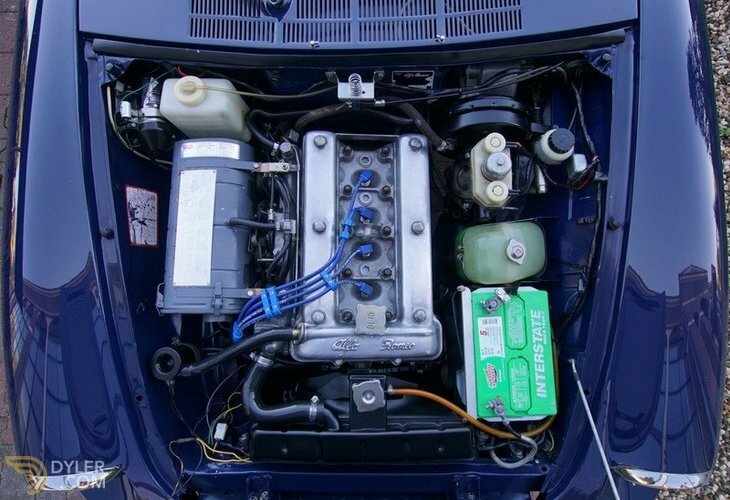 Mechanically it is sound and in good working order, delivering a great drive.